More and more parents are stepping in to help their children purchase a home. This article dives into some of the most important steps to take and questions to ask if you are interested in going down this road. Often times when we think about kitchen updates, we think big spending. It doesn’t have to be that way! Try some of these stunning ideas to instantly transform your kitchen without breaking the bank. We all know that kitchens and bathrooms add an incredible amount of value to a home but what about the rest of the house? Read more to find out some unexpected places you can upgrade to add value to your home. Home renovations can be incredibly stressful and can take anywhere from a few weeks to months to complete. Here are some great tips to help get you and your partner through it together. Although it may take time to reach your forever home, asking yourself these three vital questions will definitely help you narrow your search and pinpoint exactly what your most important features are. This Toronto property tripled its value in just 6 years thanks to strategic renovation and restoration efforts by its owners. A terrific balance between historic charm and modern features had it sold in just a week. Many are talking about it these days and wondering why many young people aren’t buying homes these days. For many young adults it comes down to price. Buying while young is one of the best investments you can make and here are some tips to get you there. 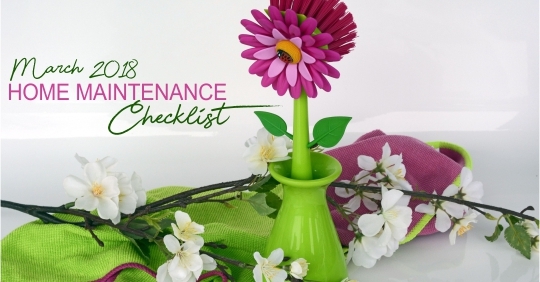 Spring is finally here to stay which means one thing for most homeowners: spring maintenance! 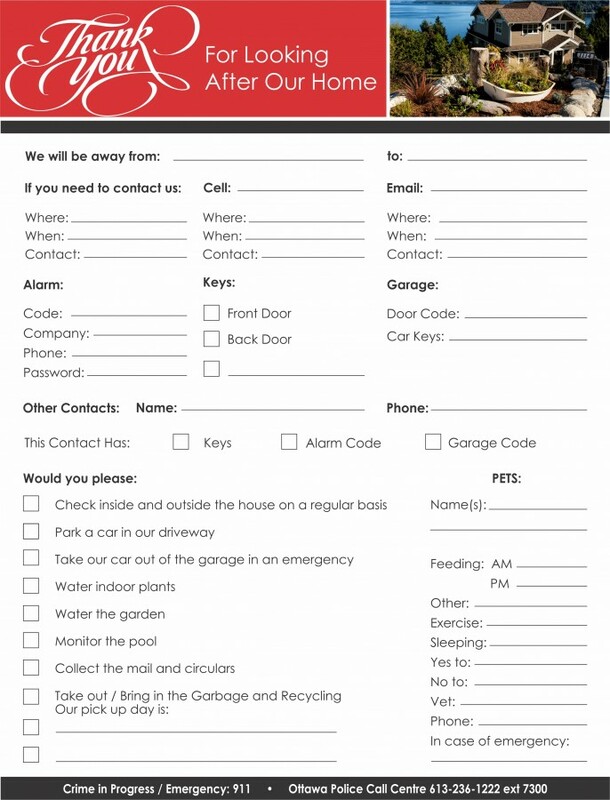 Here is your guide to making sure everything is taken care of as we prepare for summer! It never hurts to dream! Here we take a look at some of the world’s most expensive homes (as well as those who own them!) From Oprah’s home in California to Buckingham Palace in London, you will not believe what some of these properties offer. If you are thinking of installing hardwood floors in your kitchen, there are many factors to consider. From food spills to dropped dishes, kitchen are notoriously tough on floors. There are many great options to consider to get that look though with the durability that you need. 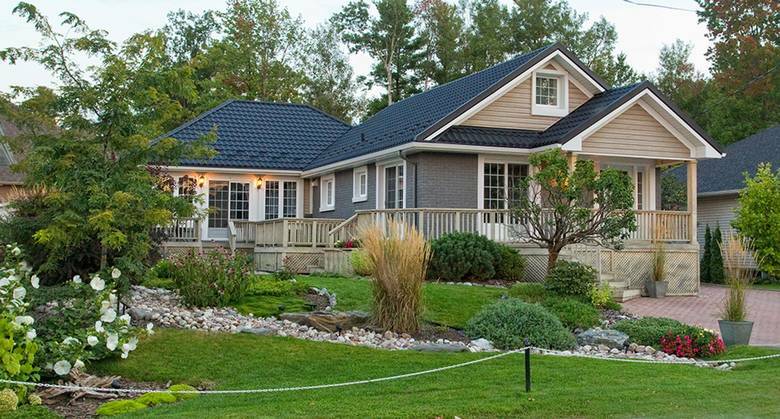 Low inventory continues to dominate the news when it comes to the Ottawa real estate market. March saw price increases and buyers bidding on limited offerings. Let’s see what April brings! Homebuyers often offer more than what they initially planned on because they want to beat their competitors. However, now the Ontario government is looking to make the transaction a lot more transparent for both sides. Get more details here. Have you been taking advantage of the colour of the year? 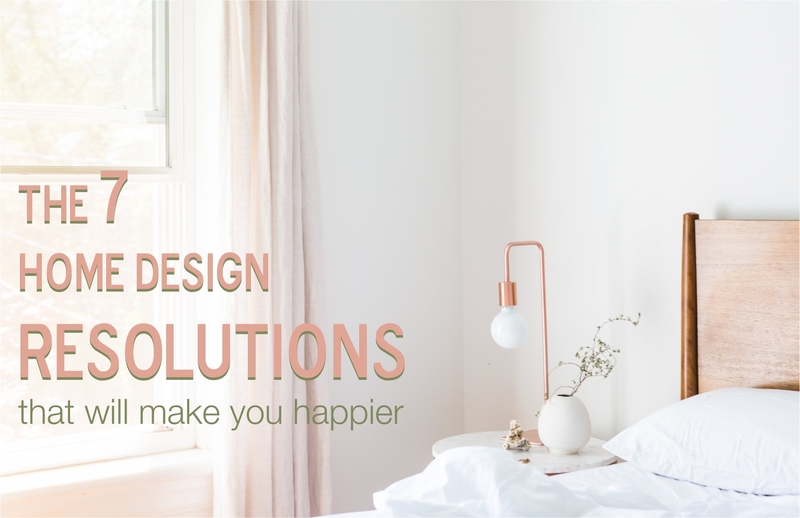 Do you need some inspiring designs to get started on your next interior project? Learn how you can create a fun and playful space for your family and friends to enjoy! 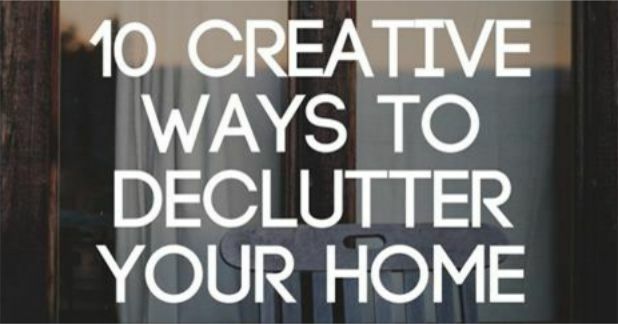 Don't just throw out things in your home that you don’t think you need anymore! Take a second to consider how it can be reused. Here is a list of of 20 surprising uses for everyday household items. “At our age, we weren't interested in owning another home,” Ms. Sutton says. "We wanted to be able to lock our doors and come and go as we please." Janice Sutton and Frank Wiebe’s story about downsize from a 92 acre farm to renting a home is one for the books. Rainy season is upon us which can only mean one thing: spring is coming! 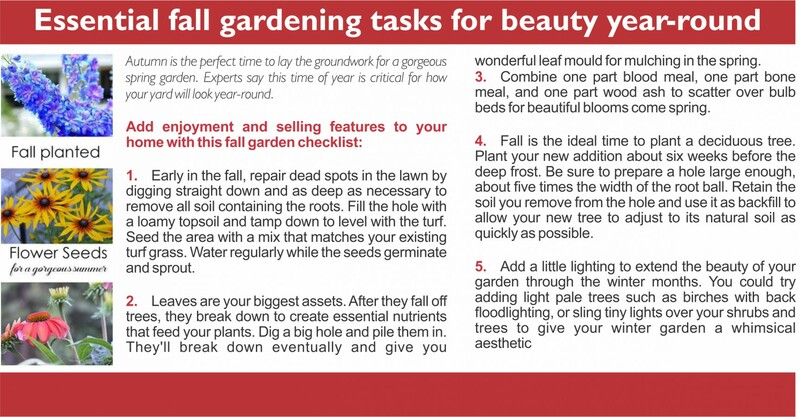 Are you ready to get reacquainted with your garden and backyard? 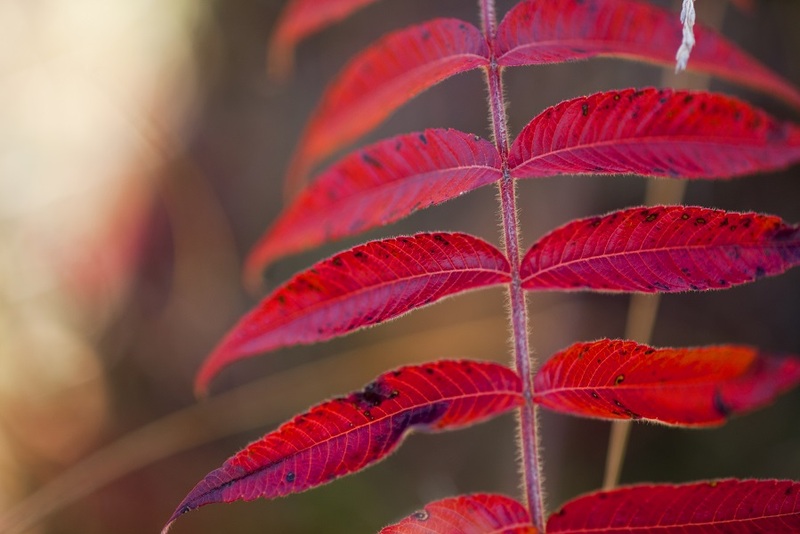 This insightful article can help you get a handle on weeds and mulch effectively. Our personal items follow us into our new homes. If you’re moving into a bigger space there are ways to get creative with your storage space. However, if you’re downsizing to an apartment then you’re going to need some smart ideas to help you organize your living space. Robert Wang, the creator of instant pot has revolutionized kitchen appliances into one single entity. And now he is coming for the rest of your kitchen. If you haven’t already heard about the multi-purpose cooker (that is instant pot) then prepare yourselves to be blown away! It’s a rare treat to hear that a home you’re interested in buying has ‘great bones’. But no one really talks about what that really means. Discover traits and qualities of a house that identifies its structure, interior and personality. Are you a consumer of vegan cheese? Did you know this subject is causing controversy in Canada and across the pond? In Canada, the number of dairy-product complaints increased to 415 in 2018 from 294 in 2014, an increase of 41 percent. Some trends are so progressive they find a way to be relevant in modern time. This is the truth for tiles. Discover how you can easily paste and remove chic and cool designs on your walls to liven up your living space. Matric Homes is letting buyers build their dream home from scratch for a fixed price of 1.3 million dollars. “Walking through the massive model feels like touring a CHEO dream home,” Anita Murray reports. If you’re anywhere near Terry Fox Road in Kanata South, drop by to see what it’s all about. Are you planning on moving soon? Remember that staged homes are more likely to sell on the market. 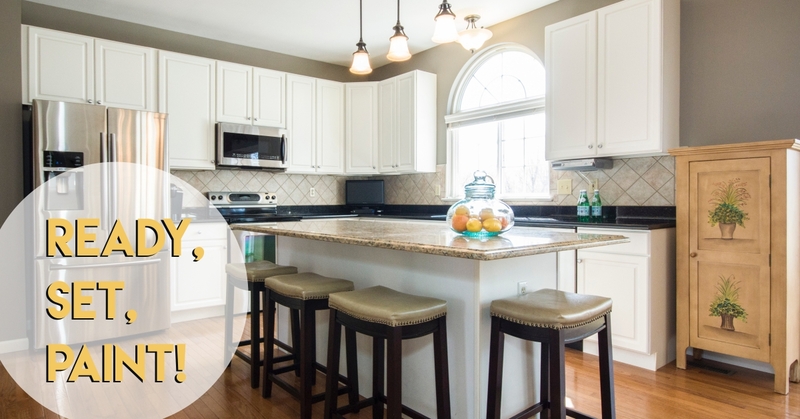 Here are some great DIY home staging tips you can use to help sell your home. This 20 year old decided to start saving up for a house when he was sixteen years old. Thanks to his super-saving skills, he was able to put down 20% for a new condo. This goes to show you that anything is possible if you put your mind to it. Bold, geometric designs are allowing homeowners to add lots of interest to hallways, laundry rooms, and small bathrooms. And all of this is lead by one simple trend: tiles. Start learning ways to implement them into your home today. Millennials (aged 24 -38) are becoming known as ‘plant parents’. They are encouraging everyone to start composting and growing vegetables inside and outside their properties. This movement has opened doors to an entirely new idea for home decor and gardening. Is your basement finally finished? Have you been thinking about what do with all that free space? Here are a few design ideas you start contemplating. Have you have been thinking about investing in a property? The Real Estate Investment Network (REIN) released its Top Ten Ontario Towns report and ranked Ottawa as the #1 town to invest in for the next 5-8 years. Get more information here! 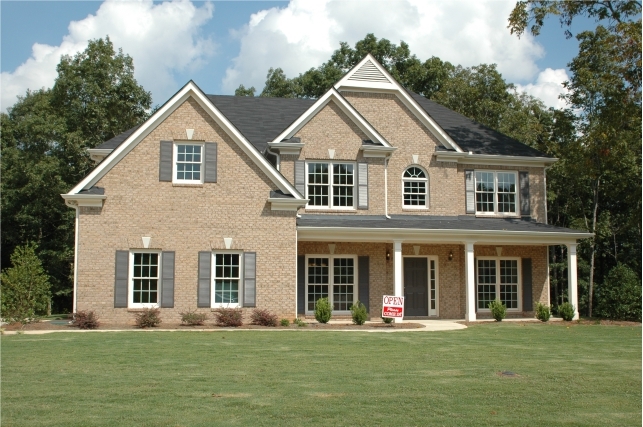 Do you want to purchase a house that is move-in ready or something that requires work to be done? Discovering your dream home is an incredible feeling but so is bringing it to life. Contractor Jonathan Scott and real estate agent, Drew Scott discuss the pros and cons of fixer-uppers. Truthfully, home ownership isn’t for everybody. Some people don’t like to be tied down and prefer to rent instead. 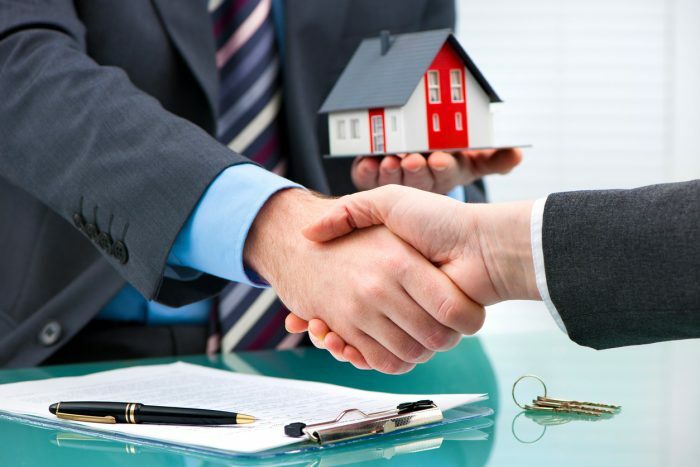 There is nothing wrong with that but if you have ever contemplated buying a home then you should read up on its advantages. 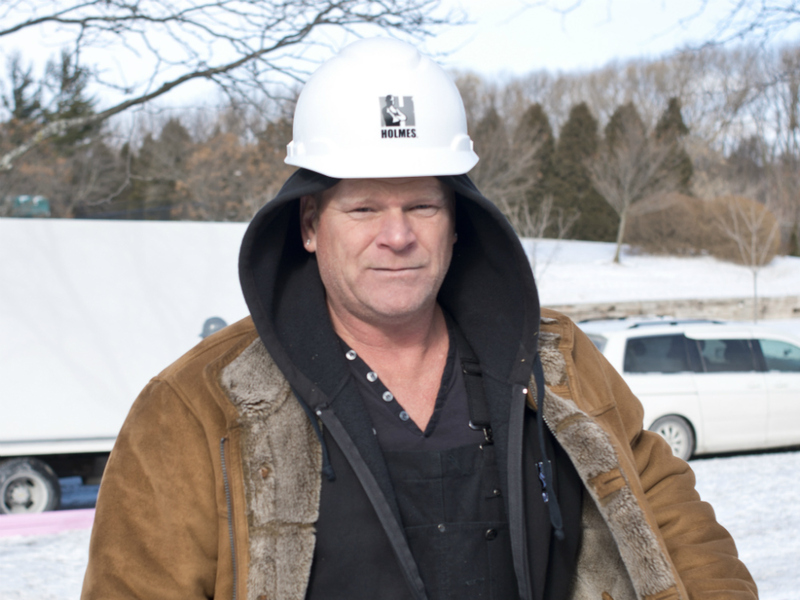 Home inspectors are not expected to risk their safety while on the clock and they shouldn’t be expected to, says Mike Holmes. It’s important to know if the home you’re planning to move into is safe and up to date. Here are a few reasons why you should limit your expectations. Let’s be honest here. Moving is stressful and you want to do what you can to avoid dealing with surprises along the way. Take downsizing to condominiums for example and all the rules and bylaws you should familiarize yourself with before taking the plunge. There are so many alternatives you can invest in while renovating your bathroom. You don’t necessarily need to spend a huge load of cash to bring your vision to life. Interior designers and building experts have figured out a way you can trim down the cost effectively. Greens are good for you! We all know this but by nature we lean more towards consuming meat. Here are a few reasons why you should consider cutting down on your carnivore diet. 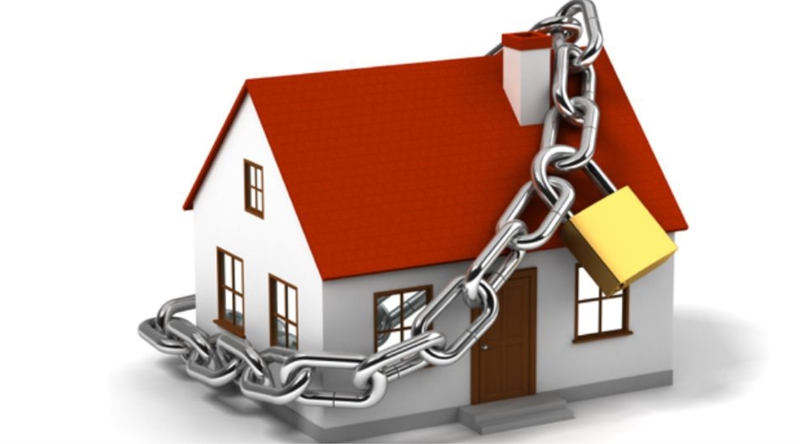 Protecting your home is a natural and practical instinct but make sure you are investing in the right system. Review the best home security systems in Canada. You can also see which provinces they are serviced in. It’s easy to get carried away with ideas when you're renovating your kitchen. It’s one of the most essential rooms in your home. Discover the top five kitchen remodeling mistakes you should avoid today. Are you currently working from home? Have you been thinking about turning one of the rooms into an office? 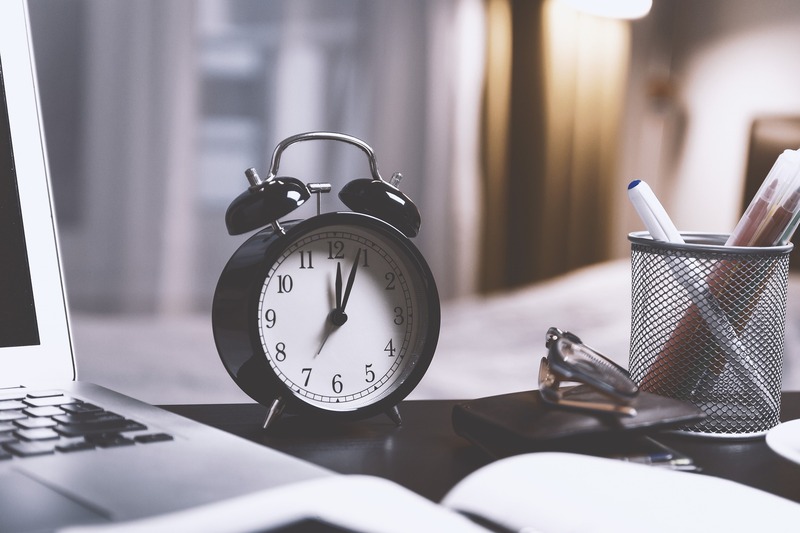 Well, before you jump the gun and start re-organizing things at random, consider these tips to help you improve your work space. Did you know that a quarter of Canadians with home equity lines of credit are paying only the interest on their loans? Over the last 15 years, this has been the cause of non-mortgage household debt. A government survey breaks down the dirty details for you in this educational video. 500 people have already registered with Claridge in November for the new builds in Findlay Creek. If you’re looking to make a move in the south end of the city then now is your chance. Review home designs, layout and more here. Stuck on ideas for this weekend? 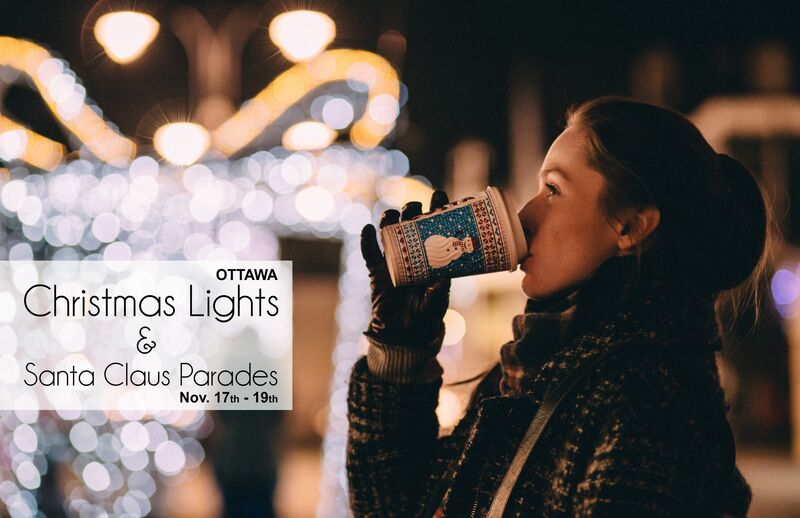 Get the family together and enjoy all the festivities and entertainment Ottawa has to offer. Winter shouldn’t stop anyone from living their best life! It’s true what they say! Home staging can help a lot when you’re trying to sell your home but it’s not always necessary. Before you go looking to hire a professional, get a better understanding of what home staging will require and if you have the budget for it. A huge percent of first-time home buyers are millennials! This means a group of people born in the year between 1980 and 1995. If you fit the criteria and you’re considering purchasing a home then you might want to consider these tips for the future. A good foundation and beautiful exterior. The only thing missing for this house (which was built in the late 1990s) was a makeover. Atrium Built Design quickly to came the rescue. Try to think ahead. Your current needs might change in the future so make sure you consider all the facts before you rush into purchasing a house. Here are six things you may want to know over before taking that big step. Discover dependable contractors for your next renovation project. It’s normal to hit a few bumps along the way but make sure it doesn’t cause you unnecessary headaches and anxiety. Start your search through Perspective Renovations. It’s normal to have high expectations when you’re looking for your first or forever home. However, it’s also a good idea to make a list of things you think would be ‘nice to have’ and things you ‘can’t live without’. This will help you validate your needs. Are you a visionary? Do you have big plans for your home? Need someone trustworthy to help you implement them? Hire Ottawa’s #1 interior designers and bring your visions to life. All those home projects you have been putting off can finally be addressed. There is no shortage of neat ideas on bathroom upgrades and unfinished basements that you can’t find here. So pull out your brainstorming board and start planning your dream makeover today. Here are some easy ways to keep your home inventory up to date. Making a list of house items will help you in the long run with insurance claims. Start learning more about how to protect yourself and your home today. 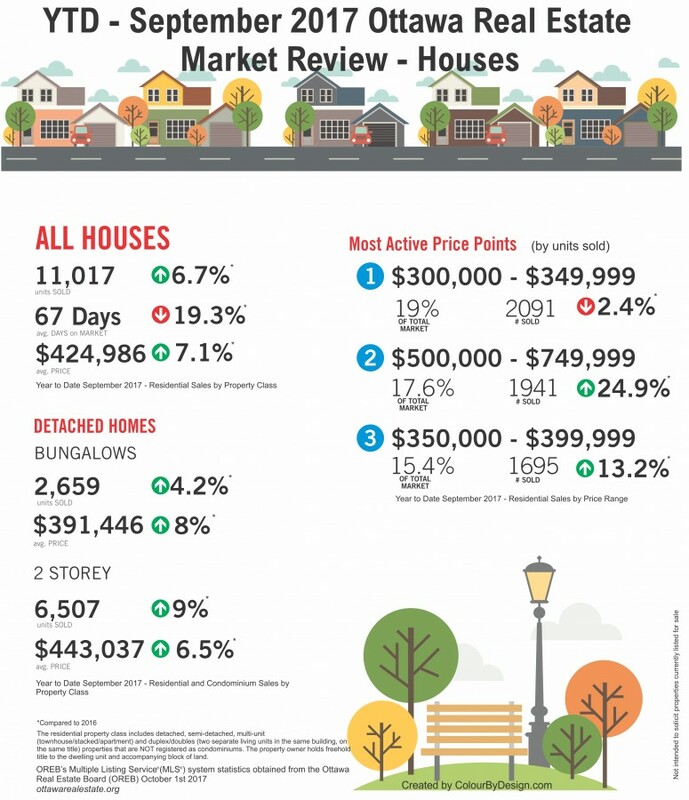 The stats are out for Ottawa’s resale market for the month of November 2018. 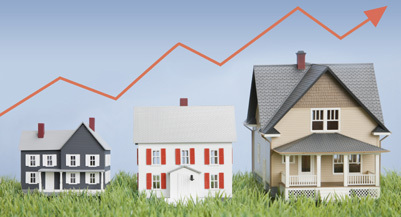 Stay up to date with the fluctuating prices of condos and homes. The numbers suggest a hunt for bargains is well underway. It’s natural for kids to change their hobbies and interests, but Sonia Lemire can tell her two boys are getting ready to trade in their roller blades for dumbbells. So what does she decide to do? Sonia connects with Just Basements to create a space that will help her boys make a smooth transition into adulthood. It’s normal to feel out of place in your own home and common to crave change after you’ve spent x amount of years there. 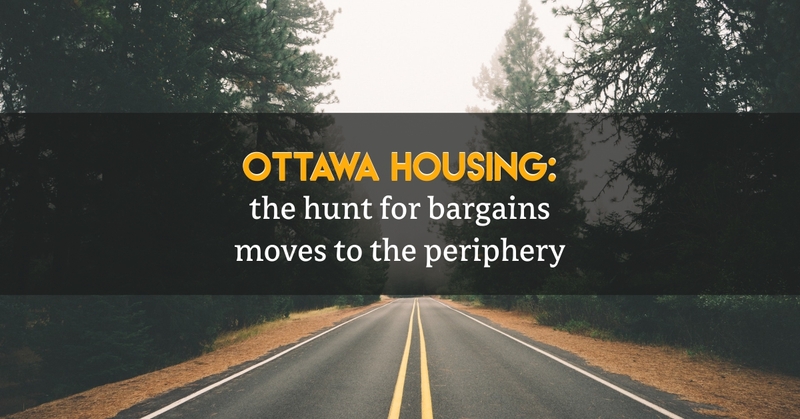 Joanne Hall felt just that and started a hunt for a new house that would keep her in the Glebe. However, after a meeting with Design-firm Linebox Studio, she learned moving wasn’t the answer. It looks like Santa Clause isn’t the only one coming to town. Alpha Art Gallery is hosting Ottawa’s very first Christmas Market this year! So bundle up and experience the magic of local artisans and the Byward Market Restaurants with your family and friends. Queen St. Fare is now officially open in downtown Ottawa! If you’re not jumping for joy yet then get a load of what this incredible food hall has to offer. Not only is it serving a wide selection of delectable dishes but it’s also doubling as a music venue. It’s important to know where you stand as a tenant, especially if you’re sharing space and responsibility with multiple people. Keep calm and stay informed with this helpful rental guide. Learn about landlord/tenant laws and the rent increase taking effect Dec 31, 2019. Even in our winter wonderland called Ottawa, creating curb appeal this season can seem like an overwhelming task. Especially when you are trying to sell your home because you know that creating a strong first impression is important. Luckily, it comes down to a few key areas for you to devote a bit of time to. Look to DIY projects, topiaries, beautiful hanging lights, and gorgeous wreaths. 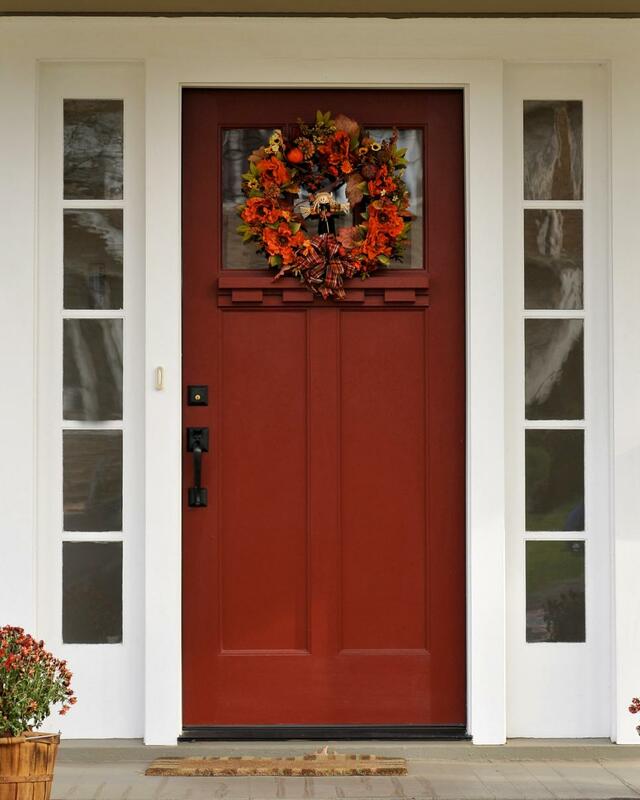 Bring in potential buyers this season with great curb appeal! 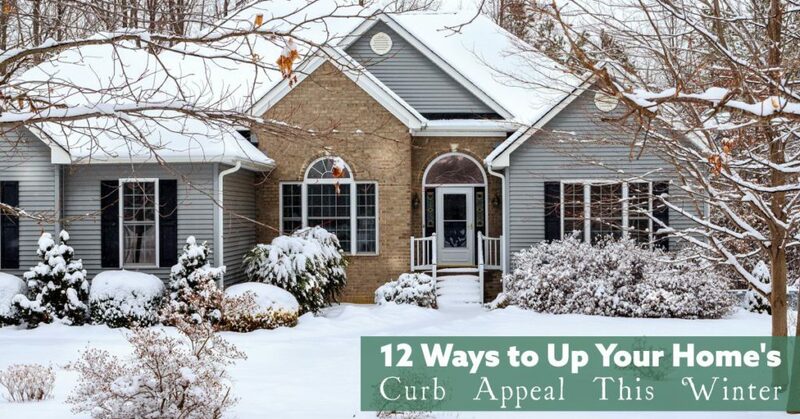 Click here for your 12 Curb Appeal Tips. Do you have an avid DIYer in your life? Think about helping them build their tool kits with ergonomic tools, better safety and protective gear, and creative storage solutions. That is if you aren't hoping they'll hire a professional to do any future home renos! 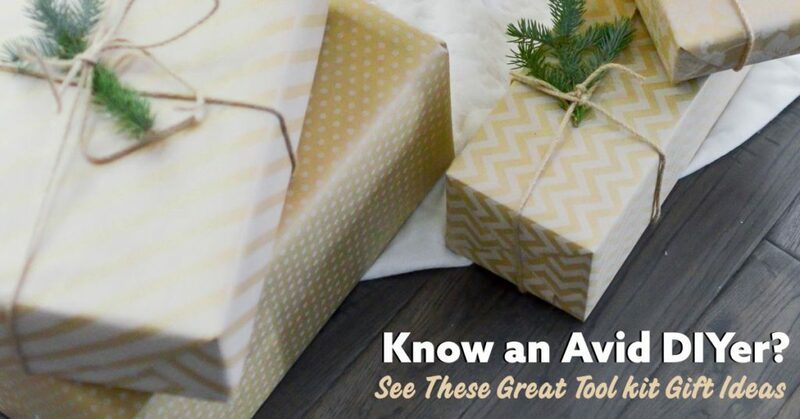 Check out these great gift ideas here. It's finally the weekend, Ottawa! If you're looking to enjoy great winter holiday events, live music, and parades - look no further! Ottawa has several great events and family-friendly activities taking place in and around the city. 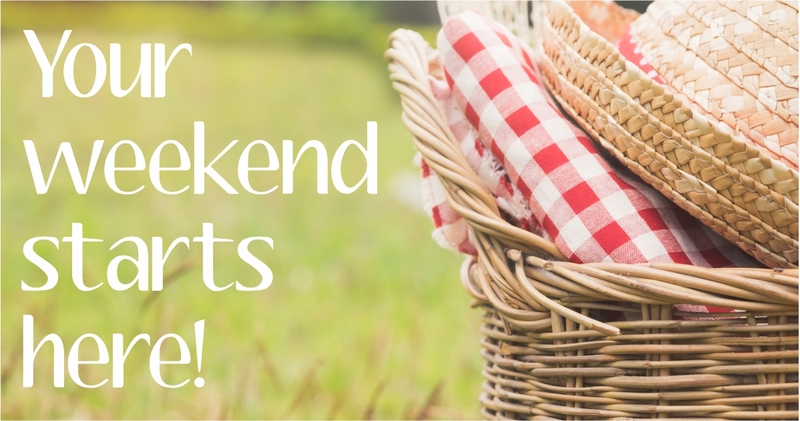 Click here to plan your weekend! Winter can make your home's air dry and stuffy, which no one wants! Your home's air quality has a major impact on you and your family's overall health and comfort, right off the bat you may start noticing sinus congestion, excessive static cling, dying house plants and dry, itchy skin. You don't have to buy a humidifier or break the bank to add more moisture to the air in your house. 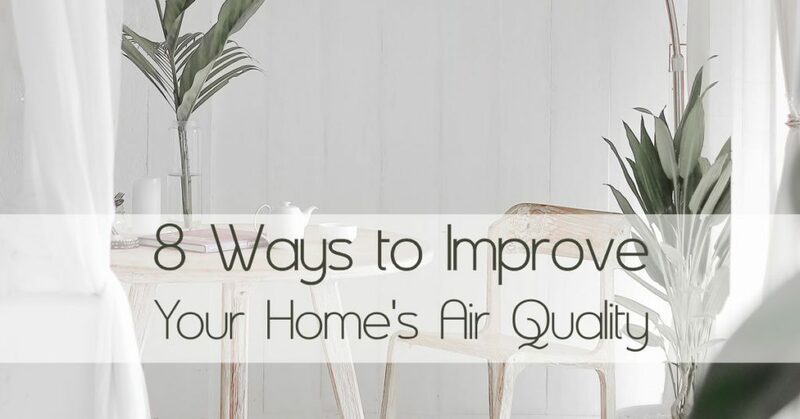 For 8 ways to help improve your home's air quality, click here! The new year is just around the corner, and luckily the 10 best interior design trends are available to get you inspired. 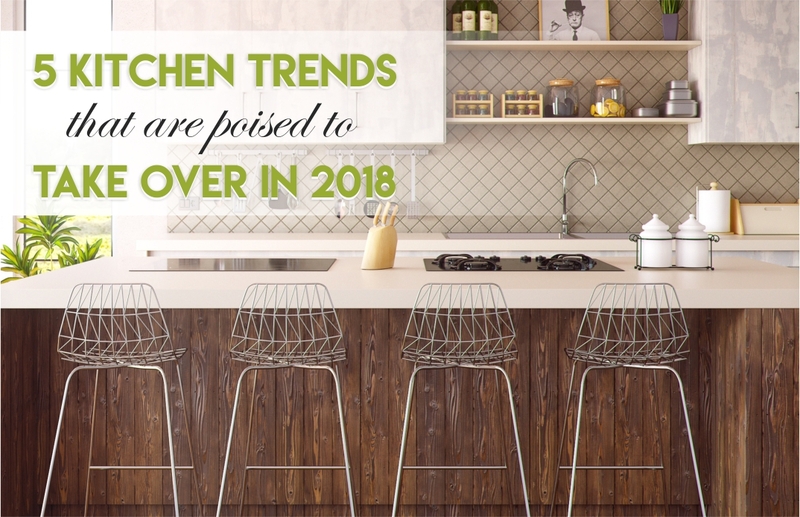 See how popular trends from previous decades have made their way back with a modern twist and how eco-friendly has a big movement in interior design. Get creative with materials, finishes and statement ceilings to dress your home for 2019. Click here for design inspiration! It's Friday! Which can only mean one thing, the weekend is here. 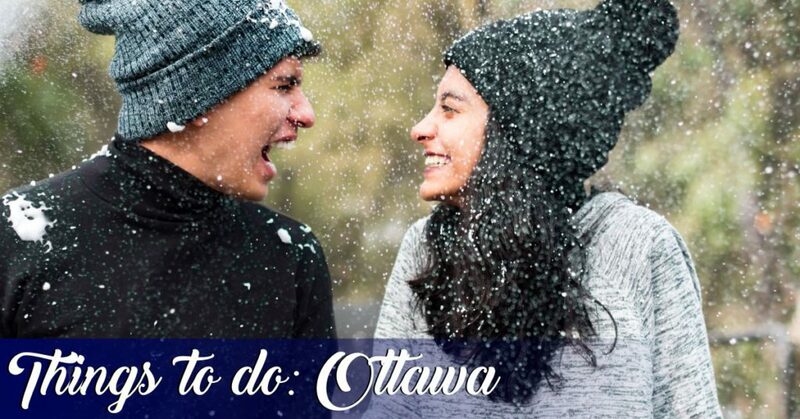 If you're looking for activities for the whole family, like the Magic of Lights, live concerts, sports games and theatre - Ottawa has you covered. Safety first. First and foremost, you want to ensure that buyers can make it to your front door without any accidents. Prevent slips by clearing your driveway, walkways and stairs of snow, ice and leaves. A tidy lawn. 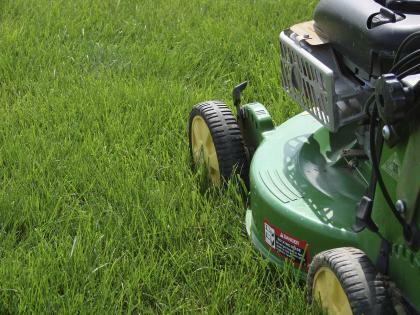 Your grass may no longer be green, but you can still keep your lawn looking neat so buyers can picture what it will look like in the spring and summer. Keep your lawn clean by periodically raking up leaves and other debris. Clean gutters. Leaves will accumulate in your gutters in the fall, so clean them out before putting your home on the market to show buyers that you care about exterior home maintenance. Fresh paint. Because of bare trees, buyers have a clearer view of your home in the fall and winter than they do in the spring and summer. Faded or chipped paint will really stand out, so give your home a fresh coat if it needs it. Outdoor lighting. As the days get shorter, having proper outdoor lighting will make your home safer and more attractive for buyers who come to visit at night. Use a series of path lights to illuminate the way to your front door, or flank the door with decorative sconces or lanterns. Winter decorations. 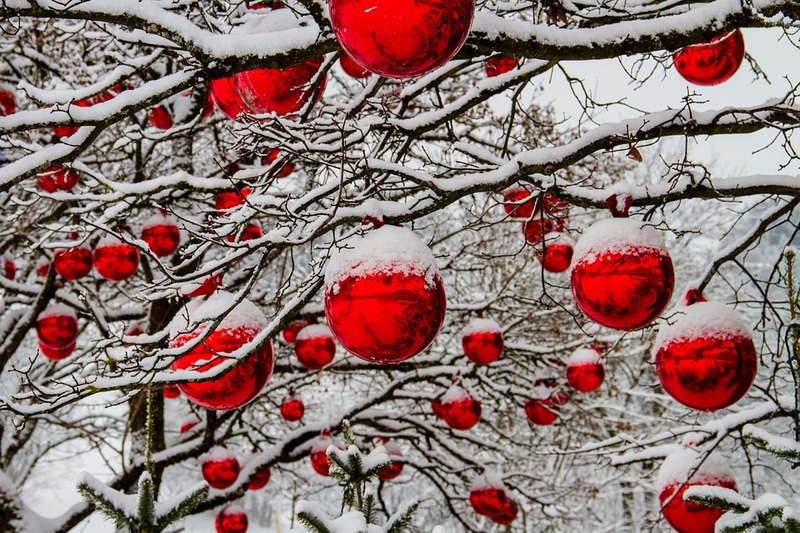 A giant inflatable Santa Claus in the front yard is sure to distract buyers, but subtle wintry decorations can bring out the best in your home. Try a simple wreath on the front door, small white lights strung around shrubbery, or a pile of firewood stacked neatly against a wall. Cold-weather plants. Evergreen trees or plants that can stand up to the cold weather such as pansies or witch hazel can liven up a drab landscape. NationalPost.com, Paint Trends for 2019: Just Breathe by Martha Uniacke Breen. October 27, 2018. 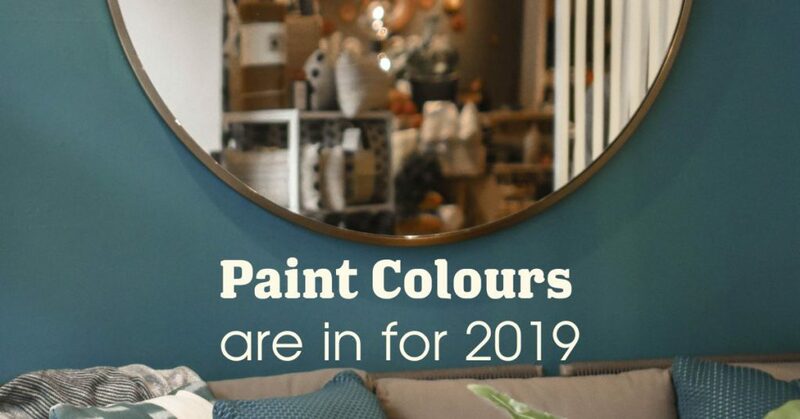 The major paint manufacturers have unveiled their picks for colour of the year 2019, and if all the choices could be summed up in one idea, it would be “relaxed.” That’s not to say next year’s palette is neutral or boring; ¬there are jewel tones and an evolution of strong shades, including near-blacks, from past years. But what distinguishes this year’s picks is a general smokiness, a gentling down of colour, and a sense that many of these colours would work together beautifully, even across brands. Which means that making choices in décor, from fabrics to materials and textures, is easier than ever for consumers. What’s driving this movement towards easy-going, simplified decorating? Colour-of-the-year choices often grow out of a range of demographic, cultural and even political trends, as well as more material influences such as fashion and industry. Arguably, political noise on both sides of the border and around the world has given us an urge to just go somewhere and be quiet for a while. And what better sanctuary than the home? It’s also about a longing for simplicity, adds Erika Woelfel, Behr VP of colour and creative services. “Curation is a word we’ve been hearing a lot. It’s about simplicity, streamlining our choices, helping to narrow down our decisions.” The rise of super-decluttering trends like the Marie Kondo Method appeals to our need to regain control through overcoming the excess — physical and psychological — in our lives. Sherwin Williams’ director of colour marketing, Sue Wadden, points out that a return to our own unique touchstones is very important these days. Disparate influences, from roots and global cultures to the women’s movement, translate into colours that have a personal resonance. The popularity of cosmetics colours, such as blush, peach, corals and other shades that are flattering to the skin and soothing to the soul, tie into this. Dulux has chosen a deep, velvety green with grey and blue undertones called Night Watch. “It’s both calming and invigorating at the same time,” explains Forint. “There’s a nod to nature, but it has an urban sophistication as well.” The shade has a cocoon-like, almost dimensional feeling, and a mid-tone value that can perform either as a neutral, or a colour, depending on what you pair with it. “Every one of these colours has the same feeling as Metropolitan, with that softness,” says Grech. “Kendall Charcoal has been my go-to grey for years; it just envelops you. Beau Green is a bit brighter than some of the others, with a global feeling to it. And Head Over Heels is warmer, more mature than a lot of other pinks.” A nod to the idea of familiarity comes in the inclusion this year of BM’s top-selling white of all time, Cloud White, along with a cooler tint called Decorator’s White. According to Behr’s Woelfel, all the colours in the 2019 palette have similar saturation levels, which help them naturally harmonize. The company divides its suggestions into four palettes, each of which create different moods or effects. Some of Woelfel’s favourites include Sand Dance, a misty tan-peach that pairs especially well with Blueprint; Watery, a delicate light blue more sophisticated than baby blue; Antigua, a near-tropical teal; or Mars Red, a gentle, pale coral-red. Dulux recently introduced a new finish called Venetian Silk as an updated version of the paint treatments of the ’90s, available in 40 colours, including a variation on the colour of the year called Mojito Shimmer. Applied in a simple two-step treatment, it produces a shimmering, dimensional effect, and can be used either as an accent wall, or for a whole room, to instantly elevate a space. All of the 2019 picks are relaxed and easy to work with; unlike some edgier shades we’ve seen in past years, the overall mood is elegant but softer. And all of these colours seem to have been chosen for ease of decorating, since every one is equally at home with natural fibres and textiles, hard metals or soft woods, and a range of decorating styles. 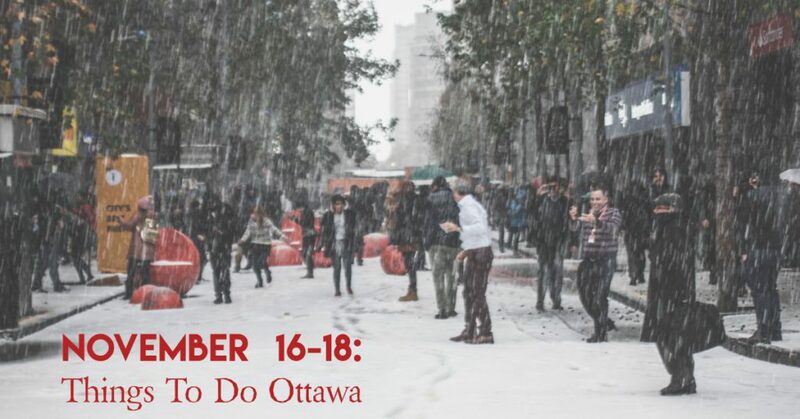 Welcome the snow with the great events taking place in Ottawa! 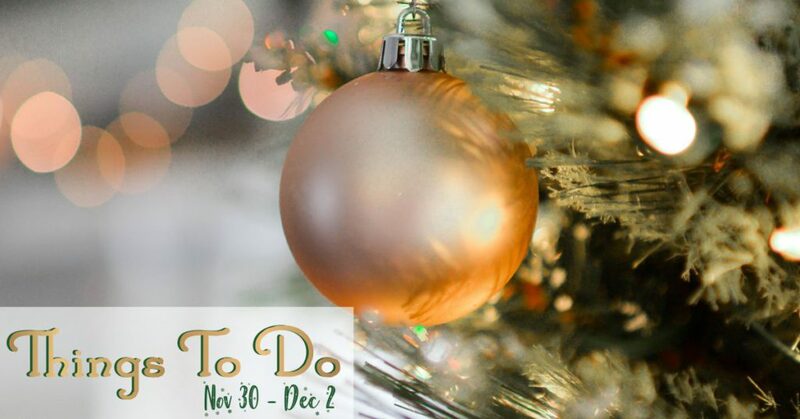 Enjoy one of the Santa Clause Parades, DJ Skate Night at TD Place, 613flea and the Ottawa Comicon: Holiday Edition. Click here for a full list for events. Insulating and heating your garage has a host of benefits. Not only does this allow you to use your garage year round, but it protect stored items, reduces noise, keeps the heat in and protects you from dangerous Carbon Monoxide. 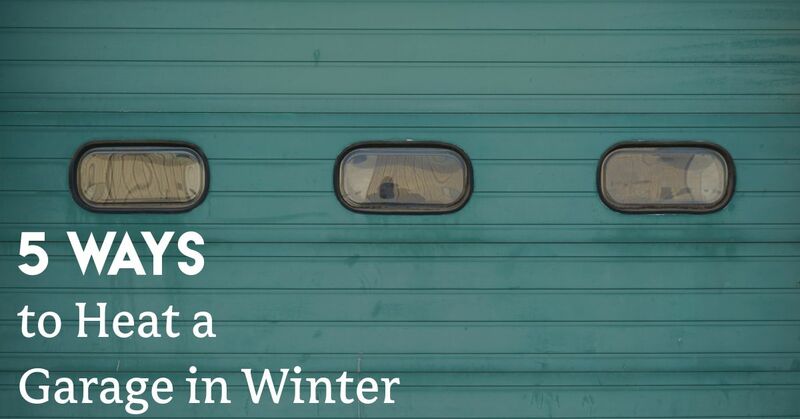 Click here for 5 Ways to Heat a Garage in Winter. 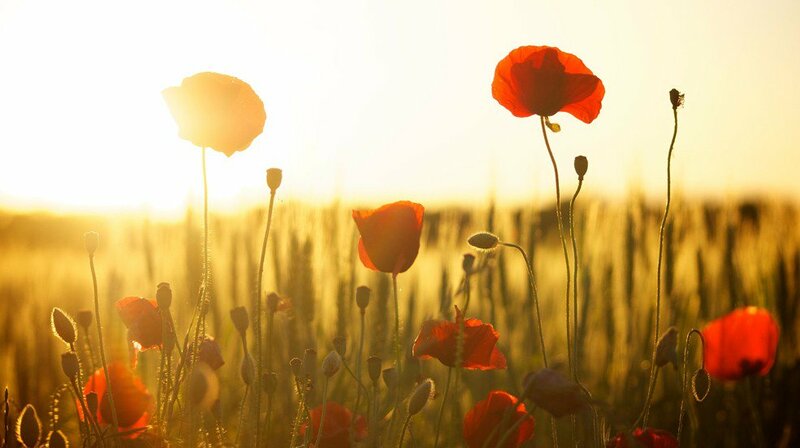 This Sunday, November 11th is Remembrance Day. If you are looking for an event to help commemorate and show your respect to those who have sacrificed for our country, see the list of Ottawa-based events below. 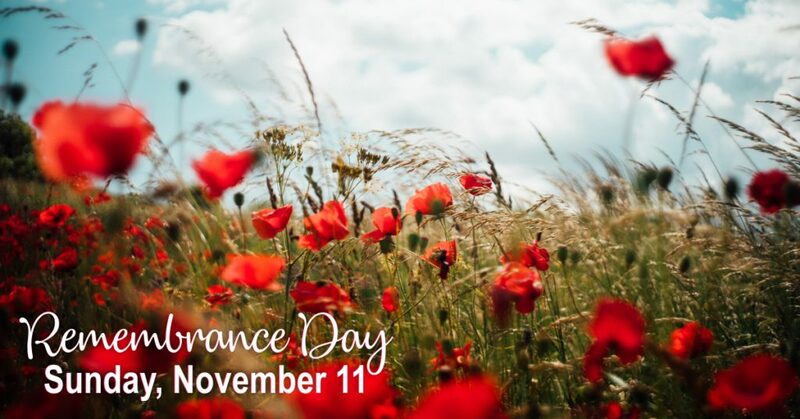 The National Remembrance Day Ceremony at the National War Memorial, put together by the Royal Canadian Legion, downtown Ottawa from 9:00 am - 12:00 pm. The Virtual Wall of Honour and Remembrance, from 9:00 am - 10:00 am, displays photographs of late veterans before the Veterans Parade (departing from Parliament Hill). The National Arts Centre is presenting a special free concert commemorating the 100th anniversary of the end of the First World War at 12:30 pm. Visit the Canadian War Museum, a memorial to Canada’s proud military history and the brave souls who have sacrificed for our country. National Military Cemetery will hold a ceremony to honour those who have served, and those who continue to serve, our country. If you are unable to attend any of the above, observe a moment of silence for our brave soldiers and our fallen. 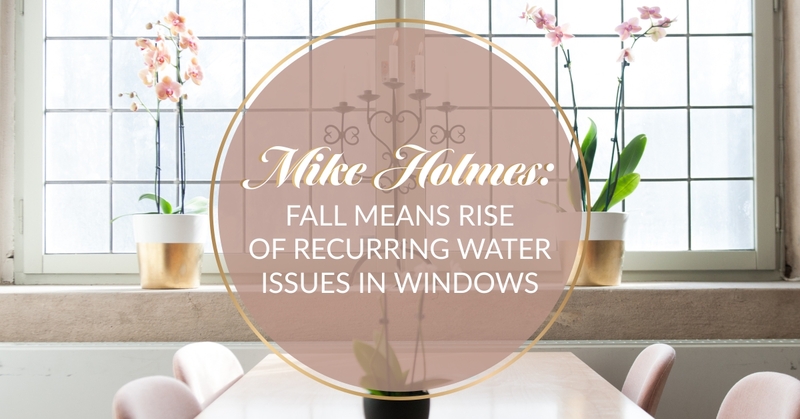 With the fall season in full swing, you may notice condensation on your windows, or take note of their overall ‘health’. If there is moisture, it could be a sign of something more severe and potentially serious water damage. Water damage never comes alone, if left untreated, it invites mould and rot into your home too. Are your floors starting to make sounds that remind you of a haunted house? It may be time to bring in a professional to inspect them. Creaky and moving floors can be the result of poorly installed subfloors. 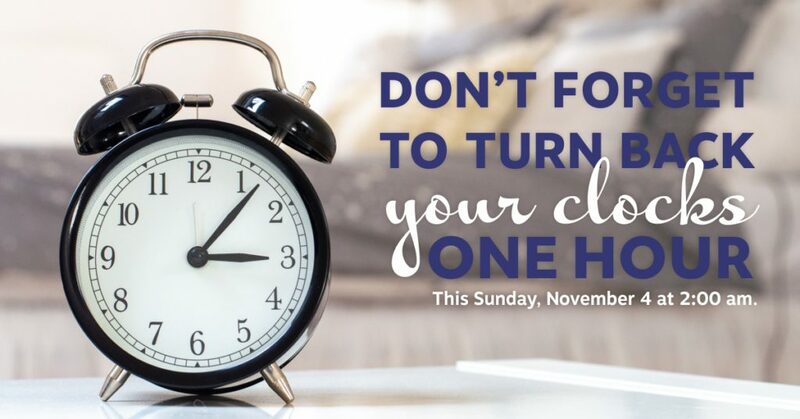 2018-11-02 — Don't Forget to Change Your Clocks this Weekend! This Sunday, November 4th 2018, the clocks will go back one hour at 2:00 am. That means we can look forward to more light in the mornings! 2018-10-31 — Have a Happy Halloween! 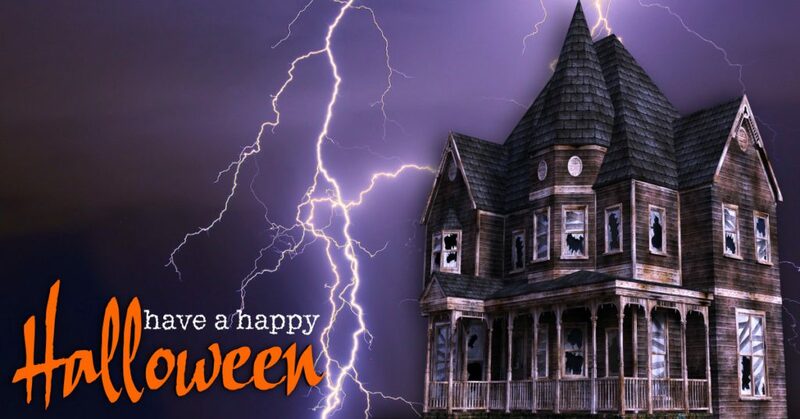 Wishing you a happy and safe Halloween this year! OttawaLife.com, Evenings Out in the Capital: Four of Ottawa’s Best Kept Secrets by OLM Contributor. October 19, 2018. 2018-10-26 — Halloween: Ottawa Events! It's almost Halloween! Make it a spooky weekend filled with ghosts, vampires and ghouls with any of the great events taking place this weekend. 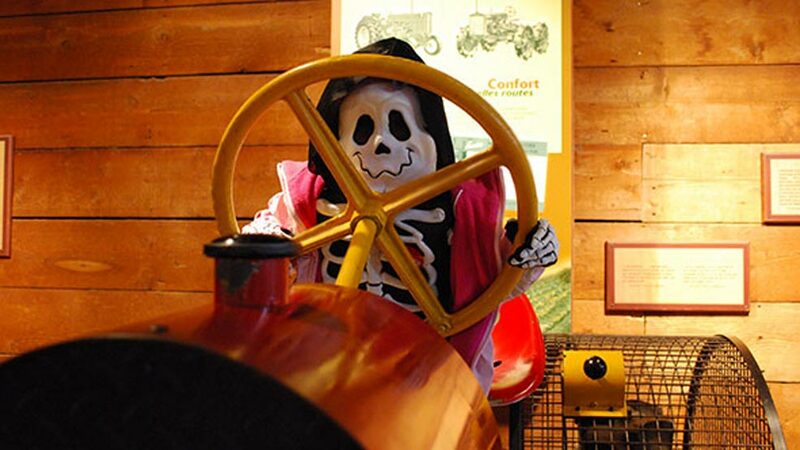 Try Frightfest at Saunders Farm, Skreamers at Proulx Maple & Berry Farm, and Acres of Terror. 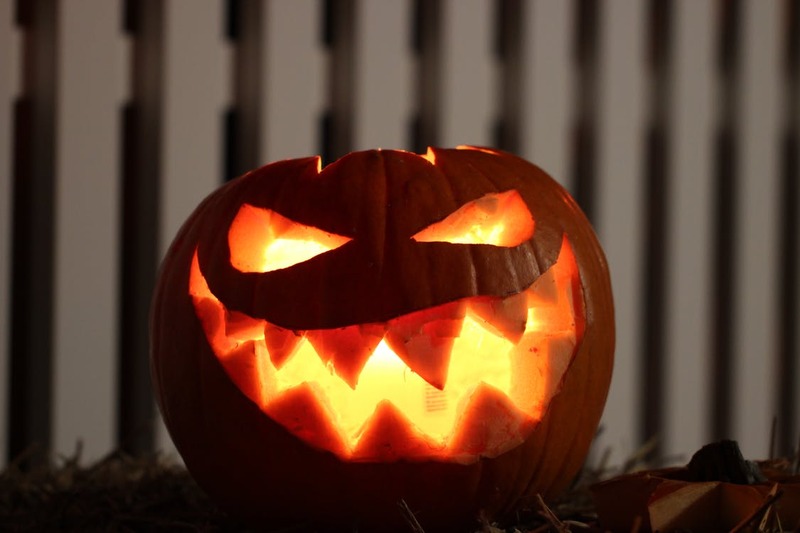 Click here for a full list of spooky events! 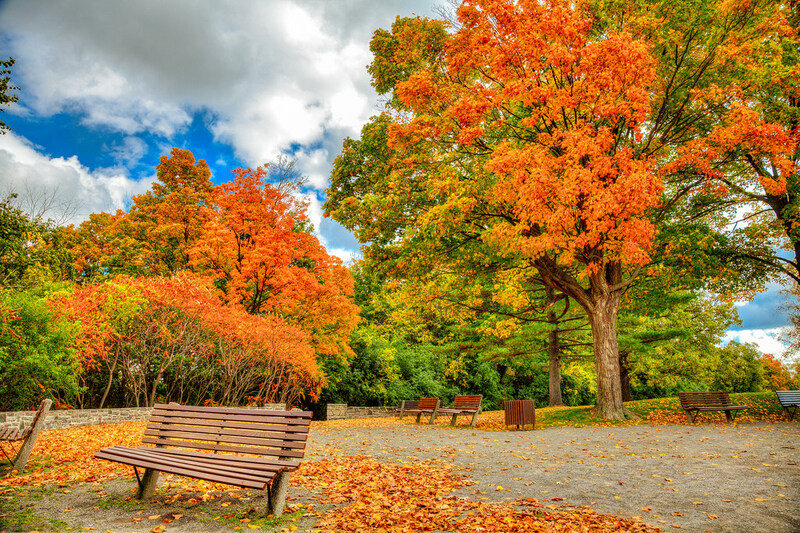 Autumn may be the most photogenic time of the year in Canada’s capital, with colourful foliage contrasting deep blue skies throughout the city and in the countryside. 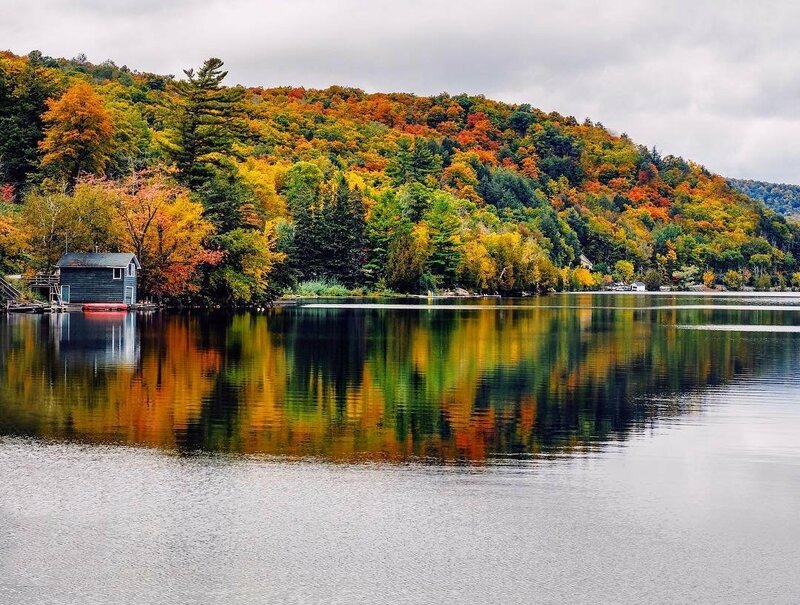 Take advantage of this vibrant season to explore some of the best places to photograph this fall in Ottawa. 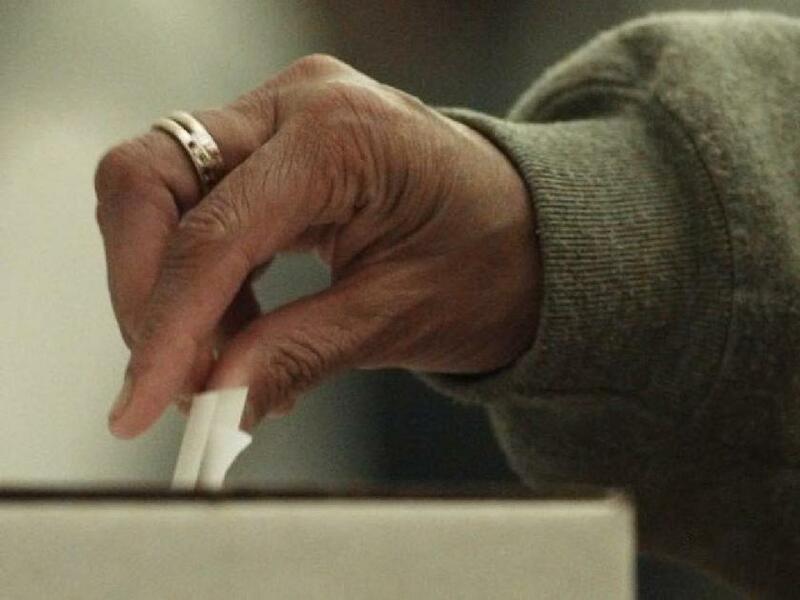 Election day is here, and that means voters will be lining up at their assigned polling stations across Ottawa to cast their ballots. Liven up your weekend with thrilling events like Haunting Season & Frieght Fest at Saunders Farm, Incident at the Bunker, and Haunt Nights at Watson's Mill. If you're looking for something a little less spooky, enjoy events like Splash'N Boots LIVE and live music in the city. 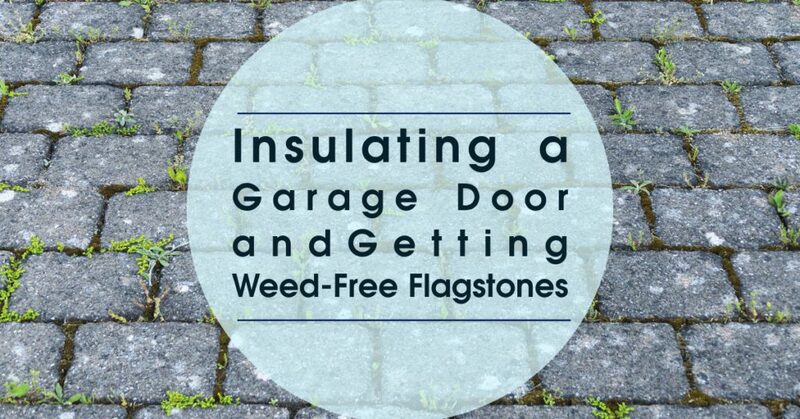 Your questions on insulating garage doors to make the garage a warmer place in your home and obtaining weed-free flagstones answered! Making sure you take the time to properly plan out your projects, and using the proper materials are important to success. For answers and tips, click here. Don't put your unwanted or gently used items in the garbage! 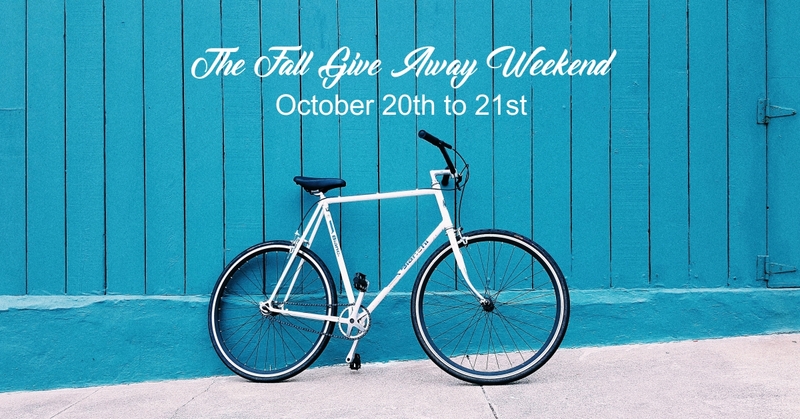 This weekend, bring them curbside for the Fall Give Away Weekend. 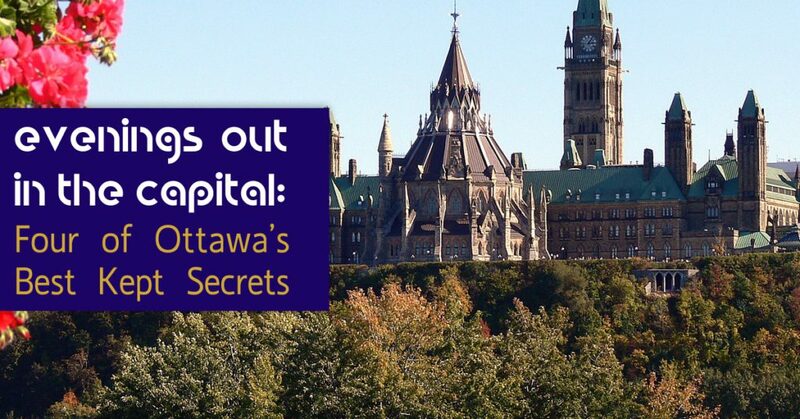 Head out and take a tour of Ottawa communities to search for hidden treasures. 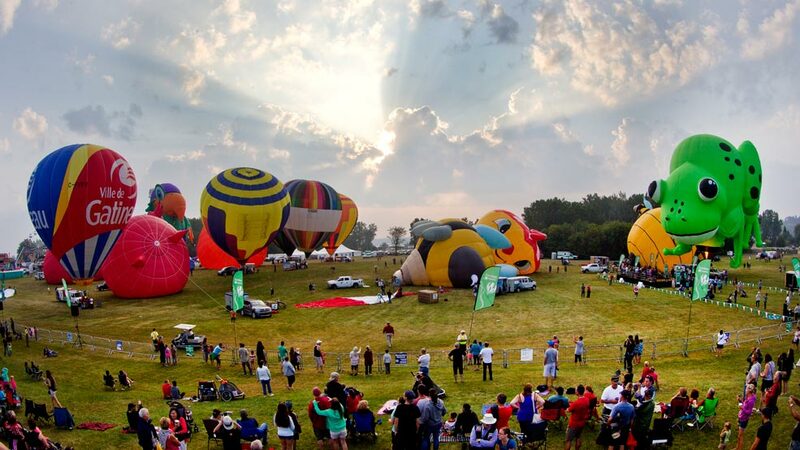 There's many fun events taking place this weekend that the whole family will love. 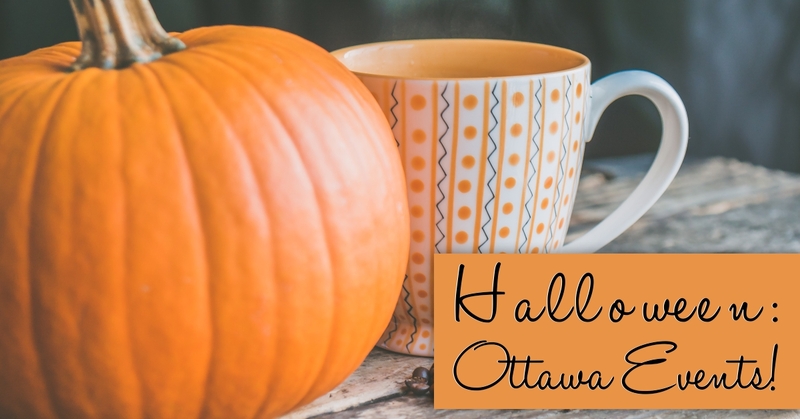 If you're looking for ideas, check out the Ottawa Fury games, the Metcalfe Farmers' Market, Paranormal Investigation of the Mill, the October West Beer Fest, or the Ottawa International Burlesque Festival. You'll be sure to find an event that piques your interest! 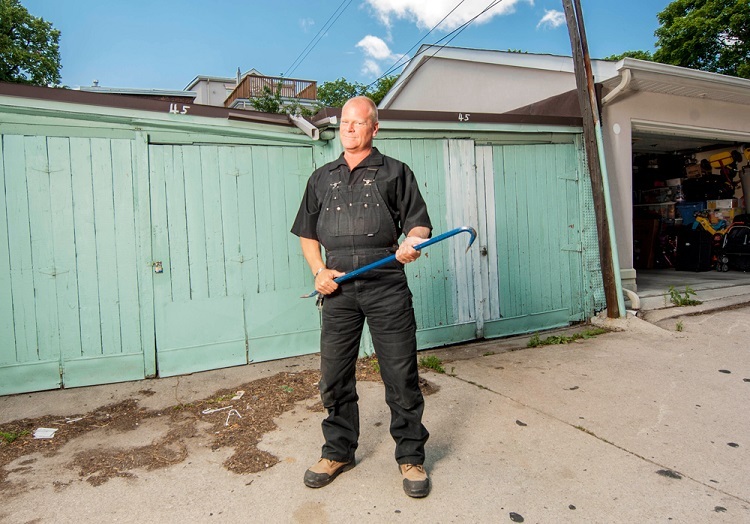 NationalPost.com, Maintained fences make happy homeownwers and neighbours by Mike Holmes. October 9th, 2018. 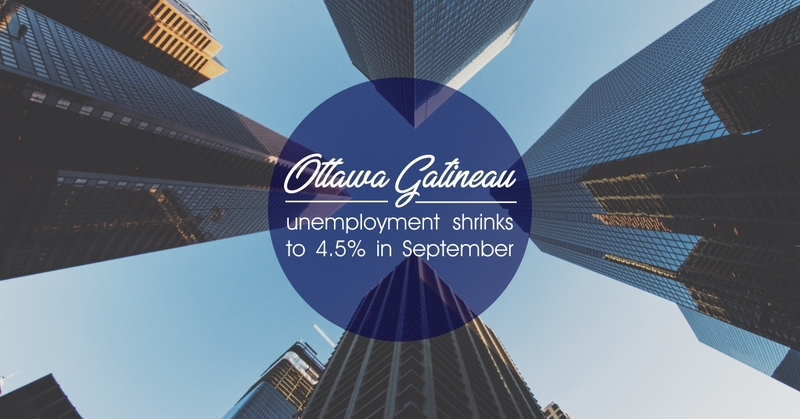 Statistics Canada reported, Friday October 5th, that Ottawa's employment rate went up during the month of September. This is a great news, following a three-month trend of a hike in unemployment. 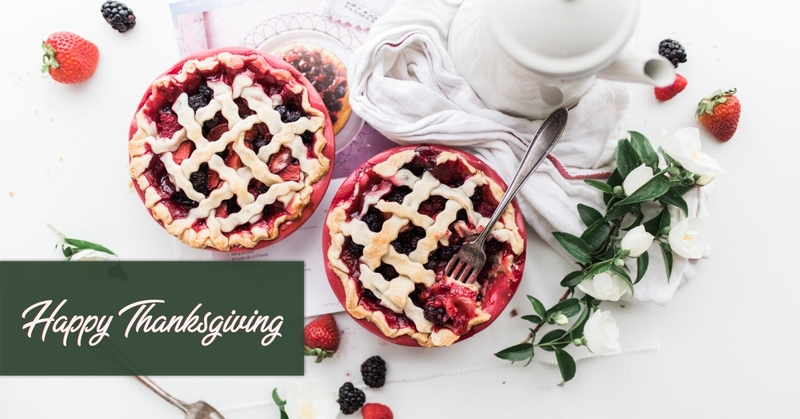 2018-10-05 — Wishing You a Happy Thanksgiving! Hoping you & yours a happy Thanksgiving, & a wonderful long weekend! With Thanksgiving just around the corner, you may be looking for some different recipes to change things up this year. Price it aggressively. Homes that get multiple offers are often sold in an “auction” atmosphere. If you think back to the last auction you saw on TV or participated in online, you’ll remember this basic element of Auctions 101: the starting price is lower – sometimes quite a bit lower – than the final sale price. Give buyers and brokers ample access. Put yourself in your target buyer’s shoes. Say there are 40 homes on the market which meet their specifications, in terms of bedrooms, bathrooms, square footage, price range and location. And 25 of those top the list. But they only have time to see 8 today. If the buyer’s broker can’t get into your house today, because you have so many restrictions around showing it, your home could very well miss out on a showing with this qualified, motivated buyer. Make it beautiful. Really, really beautiful. The homes that get multiple offers are those with look, feel and function that can be described in one word: covetable. You’re not trying to create a situation in which your home barely edges out the listing down the street in the hearts and minds of your target buyer. 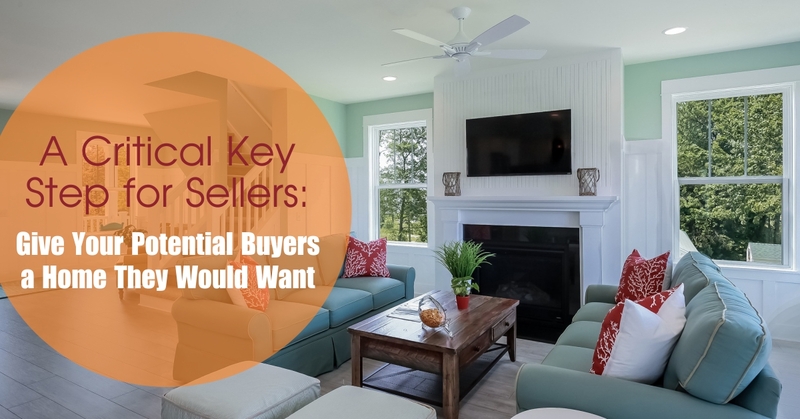 If you want multiple offers, you need multiple buyers to fall deeply in love with your home – enough to bid above the listing price, and enough to compete with others for it. Expose it to the market. An offer the very first day your home goes on the market may sound like a dream come true. But it might also incur opportunity costs. See, many buyers can’t get out to see homes that quickly – some are unable to house hunt except on the weekends. Listing agents who get multiple offers often plan from the start to expose the home to the market long enough for target buyers to see it and get their offers on the table. Be ready to course correct. Is your home one of the houses that has been sitting on the market for months without any action? Do not fret – there might still be hope. In real estate, there’s something insiders call the Sweet Spot Phenomenon, where an overpriced home sits on the market for months with no bites, sometimes even through multiple price reductions. Finally, the seller lowers the price to the ‘sweet spot,’ and it generates multiple offers and sells for more than the final list price. There's a lot of exciting fall events and activities taking place to keep you busy the whole weekend. 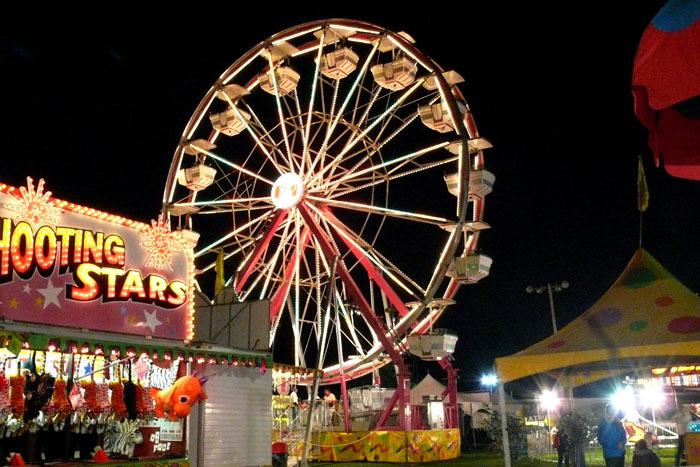 Many activities and events for the whole family to enjoy, check out the Metcalfe Fair, Acres of terror, Pumpkinferno, or a range of live music across the city to get a jump on your weekend adventures. 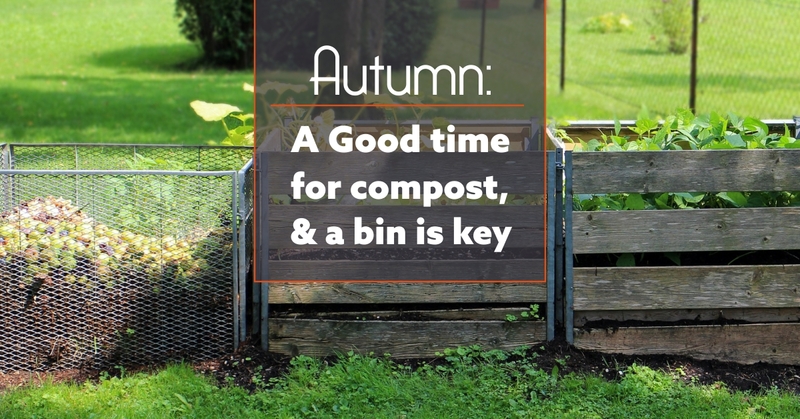 Fall is an excellent time of the year for composting. General garden cleanup, cutting the grass, and fallen leaves are some of the things that contribute to that. You don't need to dig into exotic ingredients or have fancy, expensive equipment to do it. Click here for tips on how to get started. 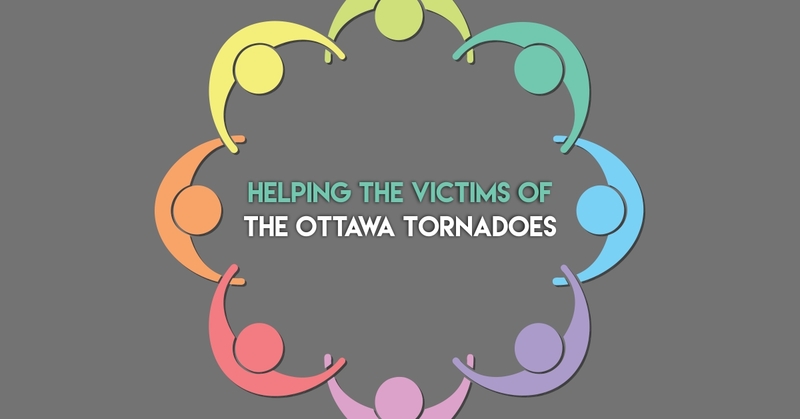 After the aftermath of a severe windstorm and two tornadoes ripped through the Ottawa area on Friday, many residents are left without power, shelter and food. Approximately 60 buildings were decimated in the Dunrobin area and more than 215 structures in Gatineau were damaged or destroyed. 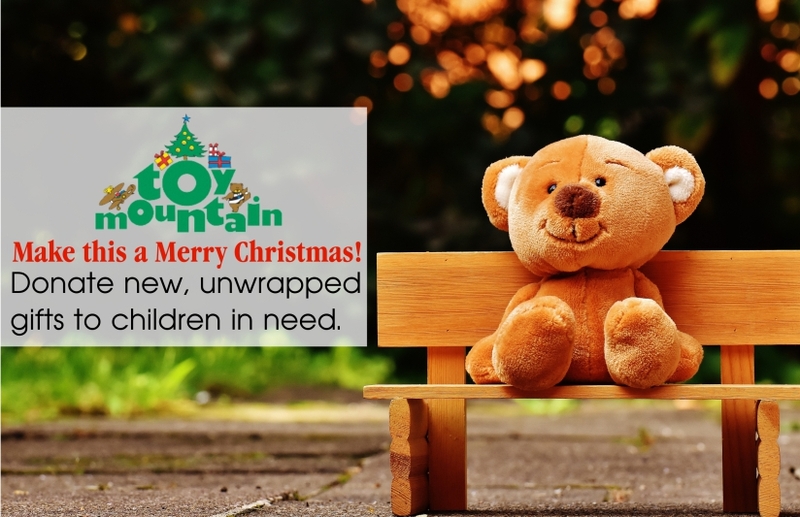 If you are looking for a way to help your fellow citizens, click here for information. 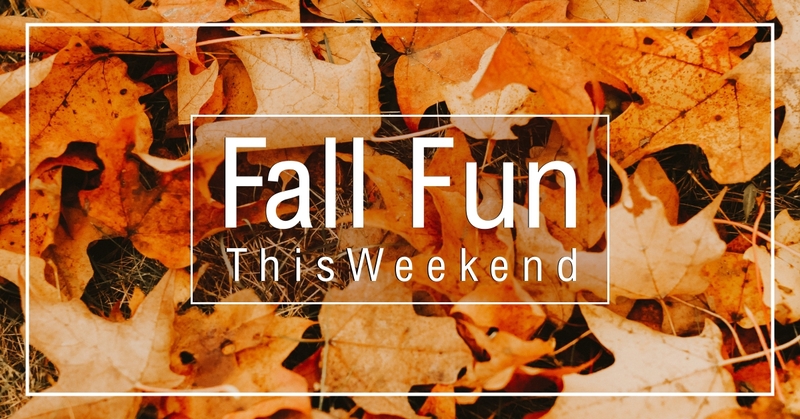 Kick off the first day off Fall tomorrow with some fun events and activities happening around the city this weekend. There's plenty of fun for everyone, like the Carp Fair, Night Shift at Watson's Mill, the REDBLACKS Family Day Game, or the Canada Army Run. 2018-09-19 — Ready, Set, Paint! Looking to put some life back into your kitchen? Give it a brand new face-lift, with a fraction of the cost of a full renovation, by painting your kitchen cabinets. For tips, tricks and a step-by-step guide, click here. 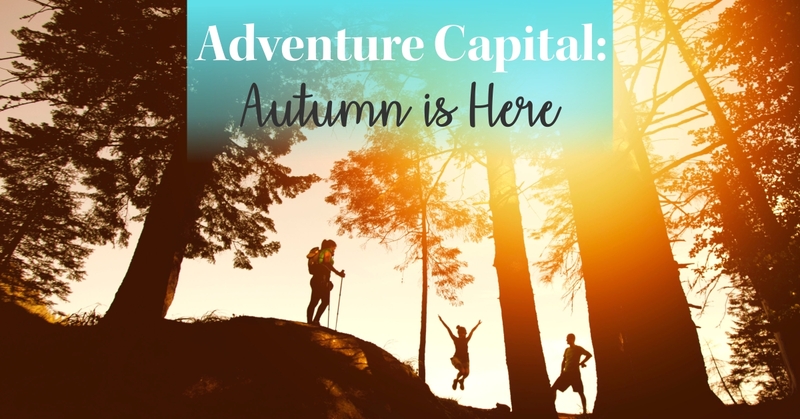 If you're looking for new and fun ways to explore Canada's capital this fall, look no further! 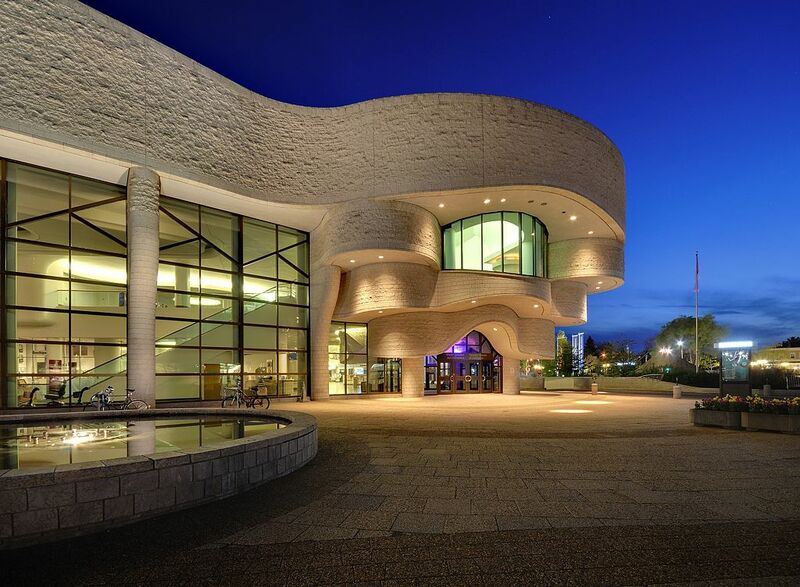 Ottawa has a vibrant outdoor scene and is sure to get your heart racing. Click here for 8 Fall outdoor activities. Looking for something fun for the whole family to do? 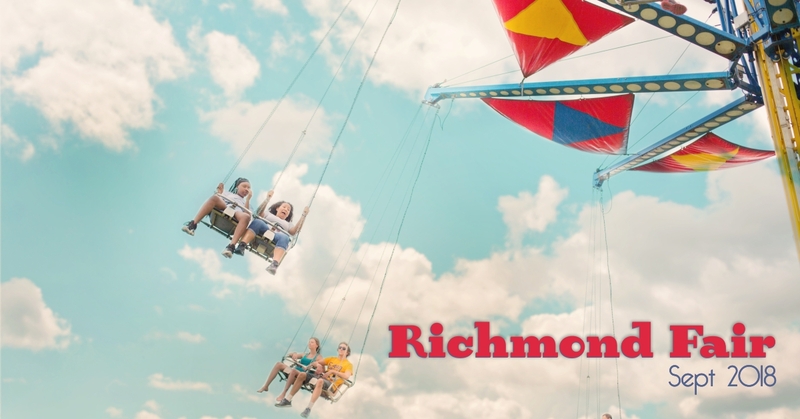 Check out the 174th Richmond Fair. 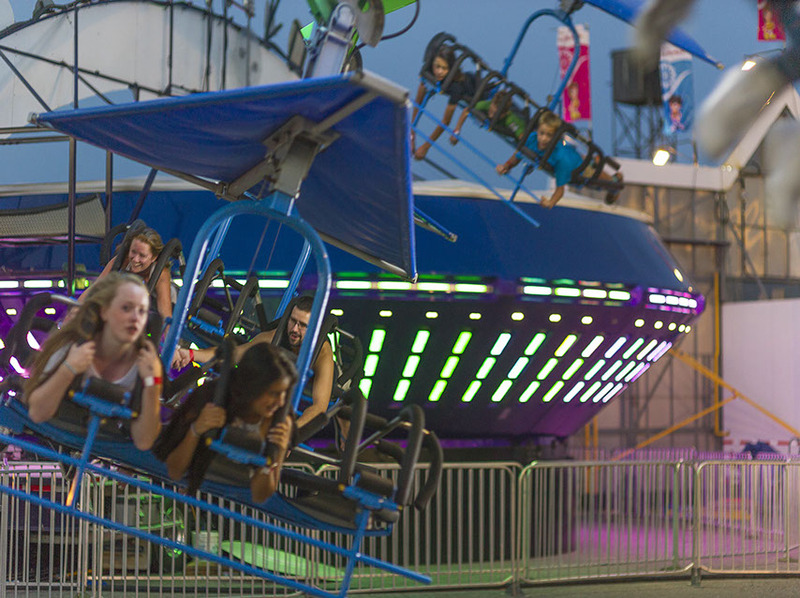 It has activities for everyone, like: helicopter rides, live music, children's entertainment, exhibits, and more! 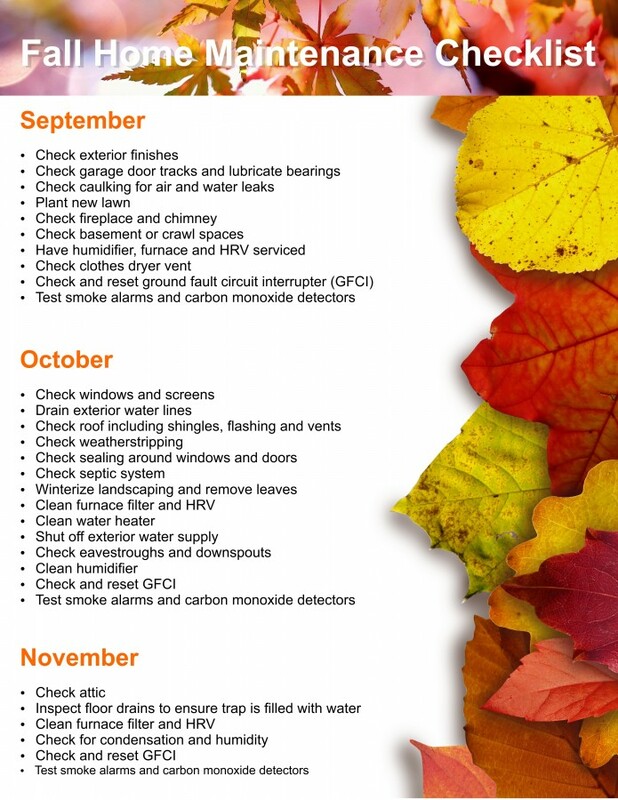 2018-09-12 — It's time to start thinking about Fall Home Maintenance! 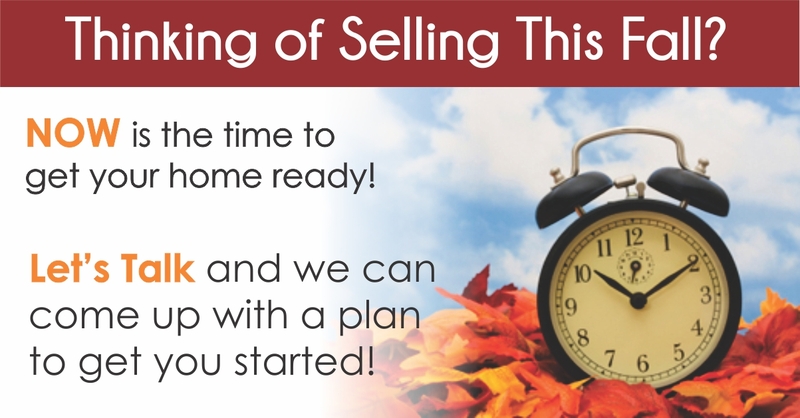 Looking to sell your home this Fall? 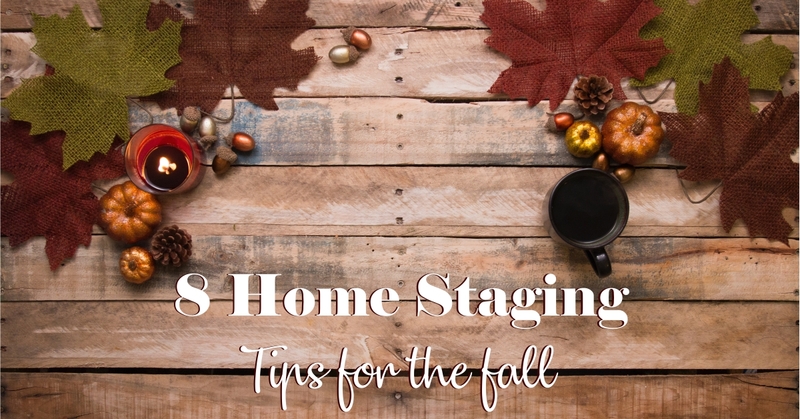 Seasonal home staging can help! 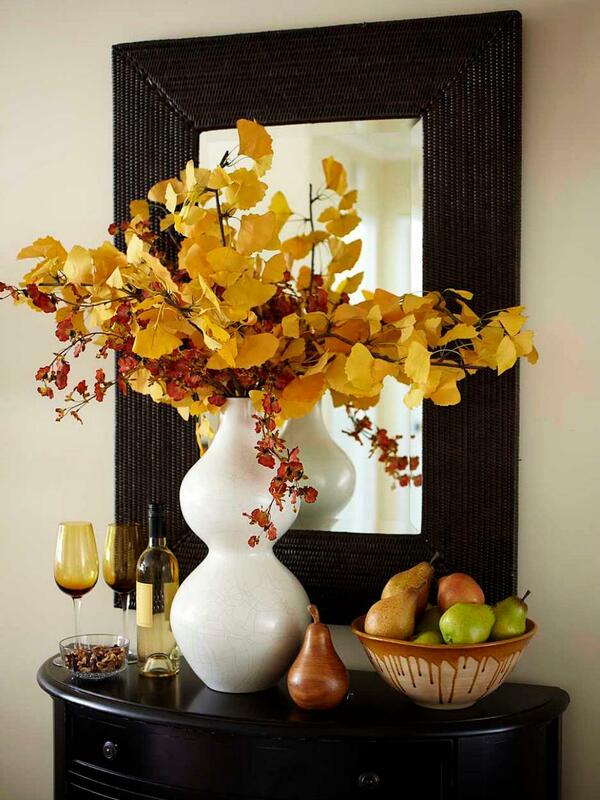 Catch homebuyers’ attention with stylish decor and updates this Fall. Click here for your home staging tips. Ottawa is showing a trend of home buyers looking to the outskirts of the city for bargains. Despite a busier than usual summer, momentum slowed during the month of August. Click here for more on Ottawa's Housing Market. 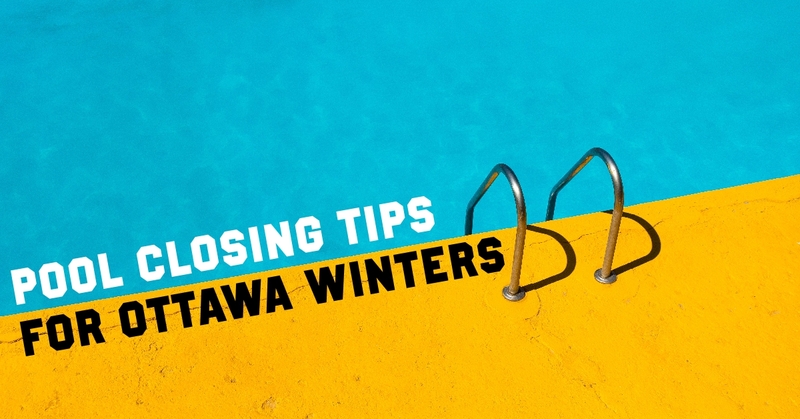 As fall approaches, it's time to start thinking about closing your pool for the Ottawa winter. 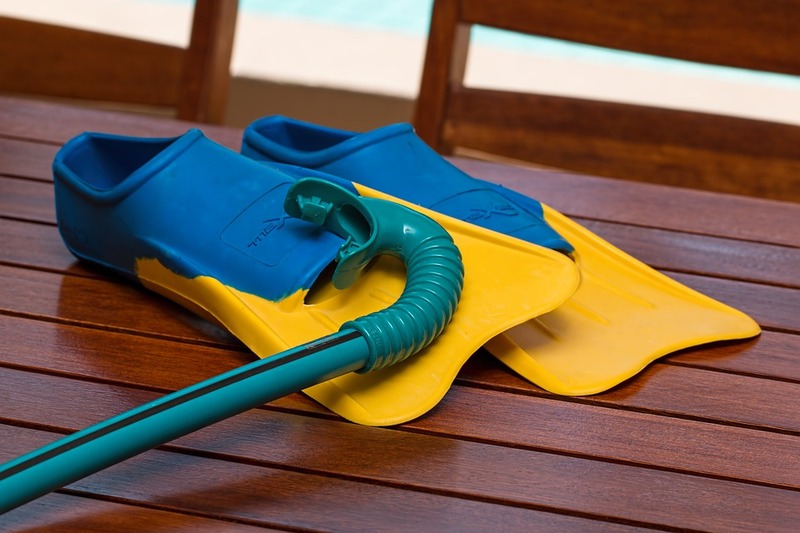 Help keep your pool clear and trouble free by following the 9 pool closing tips! Click here for your step-by-step guide. It's the last long weekend of the summer, Ottawa. 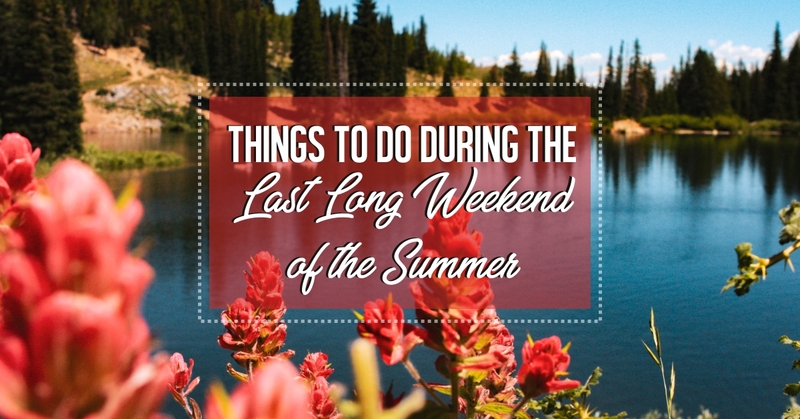 If you aren't getting out of the city or heading to a cottage, there's plenty of events happening here to make your weekend! Enjoy the Latin American Parade or head to Beachburg for a whitewater rafting adventure! Stay up-to-date with Ottawa traffic, road closures, events and incidents with an interactive map to help make your drive home or planning your long weekend trip a breeze! Tackling a DIY home renovation or project? Being prepared and having the proper protective gear is the first place to start. No matter the project size, you should always be wearing the appropriate protective gear! 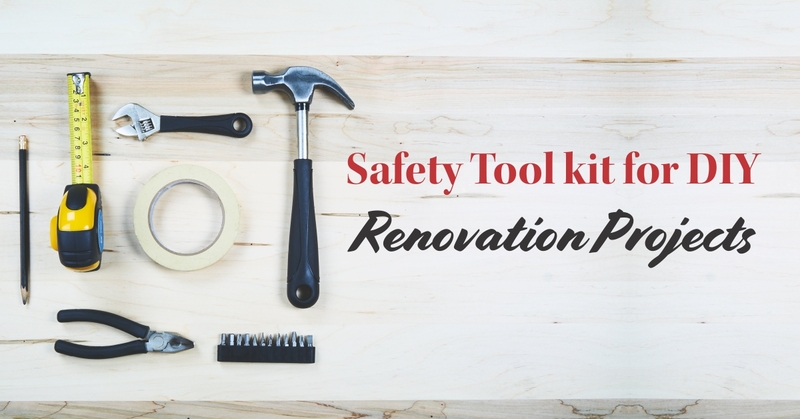 Click here for a safety tool kit for your DIY projects. 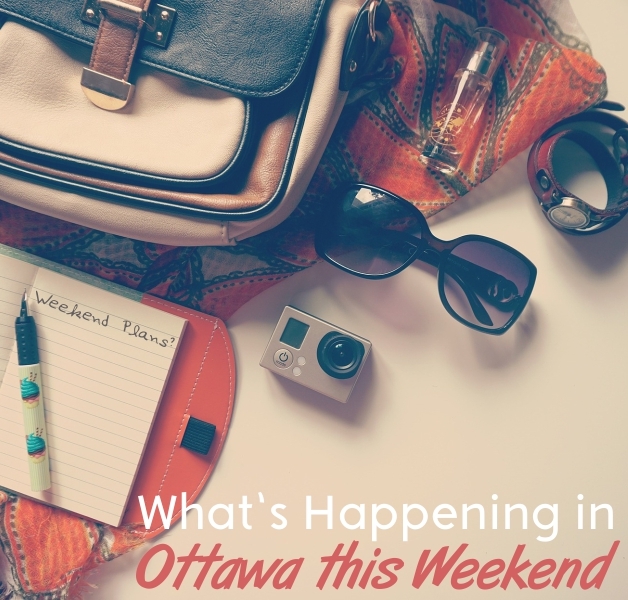 Ottawa has many exciting events and activities taking place this weekend, August 24th - 26th. Not only is there The Capital Fair, and festivals (like Lumiere Ottawa), but there will be an outdoor showing of Jurassic Park on Sparks Street! There will be something for everyone to enjoy this weekend. A new school year is just around the corner! As exciting as that is, back-to-school time comes with it's own sets of challenges and difficulties. 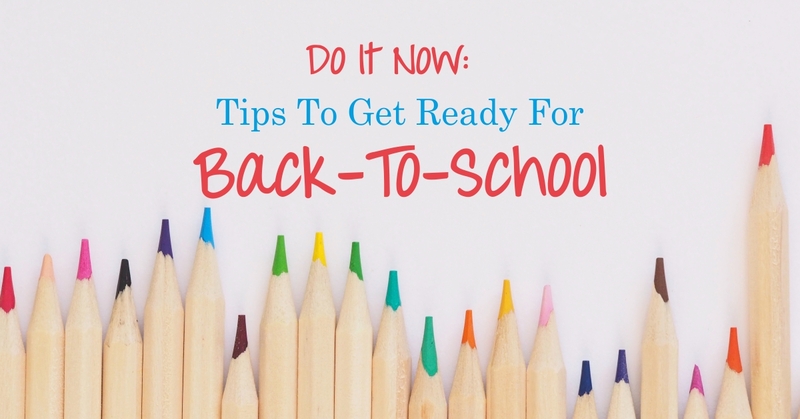 Trying to stay organized, getting your family prepared, and buying school supplies can be tough to manage smoothly! 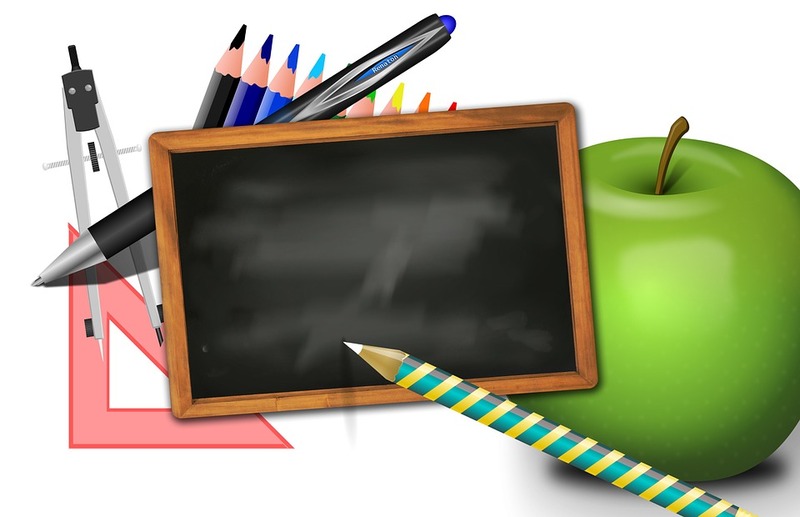 Click here for some back-to-school tips to help you stay on track. We’re nearly halfway through August and the summer is just flying by. But there’s still a lot of hot days and sunshine left. Here’s a list of 40 or so things you should check out before September. 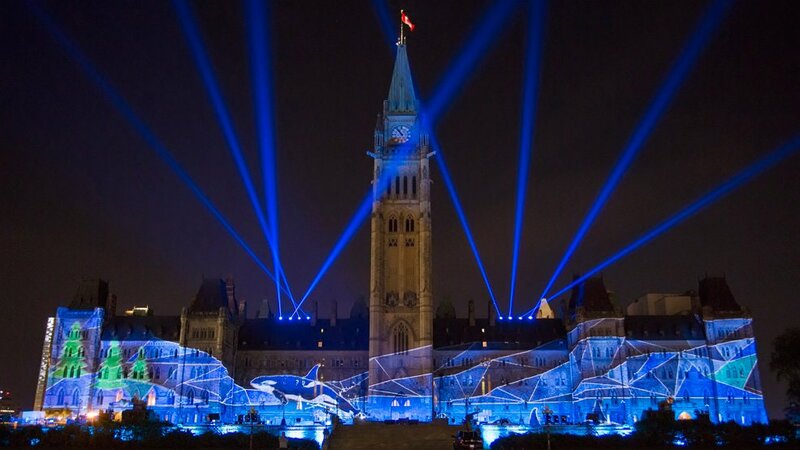 Go see Northern Lights and/or do yoga (Wednesdays at noon) on Parliament Hill. Ride your bike on a parkway during Nokia Sunday Bikedays. Have another beer (maybe for just a buck?) on another patio. Buy fresh food at a local farmers’ market. Take a road trip to Almonte or Merrickville or Perth or Wakefield or even Cornwall. Watch some theatre in a park from A Company of Fools or Odyssey Theatre. Go see Van Gogh Up Close at the National Gallery. Walk around and admire Ottawa’s street art. Go for a stroll on the path along the Rideau Canal. Build a sand castle at a beach or swim in an outdoor pool. Take a photo of a gorgeous sunset. Go to a drive-in movie. There’s one in Gatineau and one near Perth. Go to an outdoor movie like Centretown Movies. Check out Saturday night reggae at Westboro Beach. Go see The Art of the Brick at the Museum of Science and Technology. Walk through the grounds at Rideau Hall. Rent a paddleboat at Dow’s Lake. Take your dog for a run at Lemieux Island. Take a hike in the Greenbelt. Go to a water park; Calypso or Mont Cascades. Check out Armour at the War Museum. See some fireworks at the history museum. Go to a beach in the Gatineaus. Bike down that really steep hill behind Major’s Hill Park. See the birds at the Museum of Nature. Invite your neighbours over for a BBQ. Go to a block party. Learn how they wash the cows at the Agriculture Museum. Ride on a pirate ship on the Rideau Canal. Watch the hot air balloons over Gatineau. If you're looking for something fun to do with family and friends, there's plenty going, so enjoy another busy weekend! From the Casino du Lac-Leamy Sound of Light Fireworks Competition, the Vanleek Hill Fair, and enjoying live bands at the Hopped and Confused Beer, Music and Food Festival - there's something for everyone! 2018-08-13 — Thinking of Selling this Fall? 2018-08-10 — Things To Do this Weekend in Ottawa! Looking for something fun to do this weekend? Ottawa's got you covered! Many fantastic events and festivals will be taking place, such as the 4th Annual West End Food Truck Rally in Bells Corners and visiting Parc Omega with the family to learn about Canadian wildlife. 2018-08-03 — Things to do in Ottawa this Weekend! 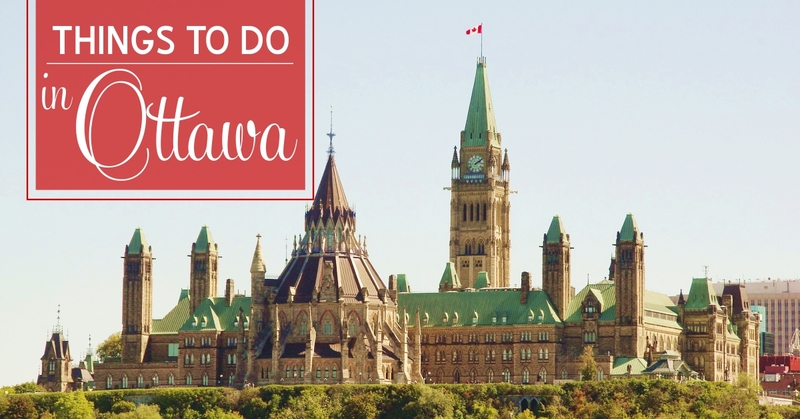 If you're looking for things to do, Ottawa has plenty of exciting events and activities for you and the whole family! 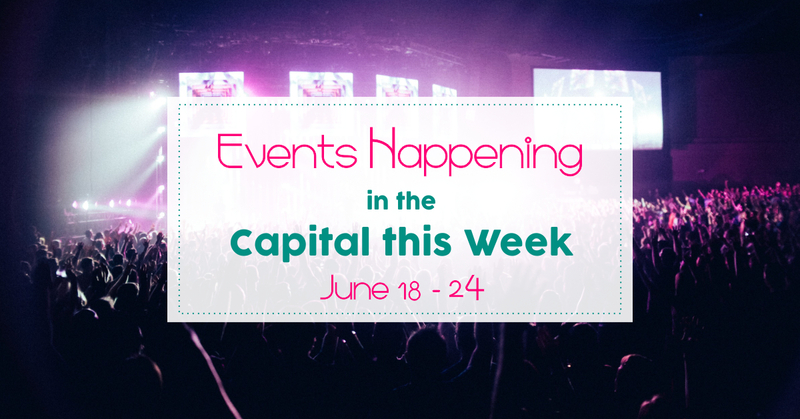 Check out events like the Northern Lights: Sound and Light Show, Capital Ribfest, and Casino du Lac-Leamy Sound of Light. Click here for list of events. Airbnb users are now paying a tax on their nightly rental in Ottawa. Starting today, Airbnb will collect a four per cent “municipal accommodation tax” on all Ottawa listings. 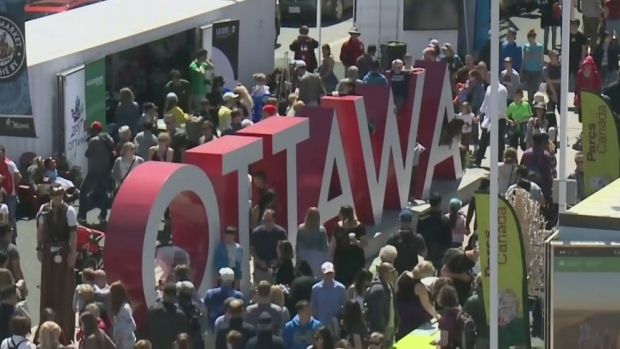 The tax will then be remitted to the City of Ottawa to help support Ottawa tourism. 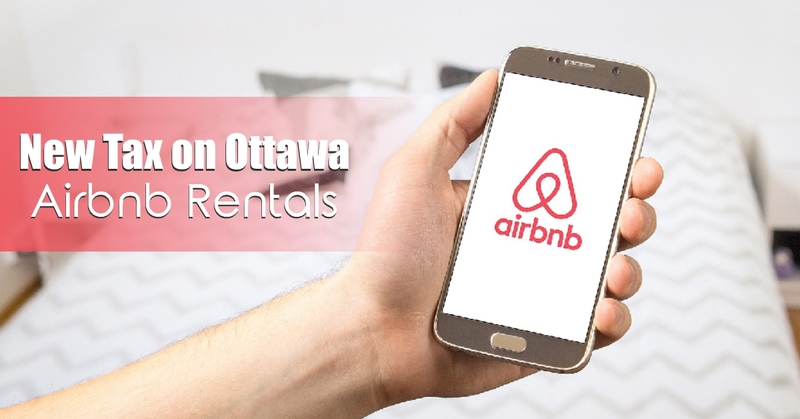 Ottawa was the first Ontario city to enter into a Municipal Accommodation Tax collection agreement with Airbnb. 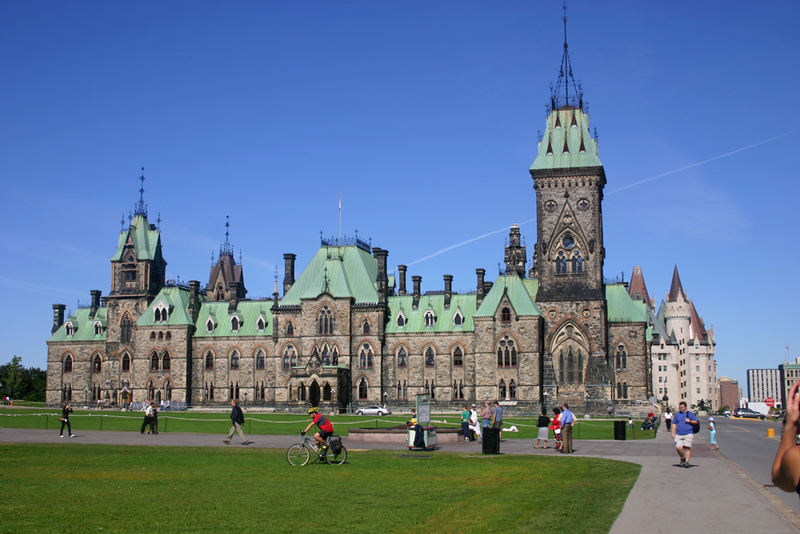 In January, the City of Ottawa imposed a four per cent Municipal Accommodation Tax on hotel rooms in Ottawa. The money is used to support the tourism industry. Airbnb has an agreement with the province of Quebec to collect and remit taxes. Airbnb estimates the city would have received $850,000 if a municipal accommodation tax was in place in 2017. It's the season to host outdoor parties or events, and when it comes to creating a beautiful and cozy space for your guests - it's all about eye-appeal. 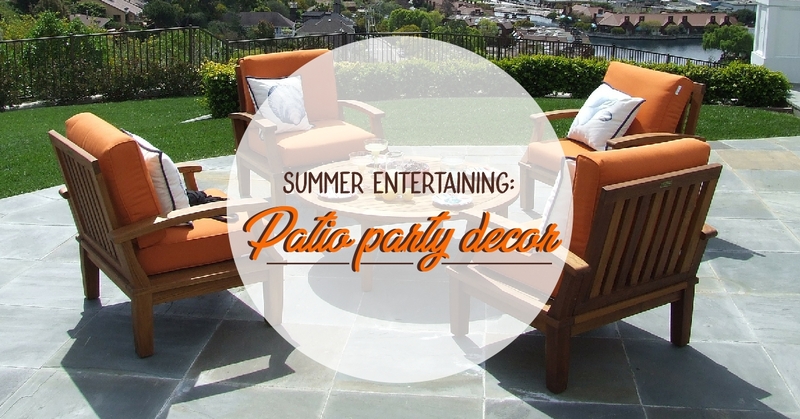 Keeping fresh flowers, playing with patterns, and treating yourself are some of the key must-haves for your patio party. 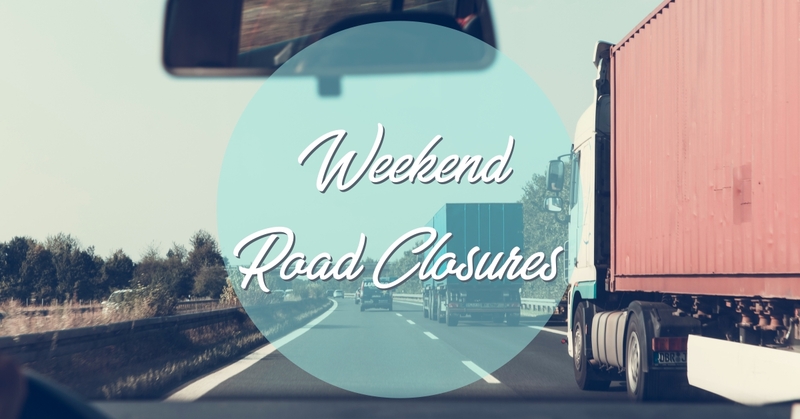 Plan your Queensway trips well in advance this weekend, because Highway 417 will be closed in both directions between Bronson and Carling avenues. Significant traffic impacts are expected during the closure, which is planned to start at 5 p.m. Saturday and end 11 a.m. Sunday. The closure is necessary for the demolition of the Harmer Avenue pedestrian bridge, which is set to be replaced over the next two years. Several eastbound on-ramps will be closed, including those at Carling, Parkdale and Maitland avenues. Some westbound on-ramps will also be closed, including those at O’Connor, Catherine, Rochester and Lyon streets, and Parkdale Avenue. The city has suggested alternate routes for westbound and eastbound drivers during the closure, and is asking motorists to plan all trips well in advance. With all of the thunderstorms in our forecast, here is a good tool for planning. Are you self-employed and looking to buy a home? The CMHC is giving lenders more guidance and flexibility on determining whether a self-employed person qualifies for a mortgage.They are implementing changes in order to make it easier for self-employed individuals to obtain a mortgage, as these Canadians tend to have a more difficult time qualifying. This is due to incomes varying and being less predictable than those with salaries/are employed by a business. If you're looking for something to do this weekend, the city has a plethora of events and activities happening! Whether you're looking for a family event like the Ottawa Lebanese Festival or a great date night activity like the Outdoor Movies in the ByWard Market - there's something for all. Want the full scoop? Click here! It's no exaggeration that this has been an extremely hot summer for Ottawa, and trying to stay cool has been a challenge! Overheating is unpleasant and exhausting, not to mention dangerous for your health, so it's important to find ways to keep cool (especially if you don't have AC or an AC unit in your home). Luckily, there are a few tips you can easily implement in your home that will drastically cool things down! 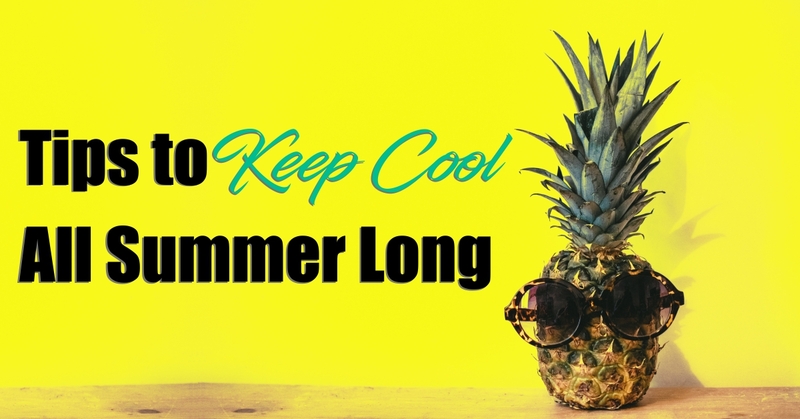 Click here to discover tips to stay cool this summer. Do you have extra space in your home you're not using? Or do you need an additional source of income? 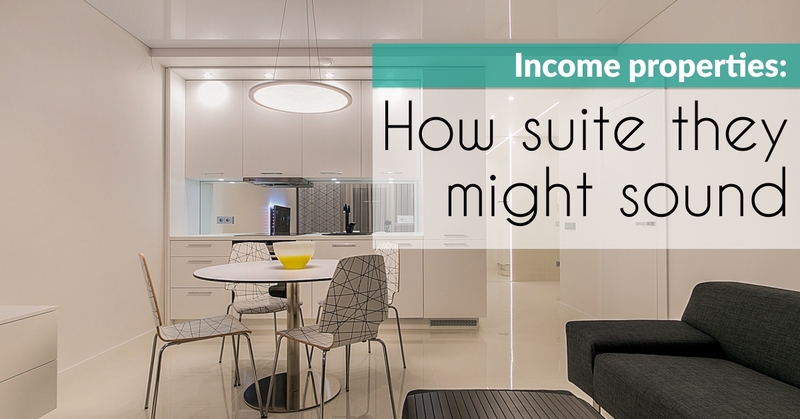 If you've been thinking about turning part of your home into an income suite, there's some factors you should consider! Click here to see the pros and cons of building an extra unit in your home! 2018-07-13 — HOPE Volleyball this Saturday! HOPE Volleyball SummerFest's 36th edition, sponsored by Big Rig Brewery, is this Saturday, July 14th at Mooney's Bay! There's lots of fun to be had by everyone. Watch the exciting games, check out the HOPE Mainstage to listen to the great lineup, all while supporting the community! 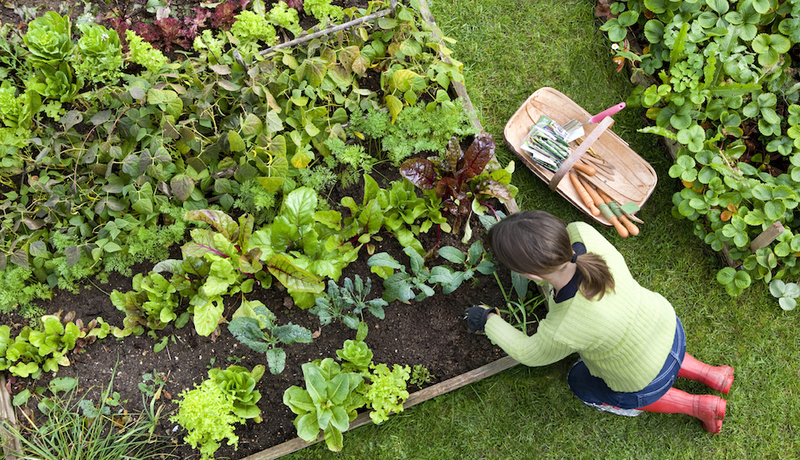 In gardening, whether you’re talking about pest control or fertilization, “organic” generally means natural. The word “organic” refers to “organic matter,” the linchpin of organic gardening and, traditionally at least, all good gardening. “Organic matter” is material derived from what is or was once living. Plants are most hungry for three nutrients — nitrogen, phosphorus and potassium — and organic fertilizers can supply them just as synthetic (chemical) fertilizers can. The three prominent numbers on any fertilizer label indicate the percentages of these three nutrients that the bag contains. In the world of organics, many different sources exist for each of these major nutrients. The richest organic sources of nitrogen are manures, ground-up animal parts (blood meal, feather dust, leather dust) and seed meals (soybean meal, cottonseed meal). Nitrogen concentration in any manure varies not only with the kind of animal, but also with the kind of bedding used, the age of the manure and how it was stored. Rock phosphate is a phosphorus-rich rock that is ground into fine particles that release their phosphorus slowly and over the course of many years. Hence, only infrequent applications are needed — I spread some every 10 years. Colloidal phosphate is especially fine, so releases its phosphorus somewhat more quickly. 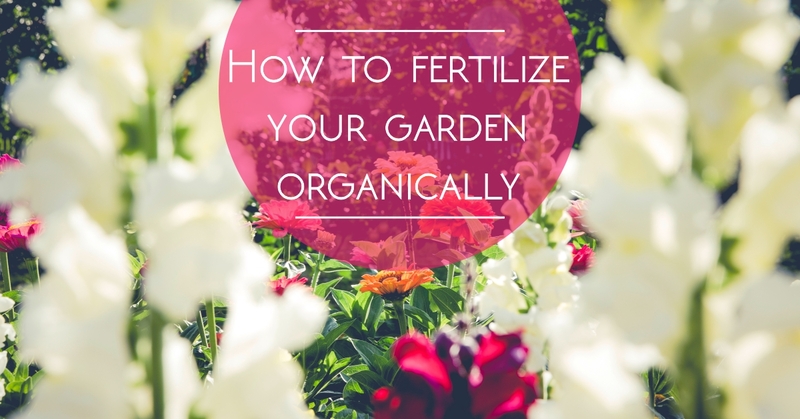 Some commercially available organic fertilizers are blends of one or more individual organic fertilizers, so can offer a balance of all three major nutrients. Particular blends vary in their nutrient concentrations and in how quickly these nutrients are available to plants. For instance, blood meal, bone meal, seaweeds and wood ashes release their nutrients into the soil relatively quickly, while leather dust and pulverized rocks release their nutrients slowly. Read the label carefully if your plants need food quickly. Nonetheless, compost spread over the ground can provide all the nourishment that even the hungriest plants need for a season. All that organic matter that hitchhikes along with the nitrogen has far-reaching benefits, indirectly bolstering biological activity in the soil, and helping it retain air and moisture. The Board cautions that the average sale price can be useful in establishing trends over time but should not be used as an indicator that specific properties have increased or decreased in value. 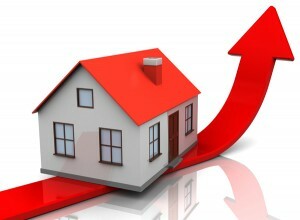 The calculation of the average sale price is based on the total dollar volume of all properties sold. Price and conditions will vary from neighbourhood to neighbourhood. 2018-07-06 — Ready for the 2018 Ottawa Bluesfest? Looking for a fun music festival to attend this summer? 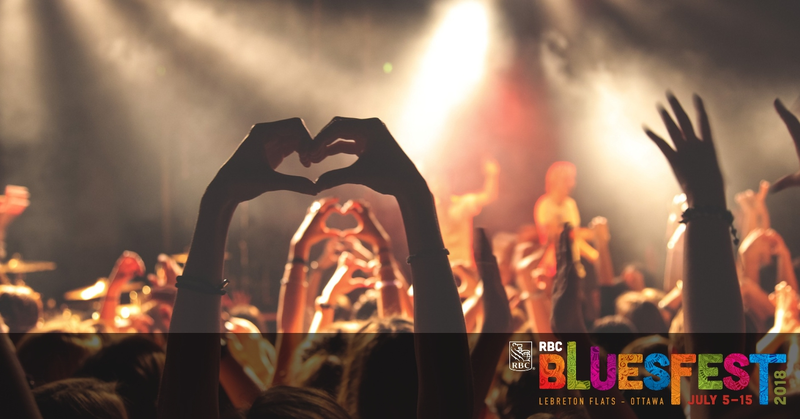 Why not hit up the Ottawa Bluesfest, on until July 15th! See performers like Brett Eldridge, Foo Fighters, Blue Rodeo, Jethro Tull and many more amazing bands. Do you really want to move that lamp you’ve had in the basement since college again? The answer is probably not. 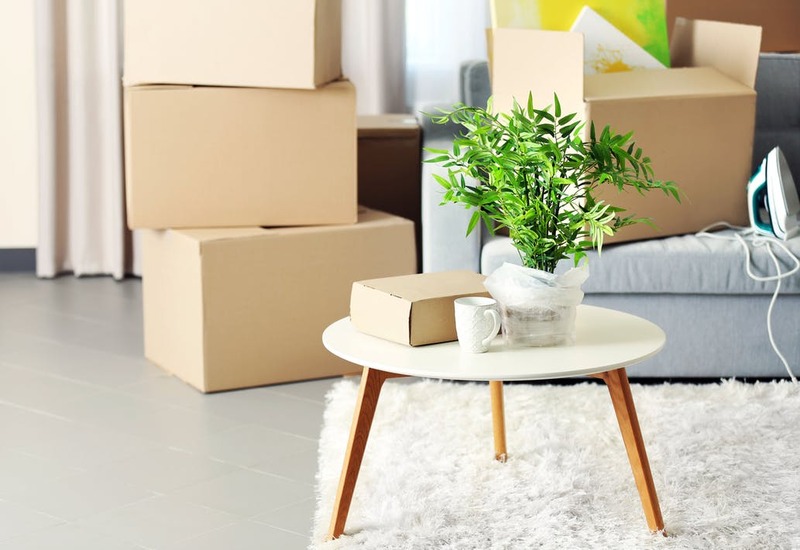 Getting rid of stuff you don’t want or need before you start packing will make your move so much easier (and probably cheaper too!). If you have children, encourage them to go through their books & toys as well, the thought of earning a few dollars is usually a great incentive to purge! Bonus: whatever doesn’t sell is already out an organized making it easier to drop off at a local charity donation bin. 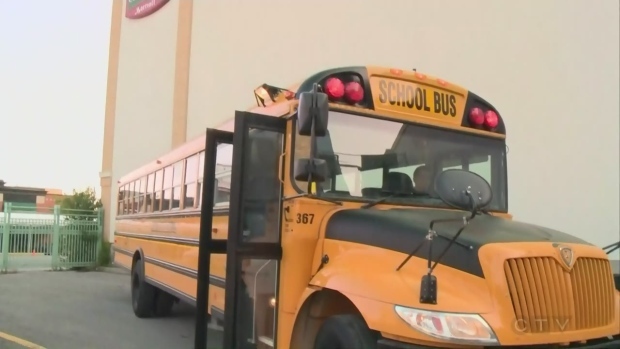 Changing schools in the middle of the year can be disruptive and unsettling for some children. 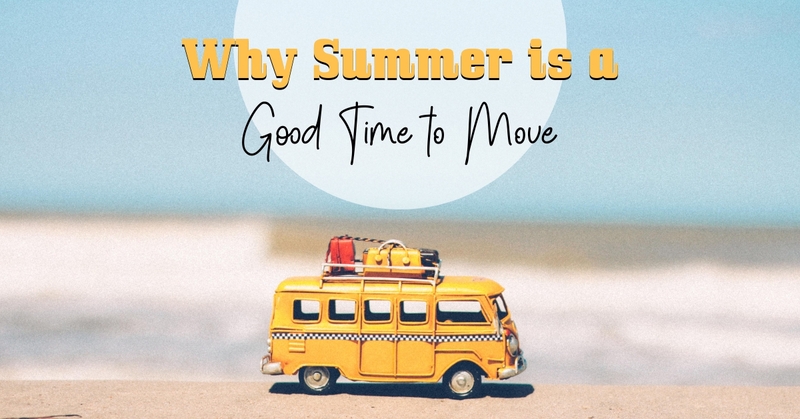 If there’s moving to be done, you should try to move before the new school year starts. If older children are off to college or moving out, this might also be a great opportunity for empty-nesters. 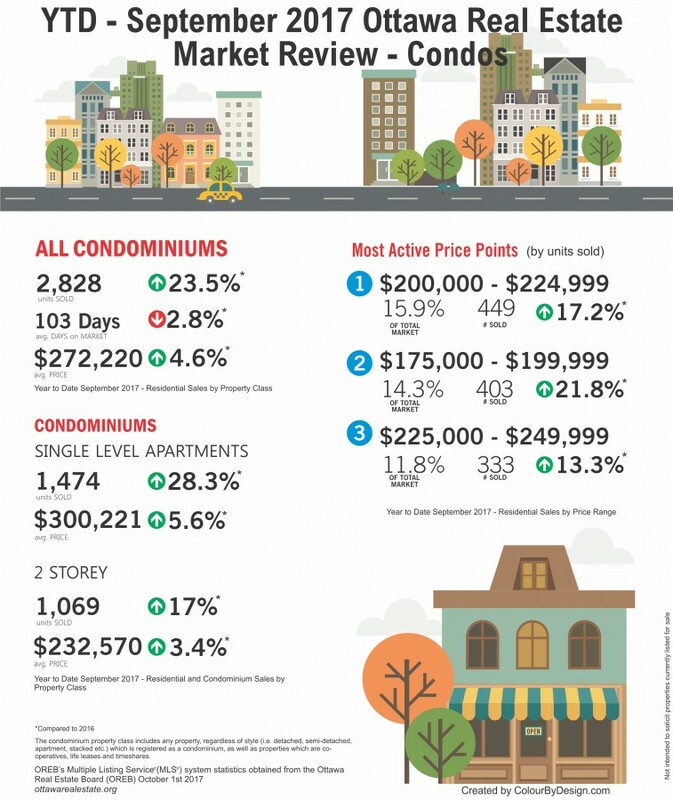 The Ottawa area condo market has been booming in the last year, and there are great deals out there for those looking to downsize. 2018-06-29 — Happy Canada Day Weekend! 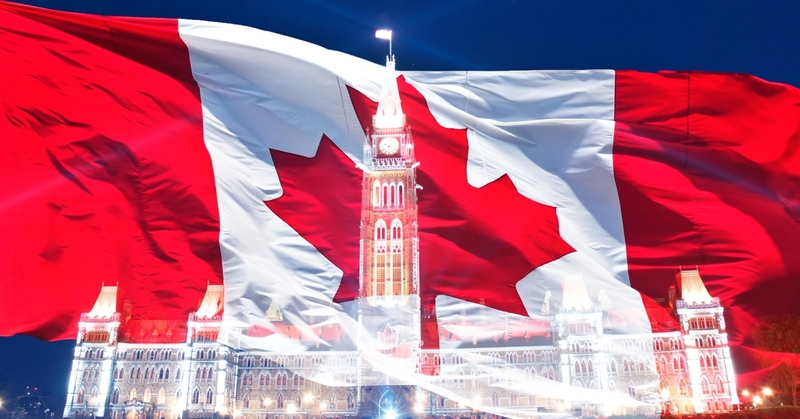 An epic weekend of festivities awaits you as we highlight Canada Day on three official sites! Join us in expressing Canadian pride and a common sense of belonging to such a diverse country on June 30 and July 1. Fun-filled activities and live entertainment will pump up the crowd for sure! 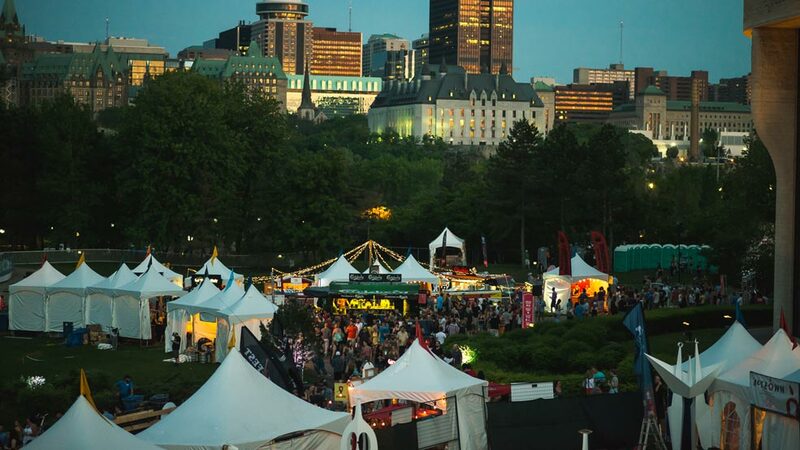 There will be something for everyone to enjoy on Parliament Hill, at the Canadian Museum of History and at Major’s Hill Park. Don’t miss out! 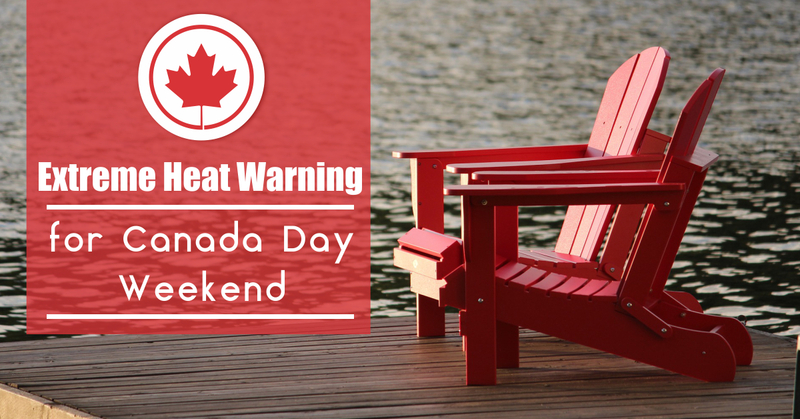 A special Early Notification for Extreme Temperatures has been issued by Environment and Climate Change Canada for the Ottawa area, as very hot temperatures are forecast starting Friday June 29 and for the Canada Day weekend. 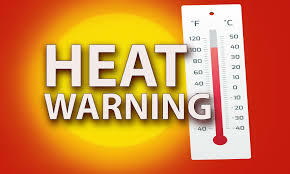 A heat warning is issued when the temperature is expected to exceed 31°C during the daytime and the nighttime temperature will not be cooler than 20°C or a humidex of 40 C is forecast for two consecutive days. Drink plenty of fluids throughout the day, preferably water and limit or avoid caffeine and alcohol. 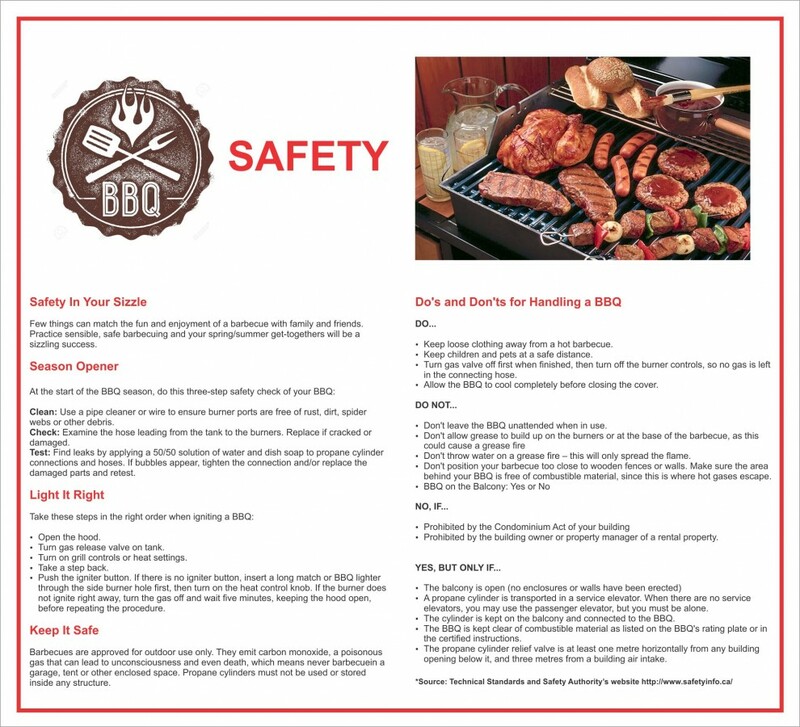 Be cautious if engaging in Canada Day events and avoid strenuous physical activity outdoors. Limit or avoid direct exposure to the sun and wear a sunscreen with SPF 30 or higher, a wide-brimmed hat, sunglasses and SPF lip balm. Dress in light and loose fitting clothing. Look for shade or a cool shelter in an air-conditioned location such as a shopping mall, local library or community centre. 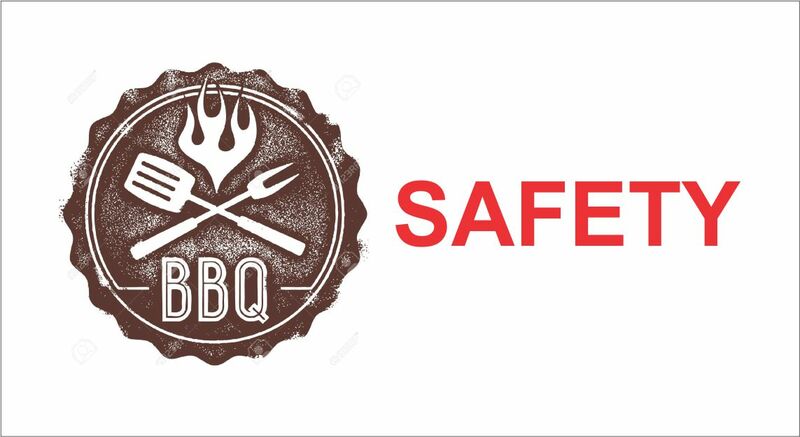 If taking part in Canada Day celebrations, especially where large crowds are expected, please limit your exposure by planning where to seek shelter from the heat. Never leave children, the elderly or pets unattended in a car, even with the windows open. Take frequent cool showers or baths. 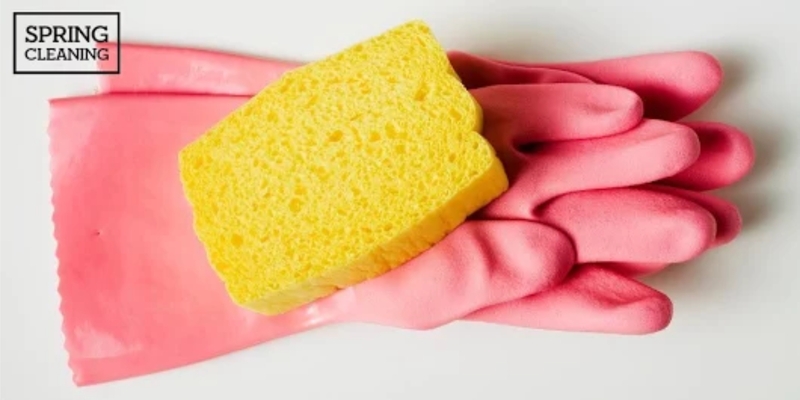 If you cannot shower or bath easily, sponge often with cool wet towels. Focus on cooling the back of the neck, under the arms and groin area. Soak feet and hands in a basin of cool water. Stay connected with people in your community who have a difficult time coping with hot weather and those who live alone and check on them regularly. 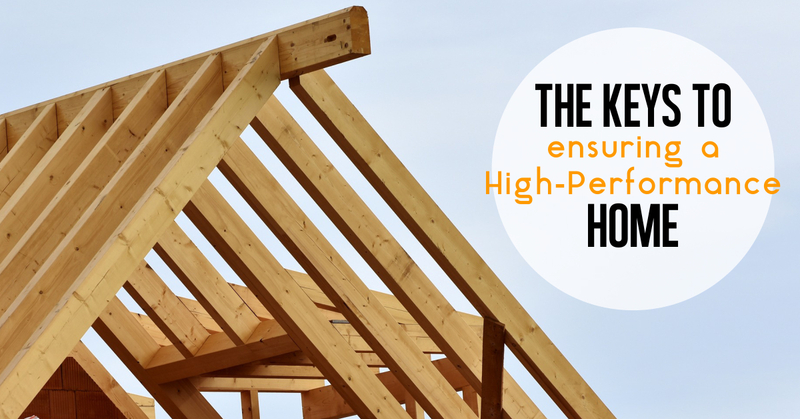 A high performance home isn’t just energy efficient. It provides a healthier environment for you and your family. Turn your attention to durability, value and health. But how is this done? When the home is built to be air tight, you need a method of cycling in fresh outdoor air, while exhausting the warm, moist air generated in your home by living in it (especially in kitchens and bathrooms). Enter the Heat Recovery Ventilator (HRV) which adjusts the temperature of the outdoor air to match your home, while expelling the moist indoor air. 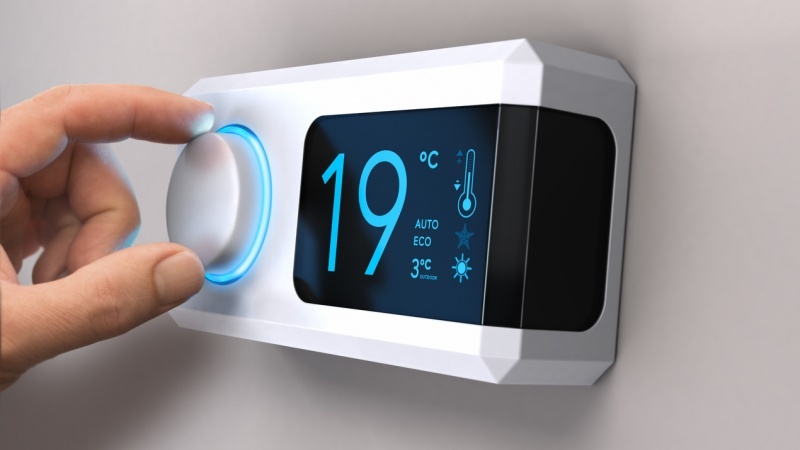 An HRV doesn’t perform the function of a furnace or air conditioning — its job is to constantly provide good quality air to your home. 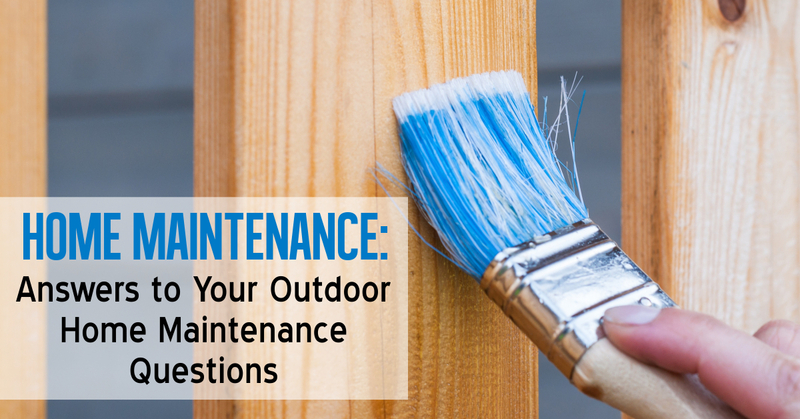 If you're looking to do some general maintenance on your fences and windows, it's best to get started in a way that will set you up for success! Click here for useful answers and tips for your maintenance questions. Looking for fun events and activities to attend with family and friends to kick off the summer season? 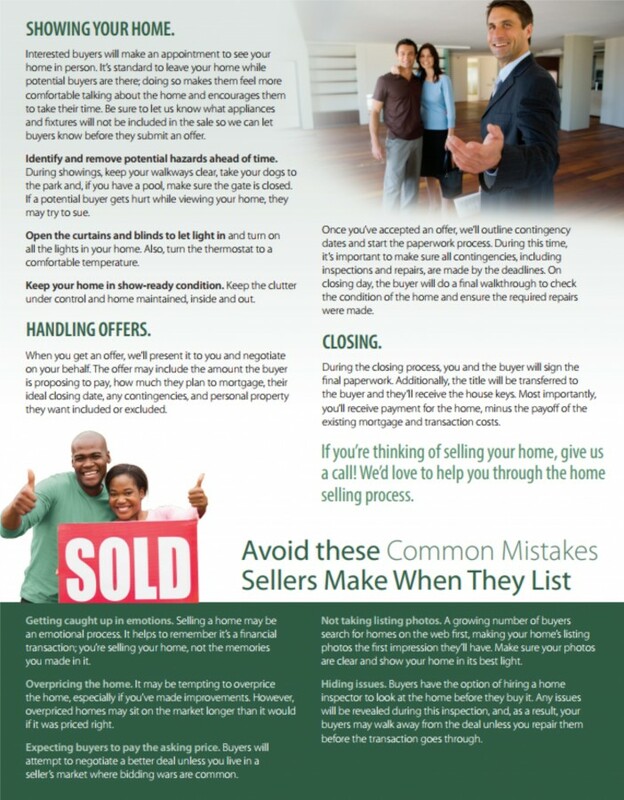 If you're selling your home there are several steps that should be taken care of before holding an open house. What is important is giving your potential buyers a home that they would want to live in, and can see themselves in. With that in mind, there are a few important factors to keep in mind, such as: making repairs, deep-cleaning your home, and making your home more efficient (i.e. heating & cooling). 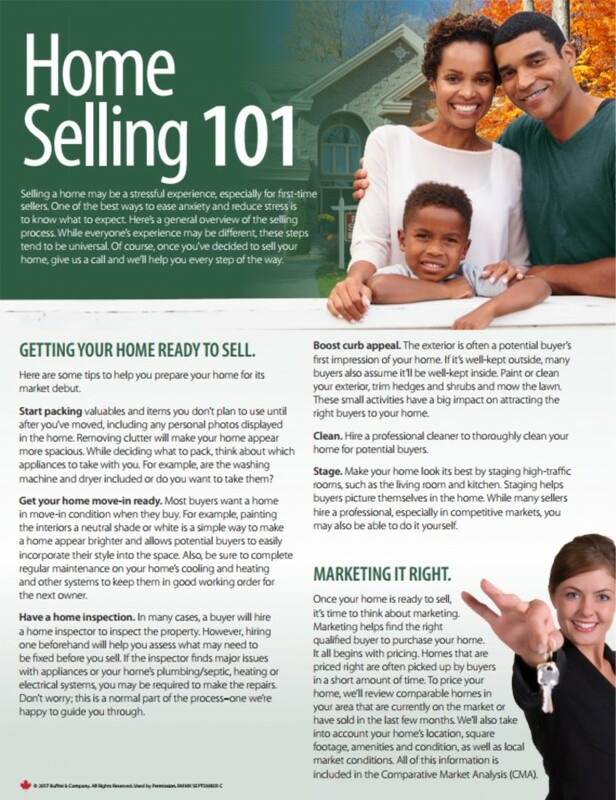 Click here to discover the necessary steps you should take when selling your home. 2018-06-15 — This Weekend We Celebrate Dads! 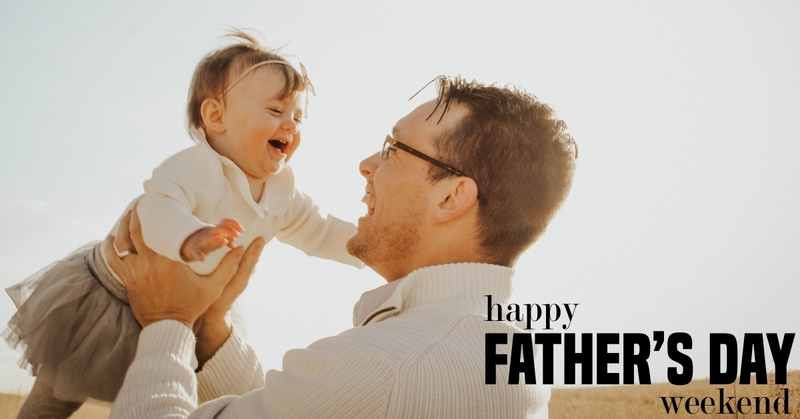 Have a great Father's Day Weekend! How will you be celebrating dad? If you're looking for ideas, check out what's happening in the city here. 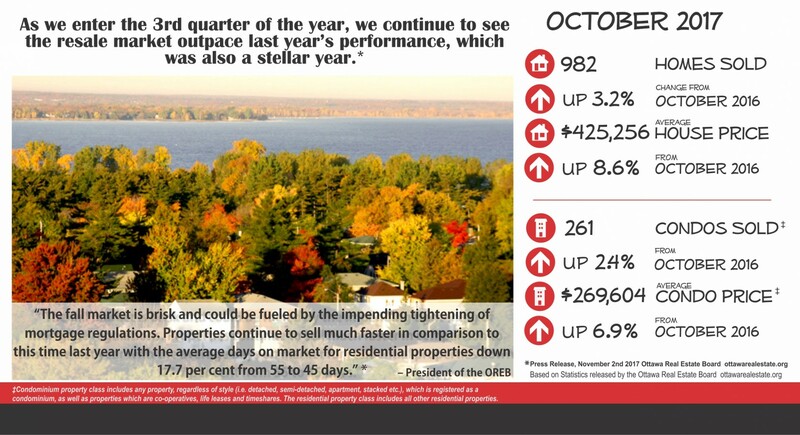 The following are highlights from the Ottawa Real Estate Board’s latest News Release read the full story. 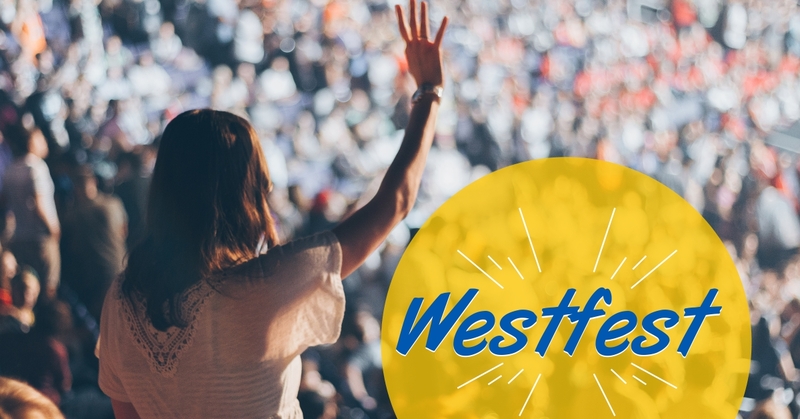 2018-06-08 — This Weekend is Westfest! Ottawa's favourite FREE music and arts festival is June 8th - 10th with over 30 acts and over 100 Canadian artists. An exciting experience that will delight those that attend with beautiful and inspiring art, and phenomenal music performances. Head on over this weekend to support the development and work of Canadian artists! 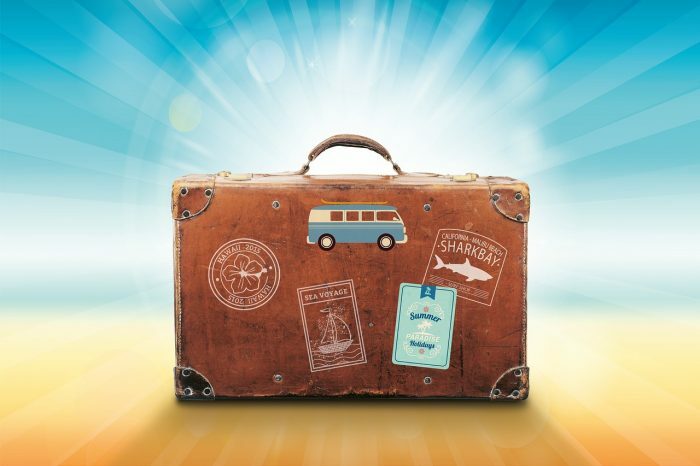 With summer fast approaching, you may be planning some much needed vacation time. We prepare for vacations by doing things like making lists of what to pack and making sure we have the proper travel documents. But have you thought about the security of your home while you’re away? Vacation-proof your home before you leave town to give you peace of mind and to ensure that your home is secure while you’re not there. Who doesn't love a great Farmer's Market? 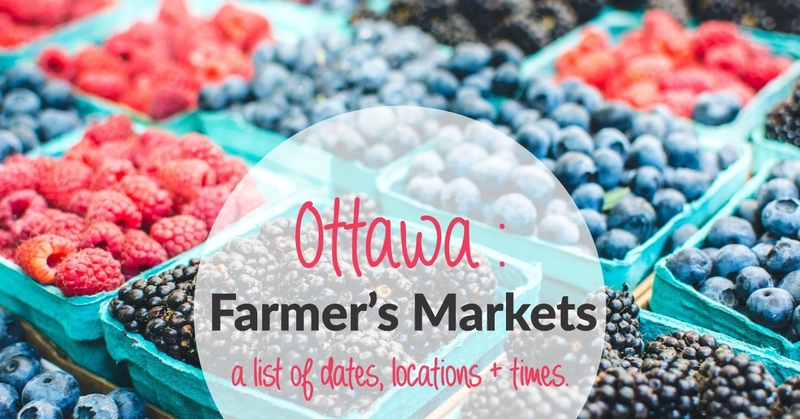 Fresh fruit, veggies and baked goods can be found in abundance all over Ottawa. From our urban markets, to rural and even Gatineau, there's one close by! Click here for the list of Farmer's Markets. 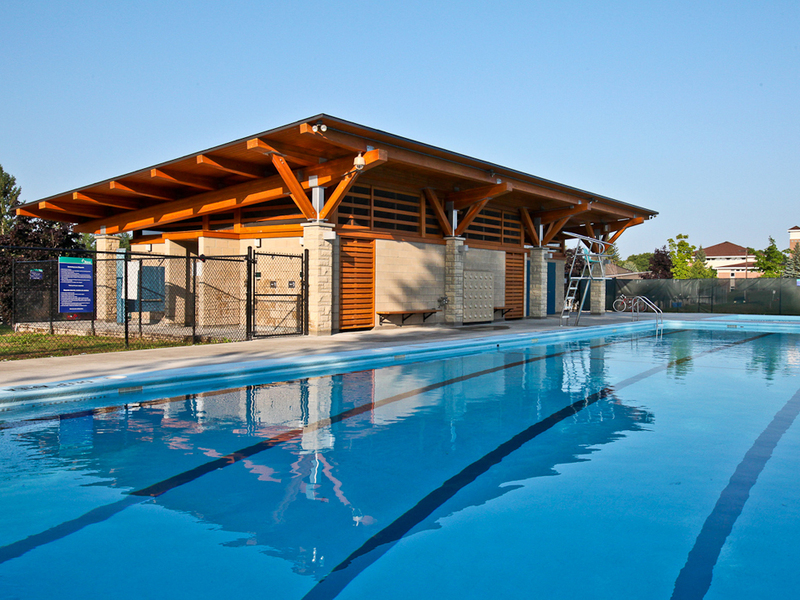 With summer just around the corner, it's time to get your pool ready, if you haven't yet! From opening your pool for the season to monthly pool maintenance, you're covered with this checklist. 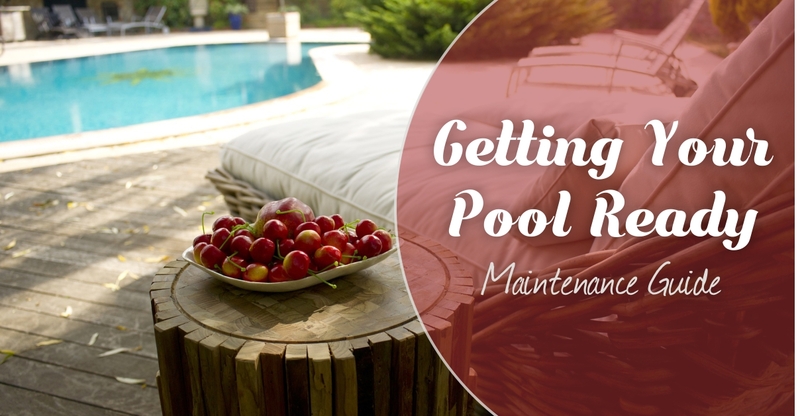 Click here for the Pool Maintenance Guide. 2018-05-25 — Annual Great Glebe Garage Sale is Happening Tomorrow! Saturday, May 26 from 8:00 Am - 3:00 PM the Annual Great Glebe Garage Sale will take place. People from across Ottawa (and further) come to the event to enjoy the bargains, great finds and atmosphere. 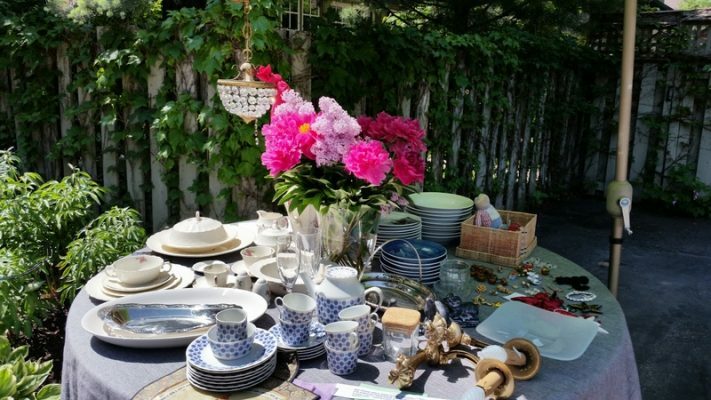 Click here to for more information on the Annual Great Glebe Garage Sale! 2018-05-18 — Things to do in Ottawa this long weekend! Looking for something fun to do this weekend? 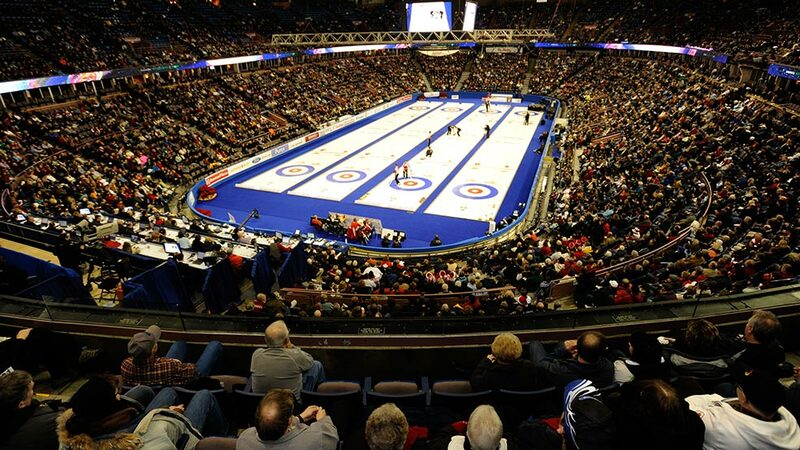 Ottawa has a host of events and activities for you to choose from. With something for everyone, you're sure to have fun! Click here to discover what's happening in the capital. If your home needs electrical work it's best to call on a professional to get things done. Inspecting and preforming wiring on your own can be quite dangerous. 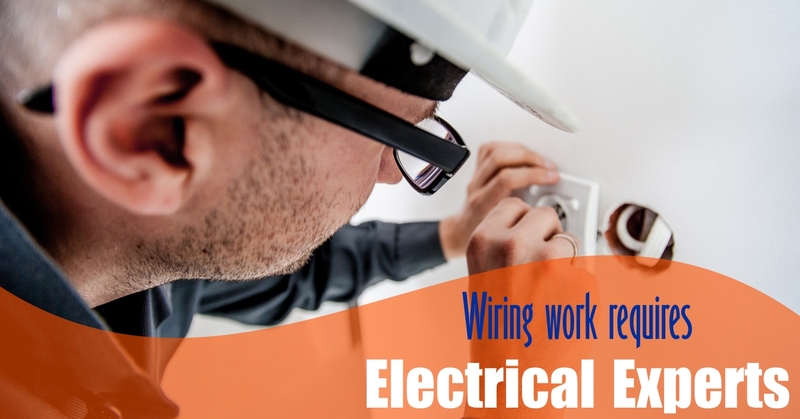 Though bringing in a licensed electrician comes with a bit of a price tag, it will give you peace of mind regarding the safety of you and your home. The days for spending time on the deck are finally upon us here in Ottawa! 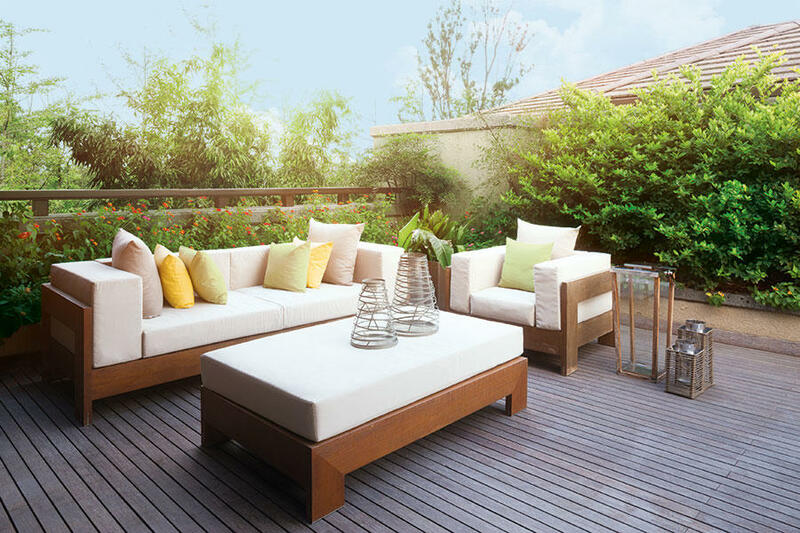 If you're looking for great design and layout ideas to make your backyard your own personal sanctuary, Lowe's has great concepts that will suit your needs. Mother’s Day is this Sunday, May 13th and there’s lots to do in the Capital to celebrate how great Mom is! 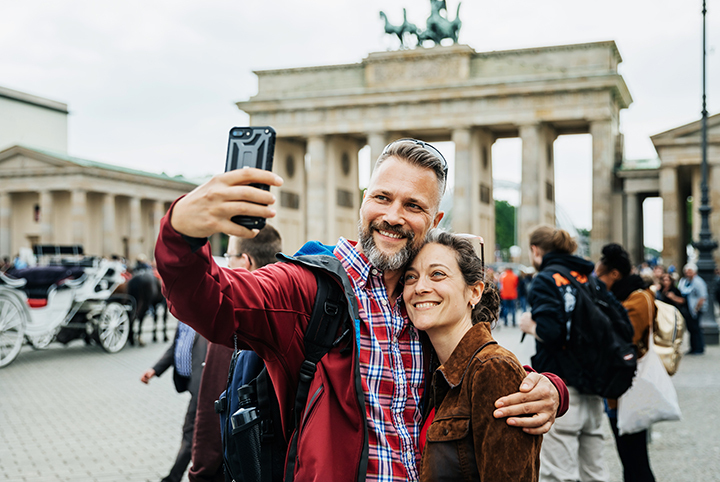 Take her to the Tulip Festival for beautiful sights or to the the House of Targ for arcade games and brunch – whatever Mom likes, there’s something happening in the city that she’ll love. 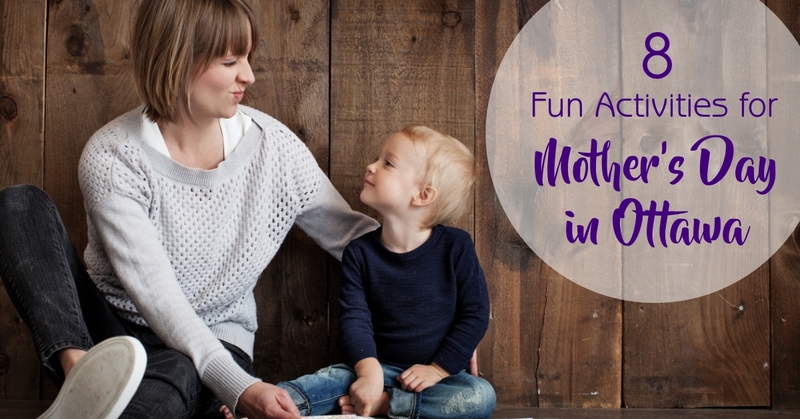 Click here for 8 fun ideas for Mother’s Day in the Capital. When you are planning on purchasing a home, one of the most important things to have done is a home inspection. Many buyers don't think it's necessary, or is too expensive. But, having a thorough walk-through of the property will help pin point problems early on and save you money down the road. 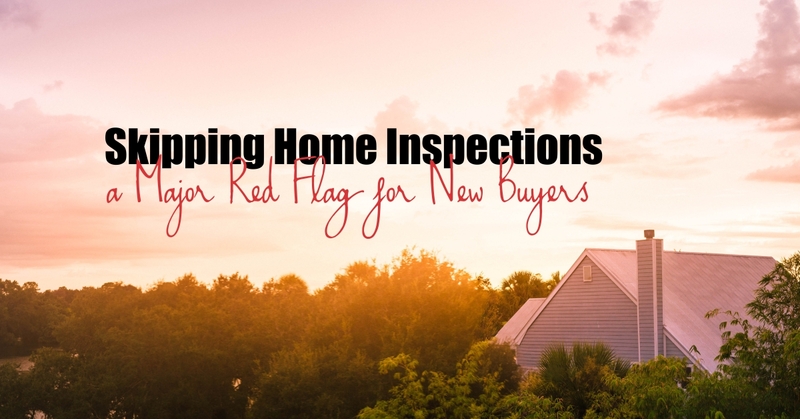 A home inspection will look beyond the cosmetics of the home and take a serious look at the home's systems (HVAC, wiring, plumbing) and structural aspects, like the roof. 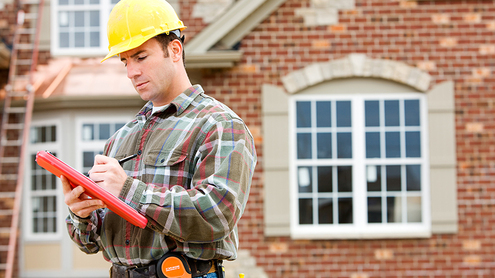 Click here for more information on why you need a Home Inspection. Looking for something fun to do this weekend? There's plenty of family friendly activities, live music, sports and more! 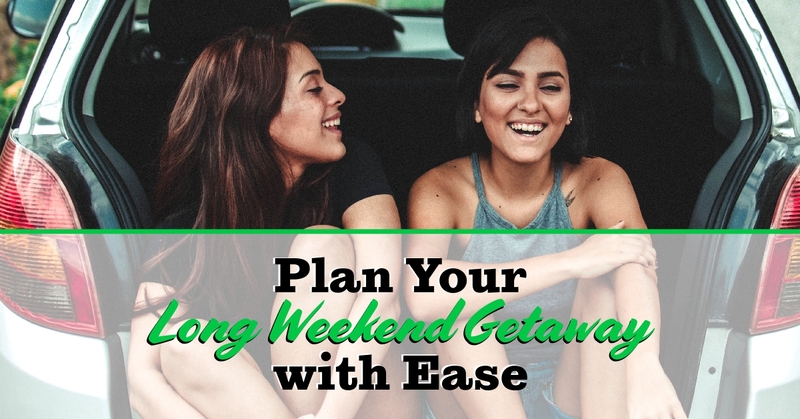 Click here to plan your weekend. 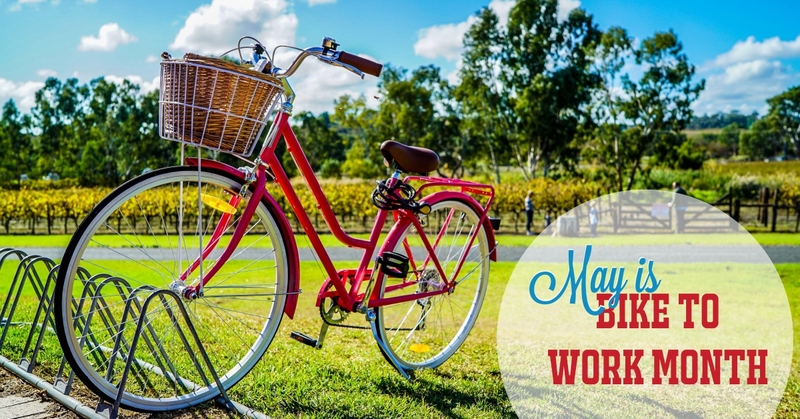 May is Bike to Work Month in Ottawa, create a healthier and happier commute to work. Sign up and track your bike commutes to work for a chance to win prizes! Continued demand and shortage of listings intensifies pressure on Ottawa home prices. The aggregate price of a home in Ottawa saw a healthy increase in the first quarter of 2018, rising 4.7 per cent year-over-year to $437,243, according to the Royal LePage House Price Survey released April 13th. 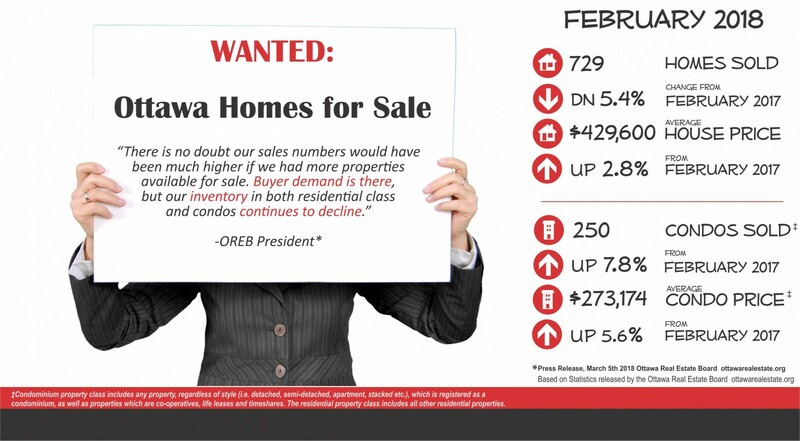 Click here for more information on the Ottawa Real Estate Market. Don't give up the battle for your garden. 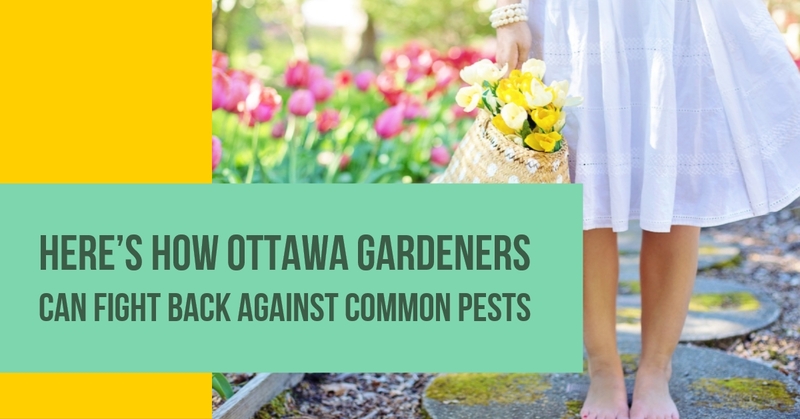 If you're looking for a way to protect your plants against common pests with homemade and commercial solutions that will fight off the offending intruders. Click here for pest solutions. Renovations can be expensive, that's why finding inexpensive ways to add your design stamp to your home is key. Though there are areas in your home that you shouldn't pinch pennies (like electrical work and plumbing), there are some projects you can find innovative work-arounds that look expensive. 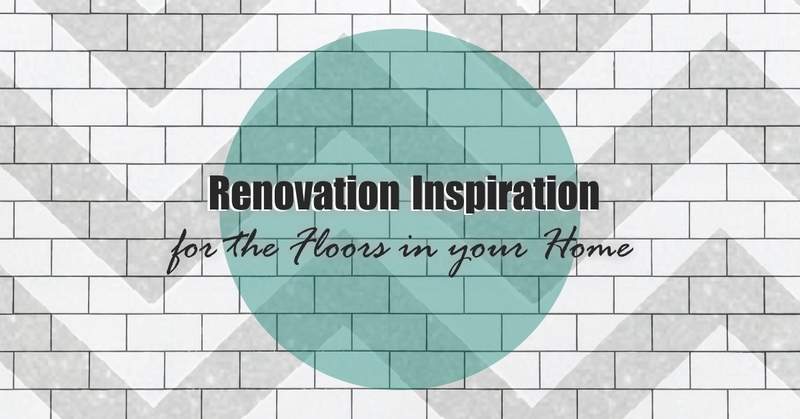 Click here for inexpensive renovation inspiration! Spring is finally here and that means there's some work to be done to the interior and exterior of your home! Making sure your roof, windows, chimney, foundation and walls are in good condition and haven't been damaged during the winter season is very important. Click here for Spring Home Maintenance tips. This Saturday, you should check out 613Flea! It is a non-for-profit eclectic marketplace where you can find vintage, handmade goods from over 100 different vendors. 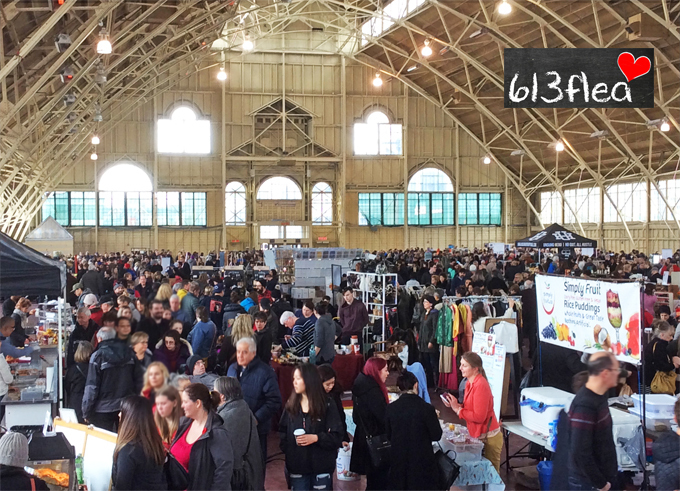 Click here for 613Flea information! 2018-04-18 — Ottawa PoutineFest Starts this Thursday! Looking for something fun (and delicious) to do this week? 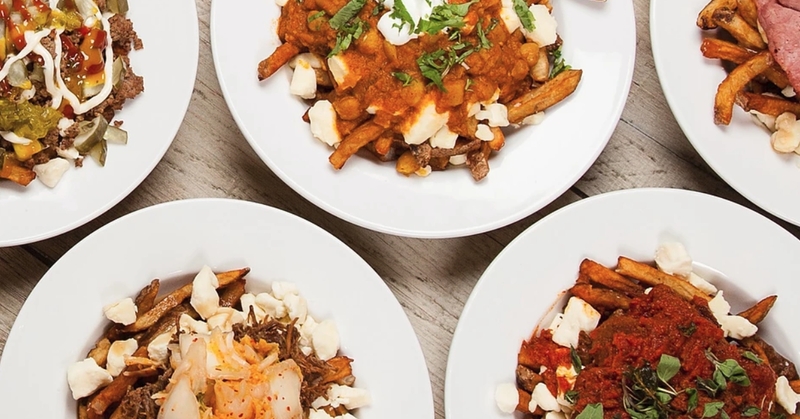 The Ottawa PoutineFest starts Thursday, April 19th and goes until Sunday, April 22nd at Ottawa City Hall. 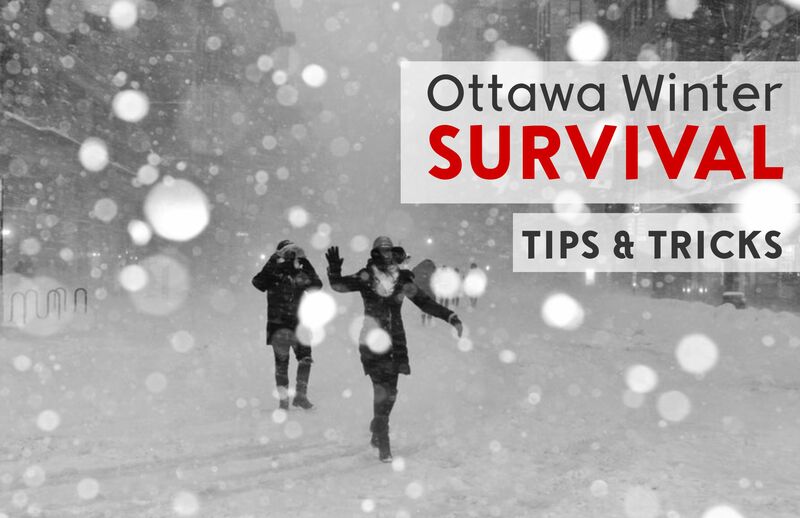 As winter refuses to leave Ottawa, and pelt us with a big ice storm/freezing rain, it has left many without power due to several Hydro poles down in areas across the city. 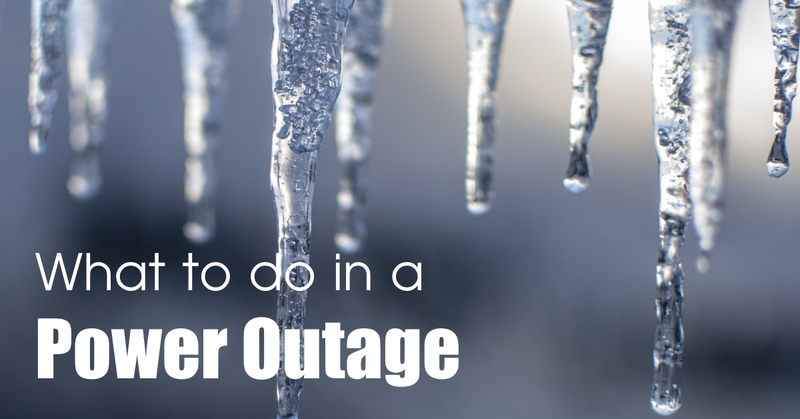 Click here for more information on what to do before, during, and after a power outage. 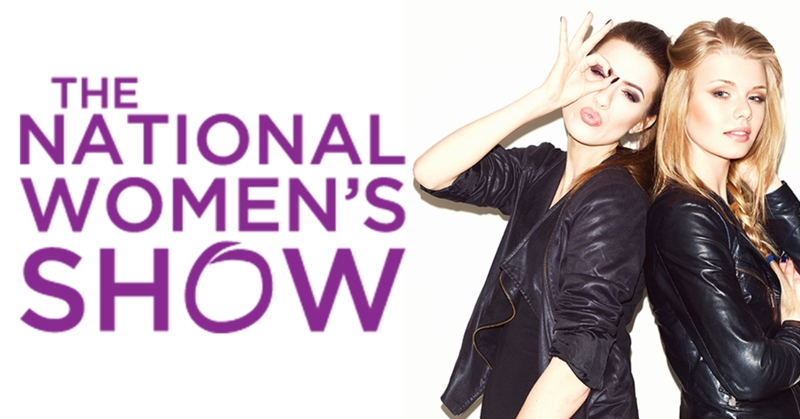 With over 200 exhibitors and 20,000 attendees, the National Women's Show is sure to be the ultimate girl's day out! Enjoy the fun features of the event, such as food and wine sampling, celebrity guests, complimentary makeovers, and travel inspiration. 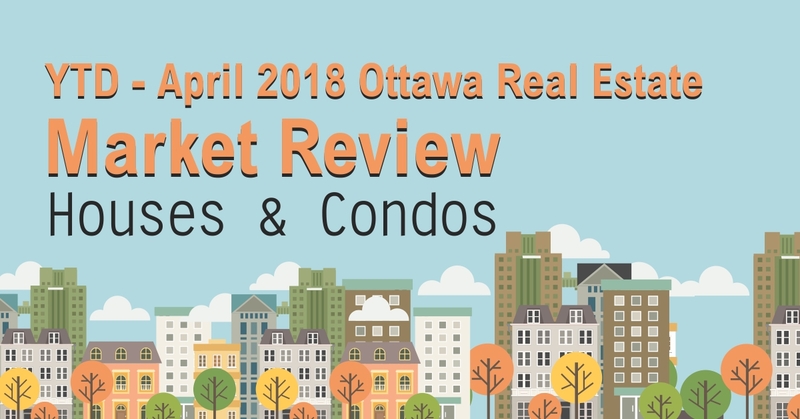 Ottawa’s residential real estate roared back to life in March with a double-digit increase in sales and an eight-per-cent increase in average house prices, according to the Ottawa Real Estate Board. “Properties that are priced well are selling quickly,” said OREB president Ralph Shaw in a statement, adding that homes are spending an average of 43 days on the market, down from 54 days in March 2017. 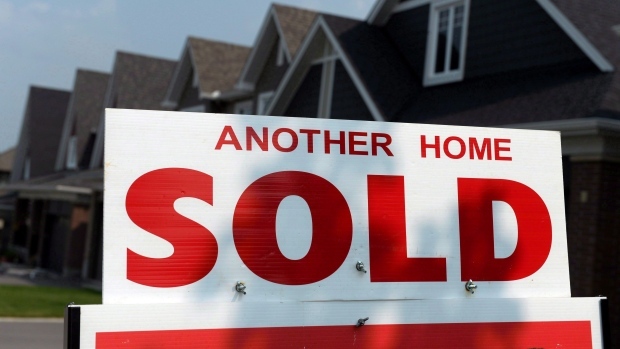 Ottawa realtors sold 1,660 residential properties last month, up 12.3 per cent from the 1,478 sold during the same period a year earlier, according to OREB figures. 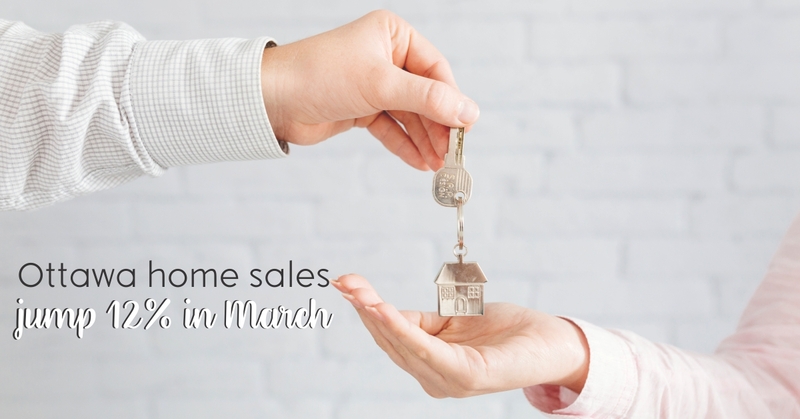 Sales have now increased on a year-over-year basis in 20 of the last 21 months, with the only decline recorded in February 2018. The average resale price, meanwhile, increased eight per cent year-over-year to $447,561. Lower interest rates on loans and credit cards. Lenders consider people with great credit a good risk, meaning they’re confident the borrower will pay back the money. 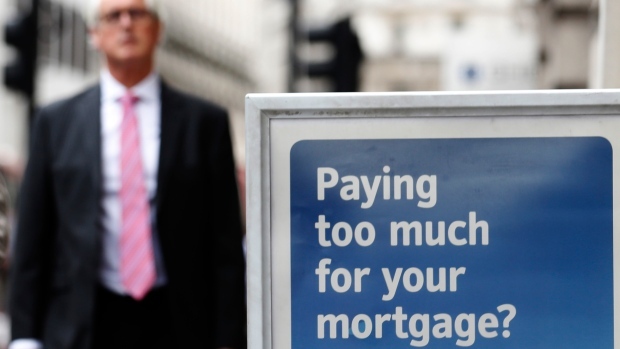 If you’re applying for a mortgage, good credit may get you a wider range of mortgage offers. One or two percentage points in interest may save you tens of thousands of dollars over the life of the loan. Leverage to negotiate lower credit card interest rates. The higher your score, the more bargaining power you may have when negotiating interest rates. Why? Your credit card company does not want to lose your business and they will often lower your finance rate. You need to ask! Additionally, you may be able to cite other offers you’ve received from companies based on your score, which may help you negotiate a better deal and save money. Qualify for lines of credit. If you need to make a large purchase, such as new appliances or furniture, good credit helps you qualify for a line of credit to buy them. Qualify for higher limits. Since you have a strong history of repaying your debt on time, banks may be willing to lend you more money and, if asked, will often increase your credit limit. Rental approval. If you’re renting a home or apartment, a good credit score increases your chances of securing your ideal location. Landlords use credit scores to screen their tenants’ payment history, delinquencies and charge offs. This is also true if you’re renting a vacation home. Many agencies will run a credit check and, if your credit is good, you may be able to negotiate fees and lower rates. Gain employment. Many employers are checking the credit of their applicants. 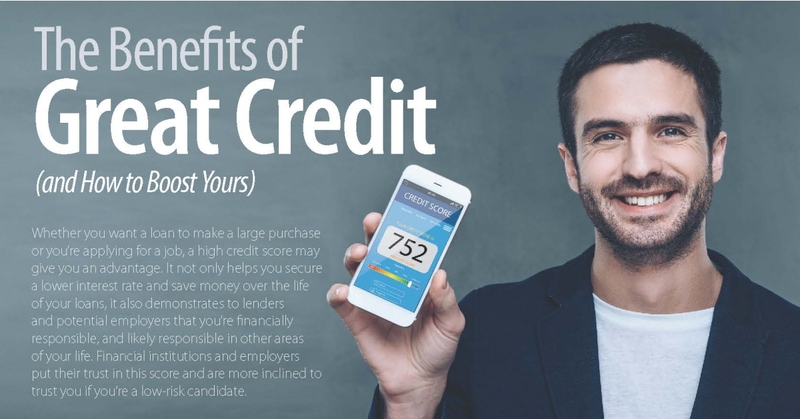 If you have good credit, you are seen as more responsible than applicants with lower credit scores. Avoid security deposits. 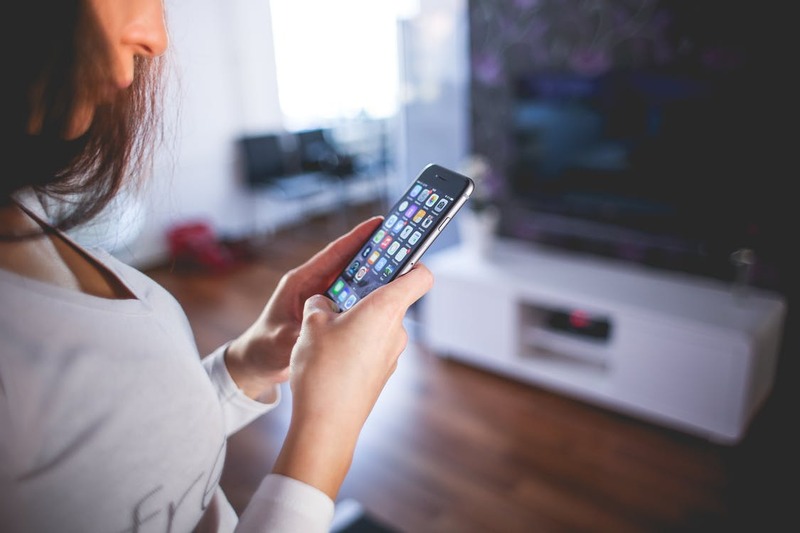 Utilities and cell phone providers often require a security deposit when you sign up for service. With good credit, you may not have to pay a deposit when you sign up for service or, in the case of utilities, transfer to another location. Check your credit report. You’re entitled to a free credit report from both credit agencies—Equifax Canada and TransUnion Canada— if you request it by mail. Be sure to save both reports and review thoroughly. If you notice any inaccurate information, report it immediately to the credit agency. If you're looking to freshen up your home and give it some new life in 2018, look to bright colours and lots of white, bold design choices, and natural textured accents. 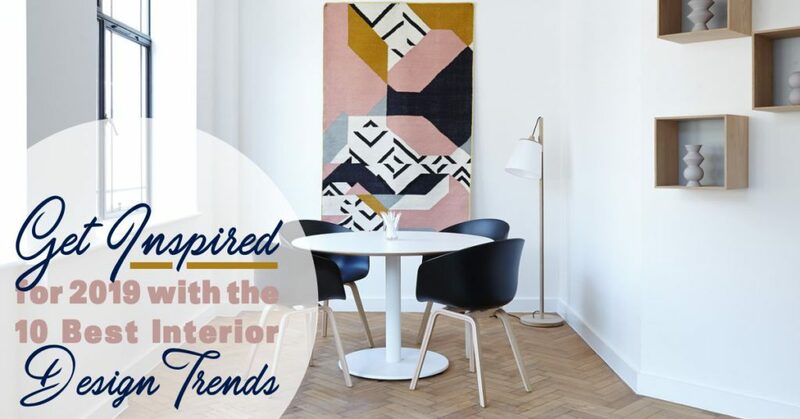 Many design trends this year are mixing simplicity with bold design elements, and maintaining a modern, but earthy feel. Looking to create a relaxing oasis in your home? What better way to unwind than making a calming sanctuary out of your bathroom. 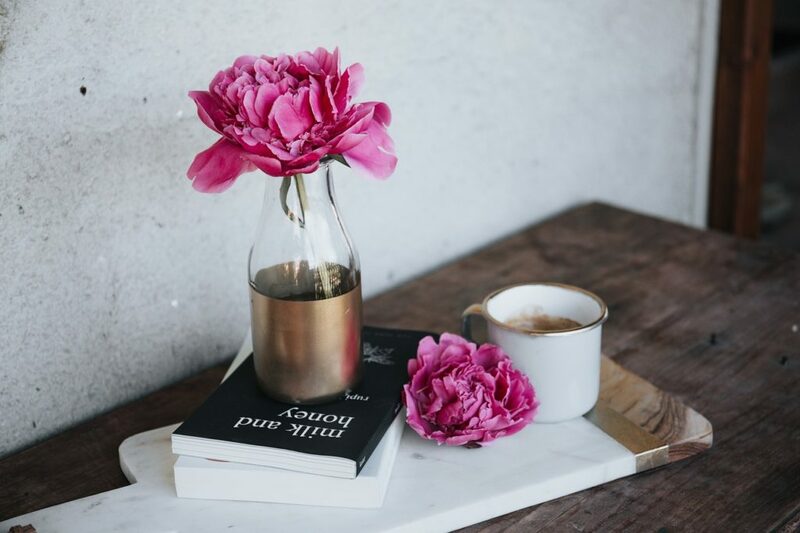 Giving yourself simple luxuries can help decrease stress and provide you with a relaxing escape from the hustle and bustle of the day-to-day. 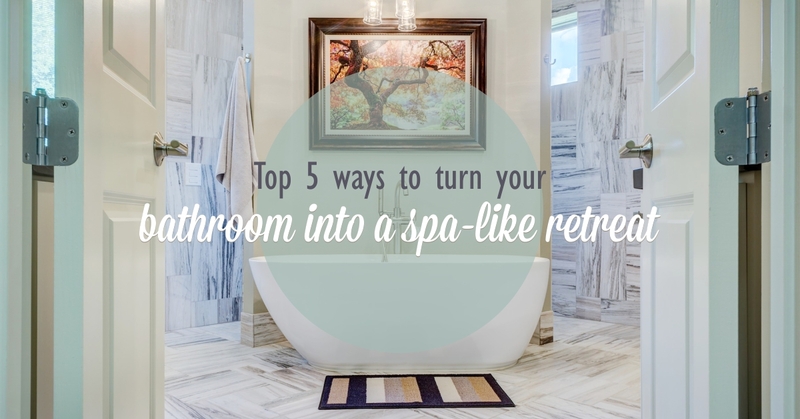 Click here to see the top 5 ways to turn your bathroom into a luxurious spa-like sanctuary. 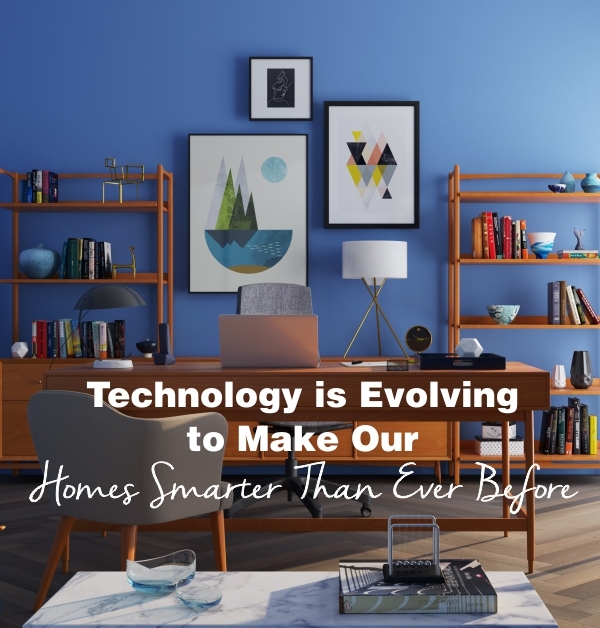 Click here to see what's new in the world of smart home technology. 2018-03-26 — Spring is here, bring on the Mudroom! Though the people of Ottawa are thrilled to see the beginnings of a sleepy Spring take place (and the snow melt), they are less thrilled with the mess it brings into their homes. A well-designed mudroom can help limit the slushy, muddy mess and keep your home cleaner and fresher. 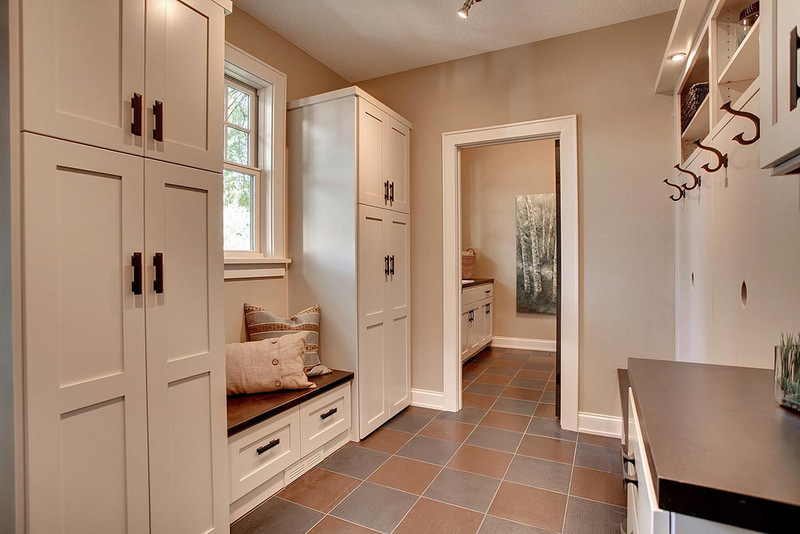 Click here for tips on creating a high-functioning mudroom. It may be officially Spring, but it's still fairly cold. You don't have to wait for it to warm up, or even have the backyard space, to get started on your garden - you can start inside! 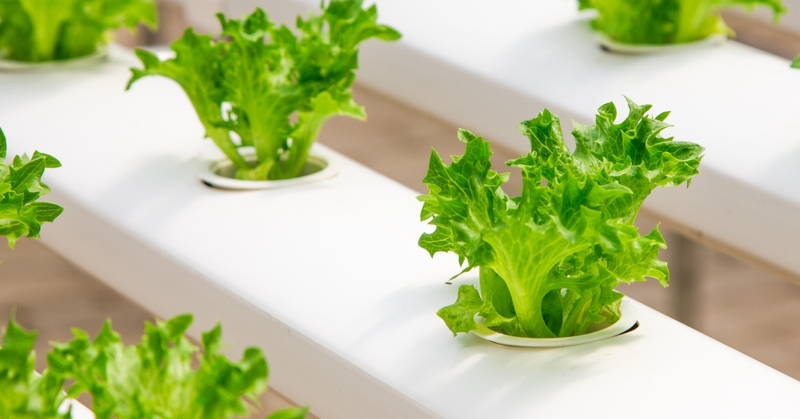 A great solution to the temperature and space issues, or lacking a green thumb, is starting an indoor Hydroponic Garden. Not only will what you grow be available to you year round and accelerate plant growth, but you don't need any soil. 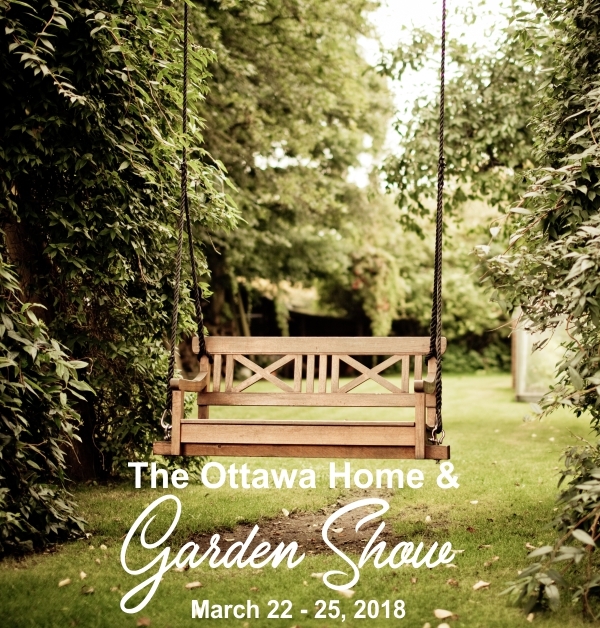 Spring is on its way, and what better way to get ready than to go to the Ottawa Home and Garden show this Thursday, March 22nd - March 25th at the EY Centre. 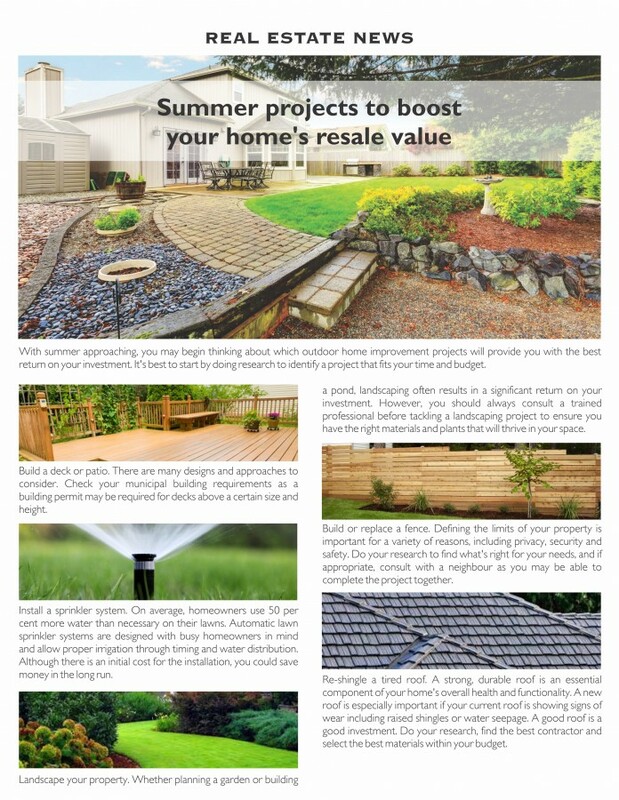 Get great ideas on how to get your home and yard ready for the new season. Even though it doesn't feel (or look) like Spring, the first official day of the new season is tomorrow! Help maintain your home and get it ready for the warmer weather by completing some of the indoor upkeep. 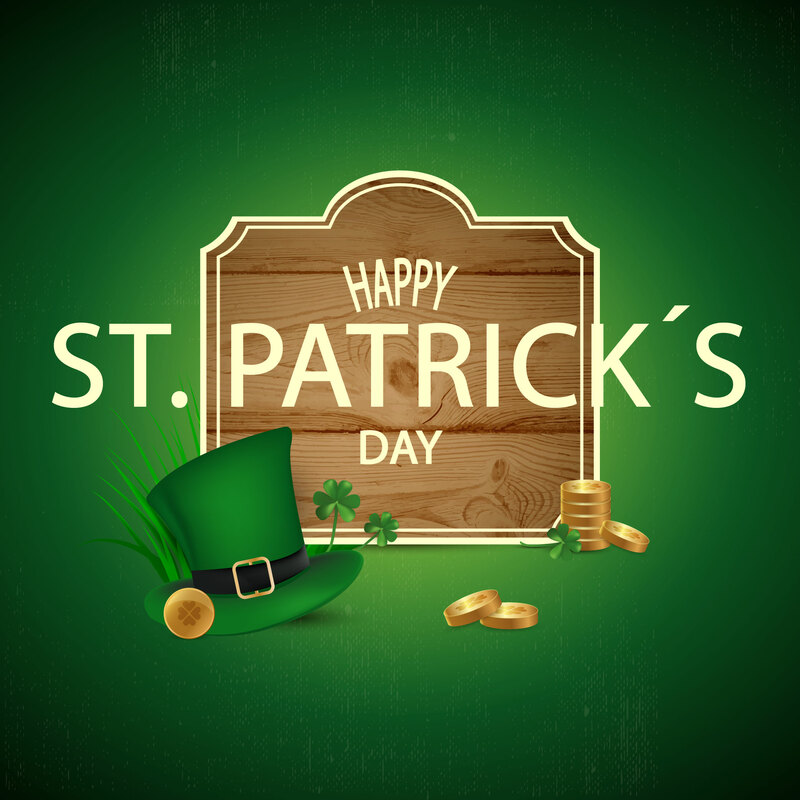 2018-03-16 — Tomorrow is St. Patrick's Day! 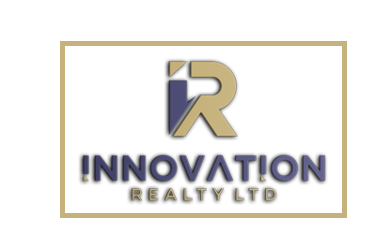 2018-03-14 — Thinking of selling your home? With low inventory and high buyer demand, now is the time! It's that time of year where people are thinking about renovations and freshening up their home. Renovating your house can be a long and time consuming project, but to help you stay on track with your reno goals, there's a few questions you need to ask yourself first. 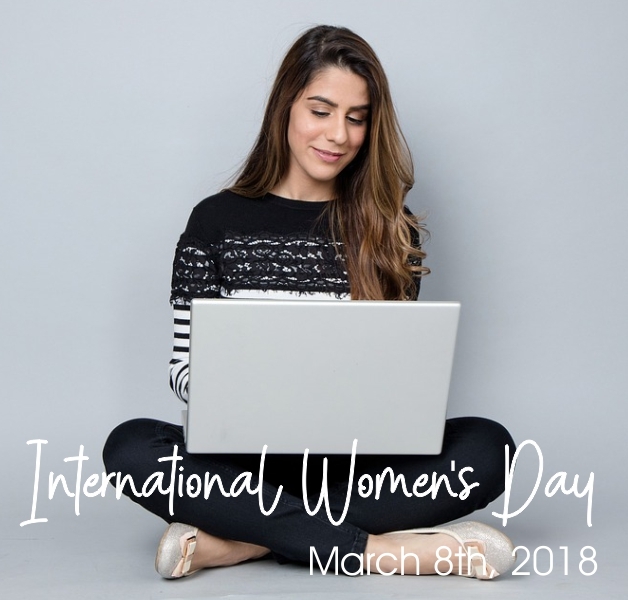 2018-03-05 — Celebrate International Women's Day with Canada's top women in business! March 8th 2018 is International Women's Day. Come celebrate the contributions of women to business and the economy with Canada's top women in business. Listen to great guest speakers, network and learn how to we can all work together to advance gender equality in business. Looking for something fun to do to kick off the first weekend in March? 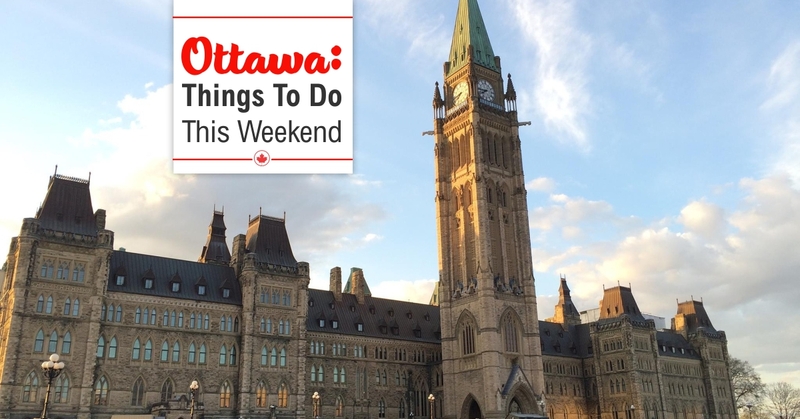 Ottawa has lots of fun activities, live music, sports and events for the whole family this weekend. Enjoy Disney on Ice Dare to Dream with the kids, a night of live music with your friends, or a sugar rush from the Maple Fest - there's something for everyone! 2018-02-28 — Looking to Buy? Spring into the Spring with a New home + Neighbourhood. The promise of warmer weather is upon us, and it's the perfect time to be looking for a new home. The best way to decide if an area is right for you is to explore it! 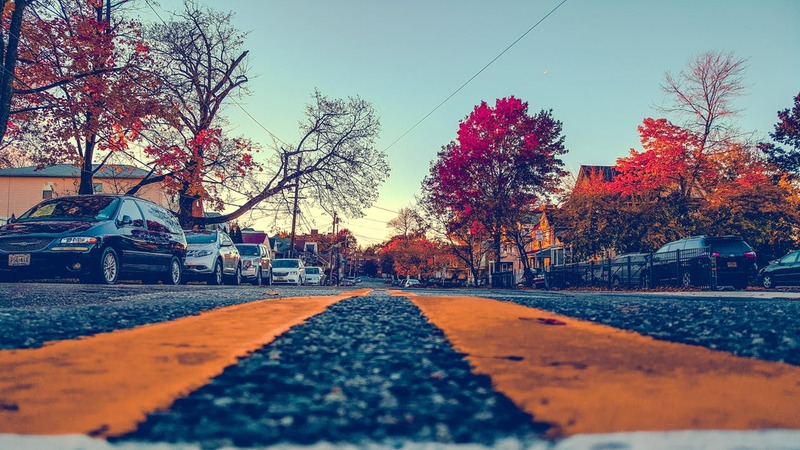 Whether you're looking for an area with the best schools, emergency services, within walking distance to museums, or has plenty of parks - Ottawa In My Neighbourhood is a great place to narrow down your search. Click here to explore your next neighbourhood. 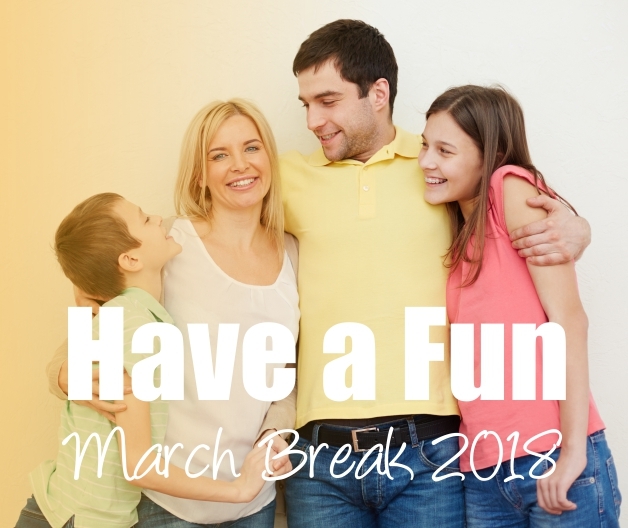 March break is just around the corner, but luckily there's many events to keep you and your children occupied! 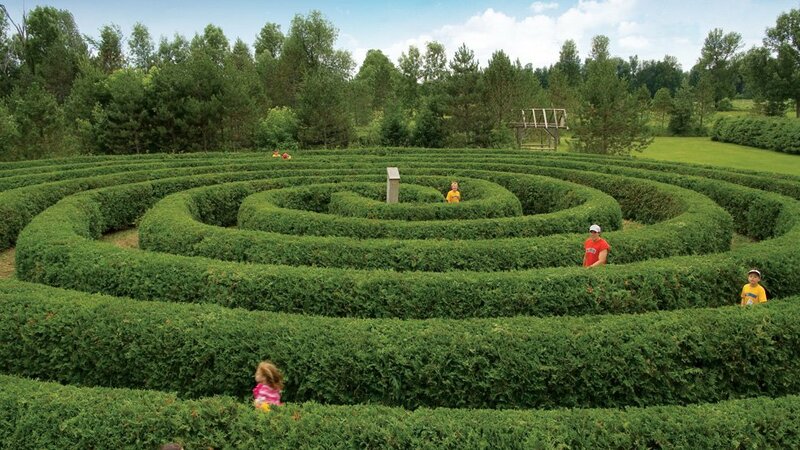 There's several fun activities taking place, some during both the Ontario and Quebec March Breaks, like the Funhaven Family Centre, Camp Fortune, Escape Rooms and more. Click here to plan your next March Break Family Adventure. 2018-02-23 — Skating and horses and nature! Oh My! Lots to do this weekend! 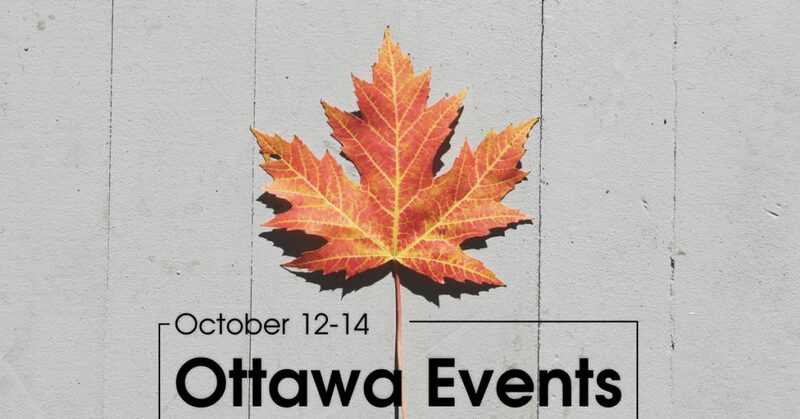 Check out the great activities happening in Ottawa! Here is a list of activities happening in and around Ottawa this weekend, beginning February 22, 2018. With the warmer weather and rain that we've been having, an awful lot of snow has been melting. 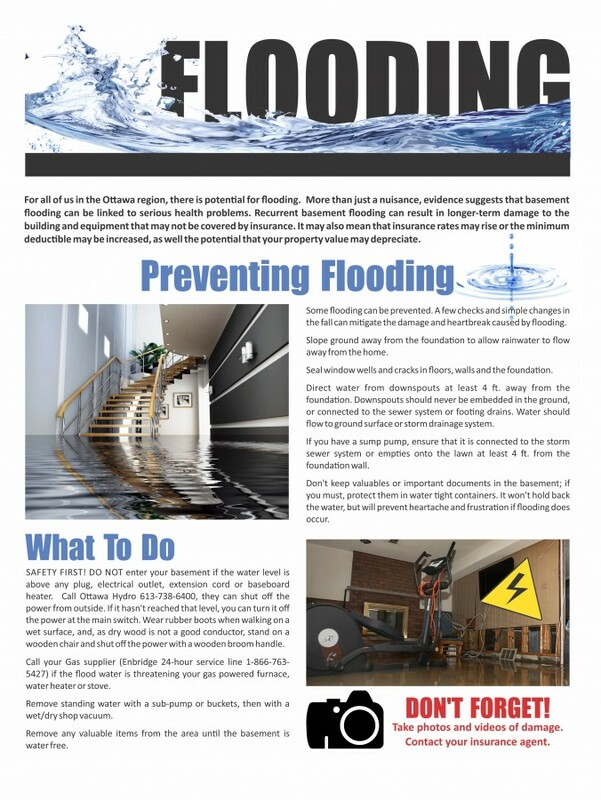 This can lead to flooding and other damages to your property, which can be very expensive to fix. Instead, focus on preventative measures to ensure that your home won't become damaged, instead of spending money to fix it after the fact. 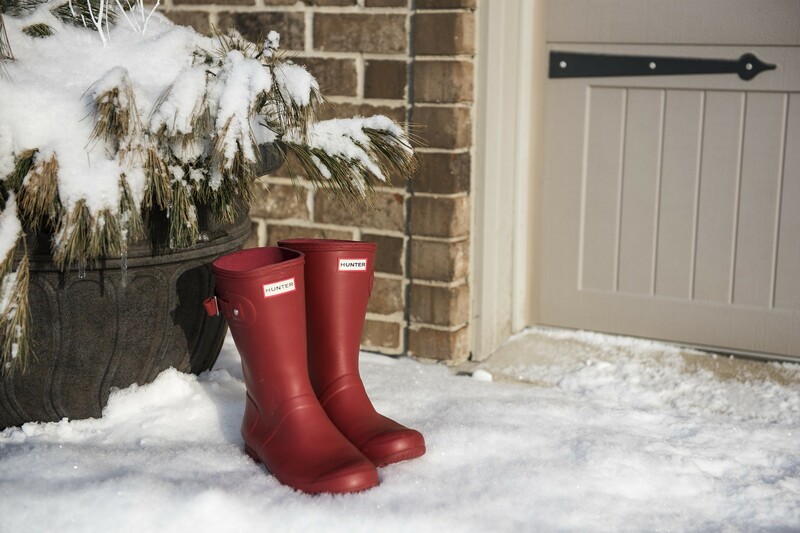 Click here to learn how to prevent flooding from the melting snow. 2018-02-20 — Now is a good time to get your home on the market before spring. 2018-02-16 — Have a great Family Day Long Weekend! 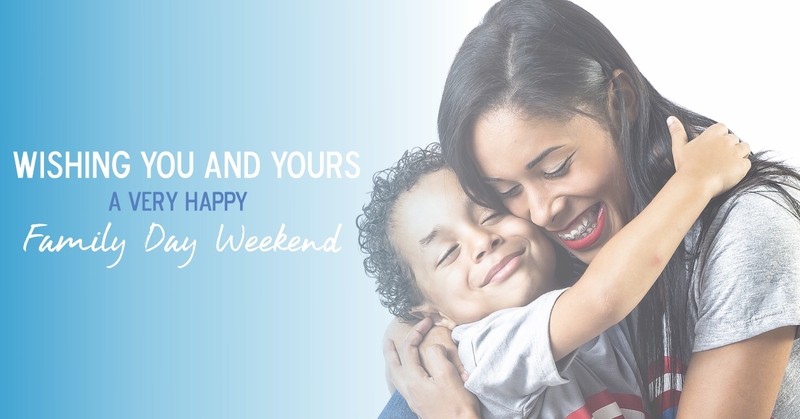 Wishing you and your family a fun, safe long weekend. 2018-02-14 — 10 romantic, fun and unique ideas for an Ottawa Valentine’s Day! Happy Valentine’s Day! Looking to celebrate your love with flare today? Ottawa has several romantic activities and events you and your partner can take part in. Treat yourselves to couples spa treatments, gourmet meals, or a comedy show – the options are endless. 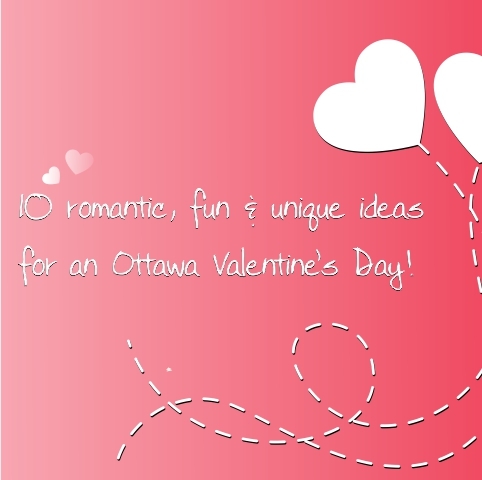 Click here to see Ottawa’s Valentine’s Day events. 2018-02-12 — Don't wait until the last minute, plan your Family Day Weekend now! Family Day is Monday February 19th, which means there's a long weekend ahead! There's plenty of activities and events going on in the capital this week and weekend to choose from. Don't wait until the last minute, plan your fun-packed weekend now! 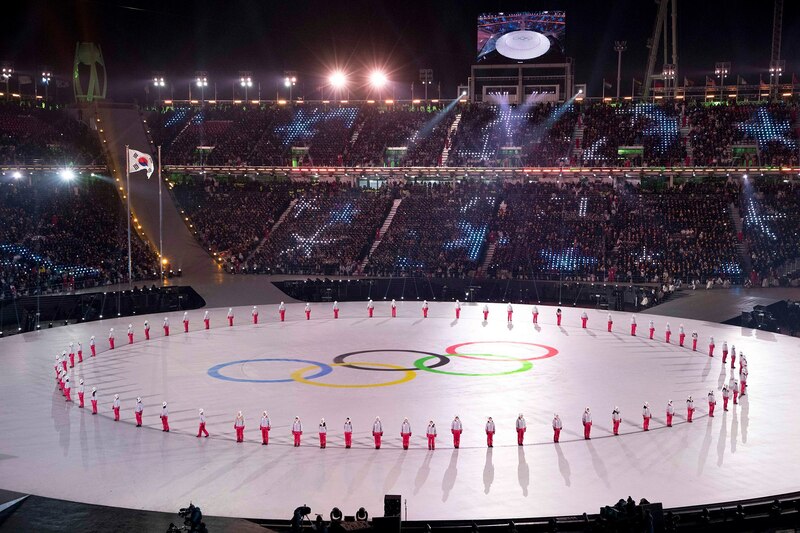 2018-02-09 — PyeongChang 2018 Winter Olympics Begin! Just purchased a home or are in the process? Sometimes it can be a challenge to figure out how to make your new home reflect your taste and personality. 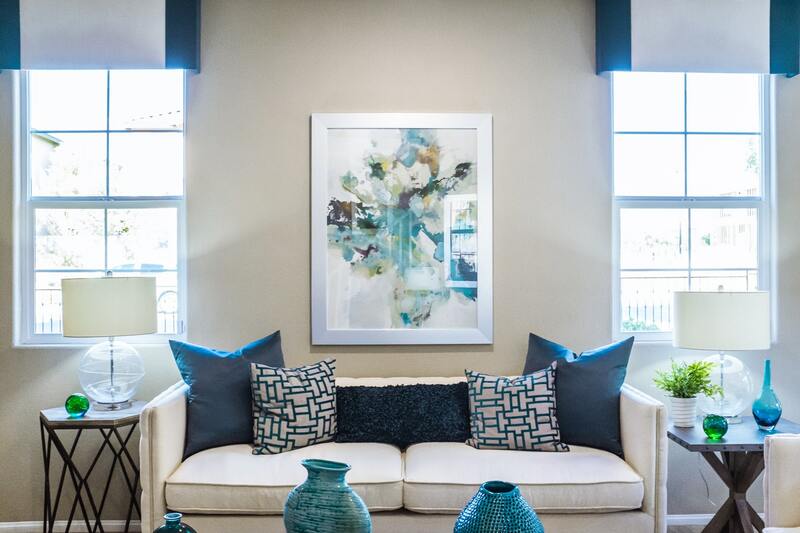 If you're looking to make your house showcase you and your lifestyle, try incorporating intriguing, bolder design choices. Click here to see the 22 daring designs you should try in 2018. These conflicts end up becoming embarrassing, upsetting and expensive, occasionally leading some residents to consider selling and moving on. So much for that friendly block party. It’s a shame. The neighbourhood you once thought was charming and peaceful becomes the one where your neighbour plays loud music all the time, their dog barks constantly, and their high-powered leaf blower becomes the final straw for you and your family. But how could you have known all this before you moved in? 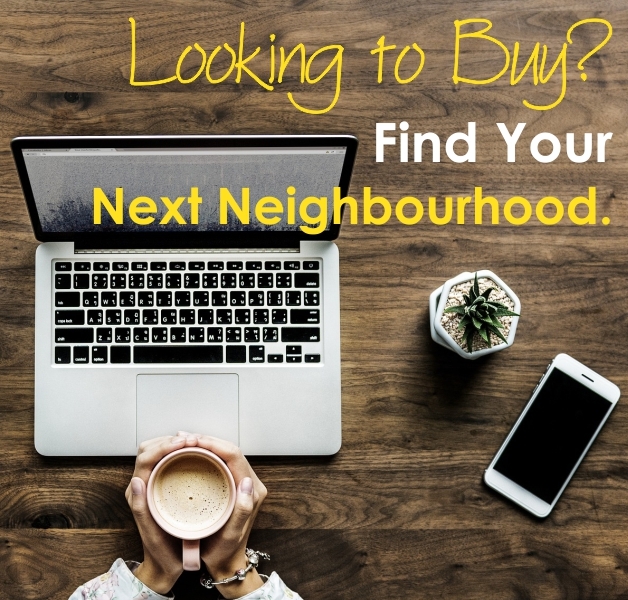 It is advisable to meet your neighbours and familiarize yourself with the neighbourhood before you purchase, especially if it is a recreational property like a cottage or ski cabin. It is imperative that you get a sense of things before you close any deals. That said, not everything is foreseeable, and any number of neighbour issues are still likely to arise when you’re a homeowner. So here are a few helpful tips in trying to address and resolve these disputes. Communicate with your neighbours before you plan to do significant work to your home such as additions, major renovations or a complete rebuild. It is best to canvass their support first-hand. Too often, neighbours will object to your plans and it can become adversarial. This may result in seeking additional approvals from government regulators and tribunals, which can be timely and costly. Your neighbour’s consent is the best way to proceed with any plans for change. One high-profile neighbour dispute case had the judge ruling that the neighbours needed “a rather stern kindergarten teacher“ and not a court for their goading, shouting, 24/7 surveillance, middle-finger flipping, alleged parking with the intent to annoy, and recording of insults and profanities. Animals and pets can be an irritant to you and your neighbours, especially if your neighbour is keeping chickens, sheep or pigs in their backyard. Local bylaws generally spell out what is allowed. Make sure that you clean up any dog messes and try to keep your cats under control, although it can be hard to stop them marking out their territory on your neighbour’s property. If your animals become too noisy, don’t let them bark or howl all the time but try to attend to them. Many neighbours are scared of animals. You must respect this and keep those noisy and excitable dogs away from them. Join the neighbourhood watch program in your area. This allows you the advantage to get to know people and reassure them that you are a good neighbour. Showing an interest in what is happening in your community allows you to gain their trust as someone who cares about the neighbourhood and is less likely to cause problems. Keep your children under control. Ensure that you know where they are and what they are up to. If they are disturbing your neighbours by being noisy or messy, try to nip it in the bud. Make it clear to your neighbours that you care about what your children are up to, and that they can come to you with any concerns. Keep the noise down, especially if you are planning a party or having people over late. It is wise to let your neighbours know in advance, especially if things are likely to carry on into the wee hours. You might ask them to join you, and then they can’t complain. It is all about being considerate and reasonable and thinking about what would annoy you too. Parking manners are important. Try not to block the access to your neighbour’s property with cars, bicycles, or even the kids’ toys. Do not use other people’s common parking spaces unless you have no choice, as this can lead to bad feelings. Be sure to inform your visitors where they can or cannot park outside your house. And if anything’s unclear, talk about it. Always introduce yourself to new neighbours. When you are the newbie on the street, remember that everyone is curious about you. The best way to reassure them is to introduce yourself. Smile and say hello when you see people around, as the friendly approach is the best way to endear yourself to your neighbours. This ensures that if they need to speak to you about anything, they are more likely to feel comfortable doing so and less likely to go behind your back. Getting to know them will also make the neighbours more likely to look out for you. Boundary and property line disputes are one of the biggest causes of neighbour discord. Many times these matters go to court and they are one of the most popular reasons for neighbour complaints. One of the first things to do is check the property title deed and look at the survey and do this with your neighbour who will be affected. Fences and hedges probably cause the greatest number of arguments, whether it’s existing ones or newly proposed ones. Issues arise over who is responsible for the maintenance and repair of fences. 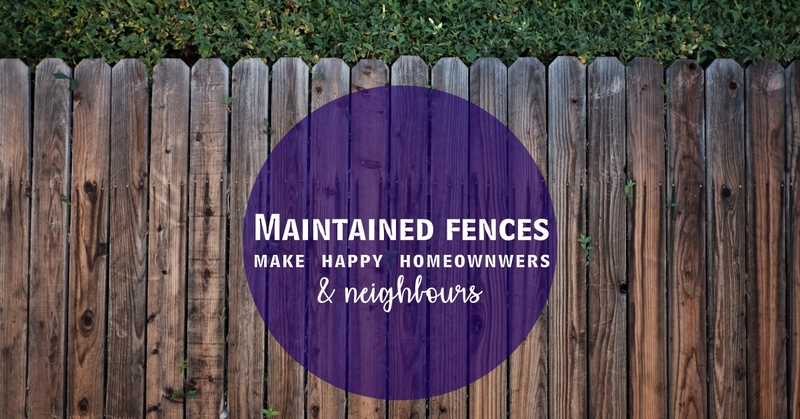 If you are proposing a new fence, be sure to discuss it with the neighbour in advance as to the exact location, style and materials, as well as the possible sharing of costs. Trees and gardens become a source of conflict between neighbours. 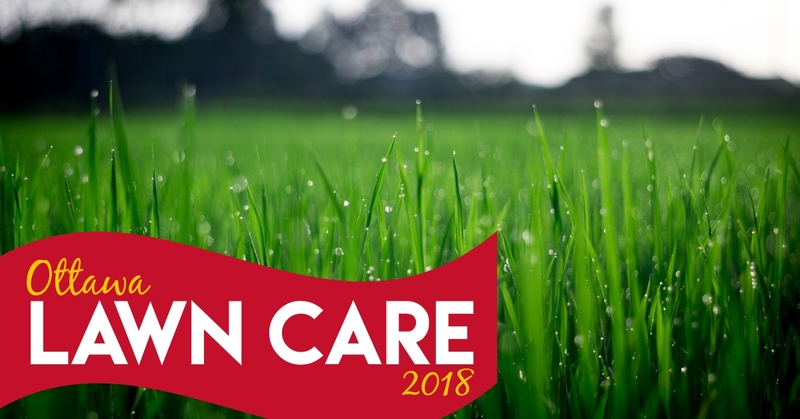 If a neighbour does not take care of their garden or property and it impacts yours, causing damage or an accident, then your neighbour may be liable for the costs. This includes roots growing under your property or causing an obstacle. Many a drain problem has been caused by underground roots. Local bylaws regulate tree protection and normally inhibit the injury or removal of privately-owned trees that measure at least 30 centimetres in diameter or 1.4 metres tall. Tree branches that hang over your property line may be trimmed by you. If your tree falls on your neighbour’s property, you are not generally responsible unless you caused the damage. Disputes over blocking out light are best to be dealt with sensitively: you are allowed to prune back hedges if they block your light, but you can’t reduce their height. It is not surprising to learn that the City of Toronto has over 50,000 yearly complaints submitted to them concerning residential property issues between neighbours. 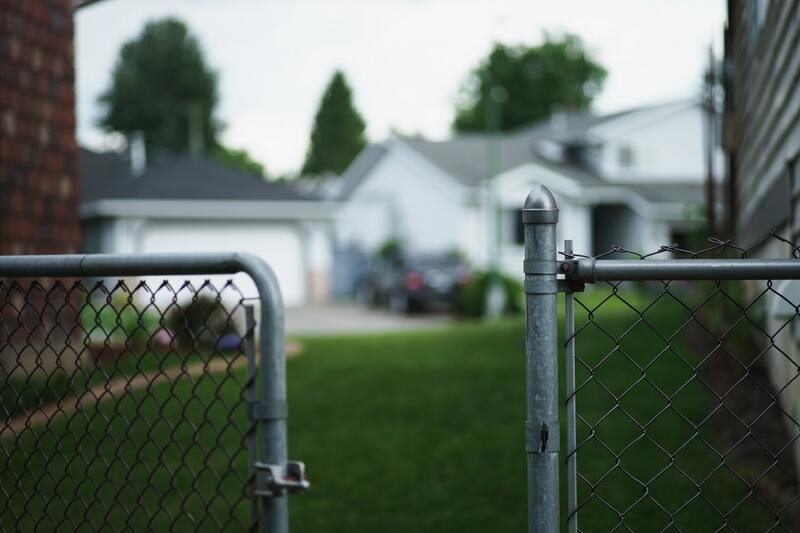 The most common ones are noise complaints, fence heights and driveway boundaries. Occasionally, these matters end up at provincial municipal boards and/or in the courts, resulting in bad feelings and lengthy feuds. As a neighbour you should always try and keep the peace. While reasonable people can disagree, you should always try to compromise and talk things through before getting anyone else involved. 2018-02-02 — 6 More Weeks of Winter? Here's 5 Ways to Make the Time Fly and Get Your Home Ready for Spring. 6 more weeks of winter is enough to make some of us seriously contemplate going to a tropical place to wait out the rest of winter. If you can't manage that tropical escape, here are some great ways to get through the last of winter and freshen up your home for the spring. 2018-01-31 — Let’s work together to create a stigma-free Canada! Bell Let's Talk Day is a day for everyone to come together and work through mental health stigmas. 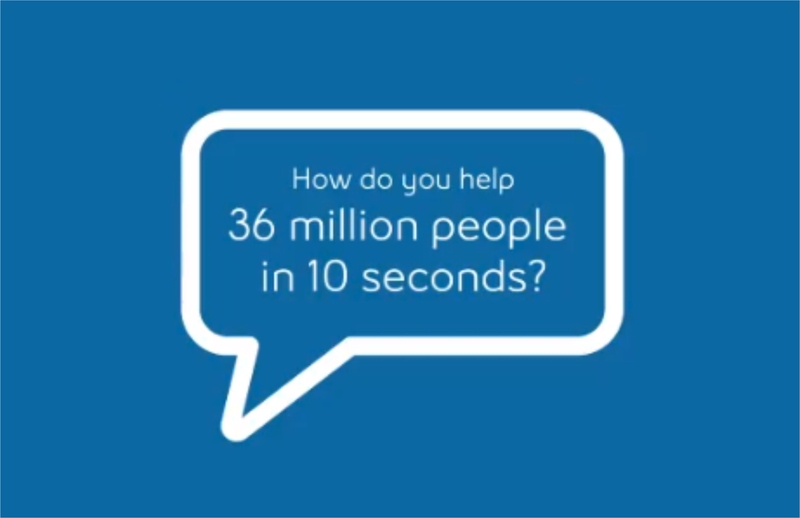 For every applicable text, mobile and long distance call, tweet using #BellLetsTalk, Bell Let’s Talk Day video view on social media, use of the Bell Let’s Talk Facebook frame or Snapchat filter, Bell will donate 5¢ to Canadian mental health initiatives. Moving and unpacking can be tedious. Click HERE for a great tip to make it easier! When the temperature drops and the snow starts to blow, most Canadians beat a hasty retreat indoors. Now that we've had longer bouts of freezing weather, are you starting to notice any drafts and/or cold spots around you home? 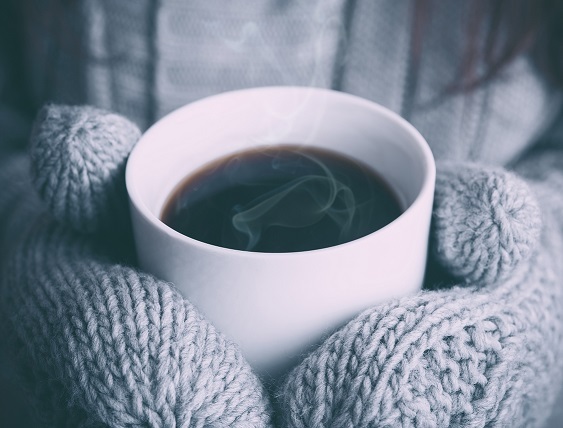 To win the fight against the seeping cold, you’ll want to take action, and quickly. Have you ever felt that a room was just "off" somehow, but you just couldn't place what it was? 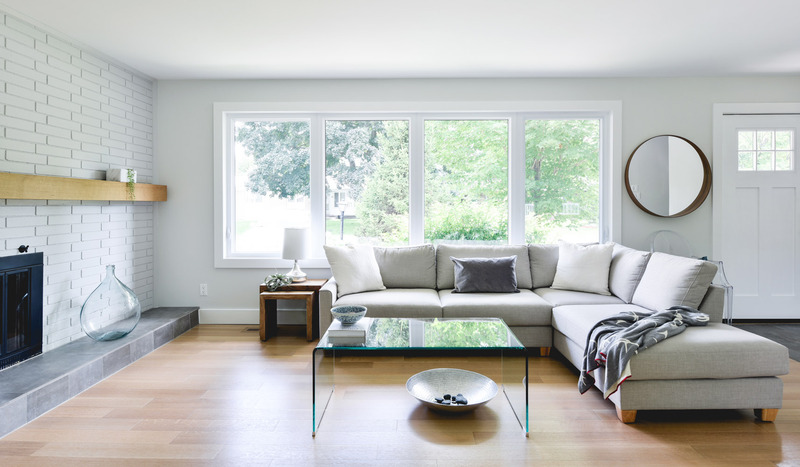 The keys to a well arranged living room is comfort, functionality, and walkability. 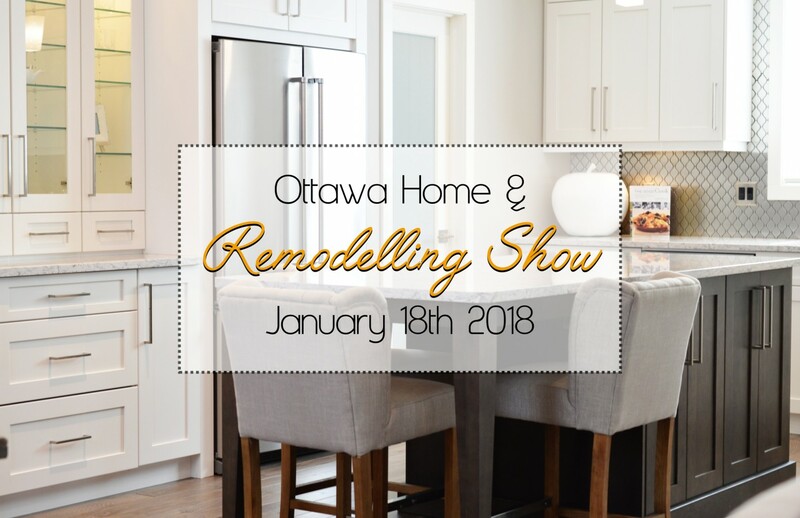 2018-01-17 — The Ottawa Home & Remodelling Show Starts Tomorrow! Looking for somethng great to do this week? Look no further! 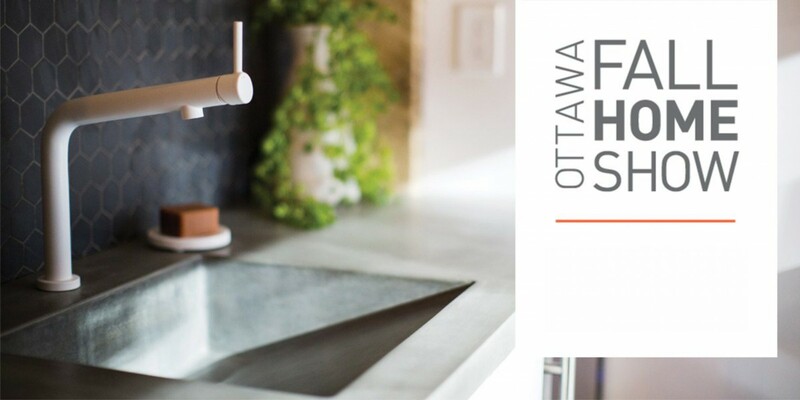 The Ottawa Home & Remodelling Show starts Thursday, January 18th at the EY Centre. 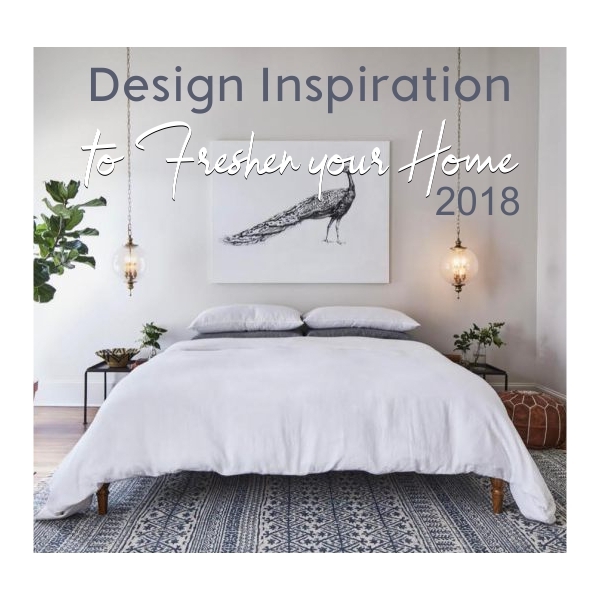 Speak with experts and see unique design ideas, while getting inspiration for your home's next refresh. Low inventory levels and a last-minute rush to beat tougher Canadian mortgage rules helped push the average price of a home in Ottawa to $442,533 in the final quarter of 2017, Royal LePage said Wednesday. The real estate firm’s latest house price survey said the average price of a home was up 6.8 per cent, year over year – four percentage points below the national average. New mortgage rules came into effect at the start of this year that require would-be borrowers to show they can withstand a hike in interest rates. John Rogan, the broker of record at Royal LePage Performance Realty, said in a statement that this pushed more buyers to enter the market at the end of 2017 to get ahead of the new requirements, placing upward pressure on prices. Additionally, Ottawa is facing a “shortage” of homes for sale, Rogan said. While he said the capital’s real estate market remains more balanced than other major Canadian urban markets, the imbalance between supply and demand is pushing up home prices. Looking ahead, Rogan said one of the big questions for 2018 is whether the current low inventory levels of homes for sale will persist, particularly in the condo market. 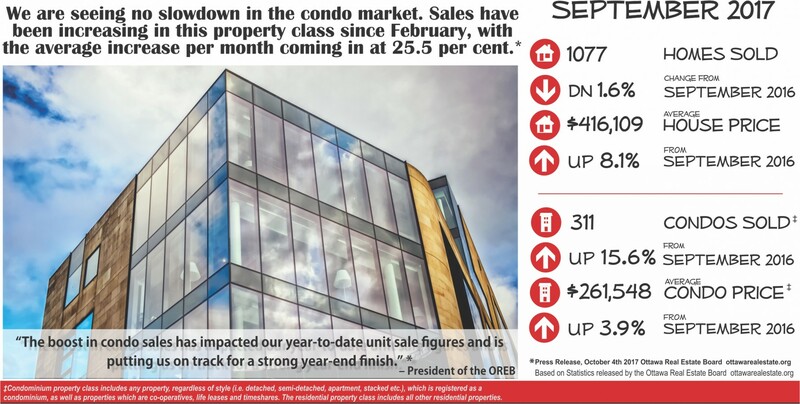 He said condo sales have “surged,” an observation also recorded by the Ottawa Real Estate Board in the second half of the 2017. 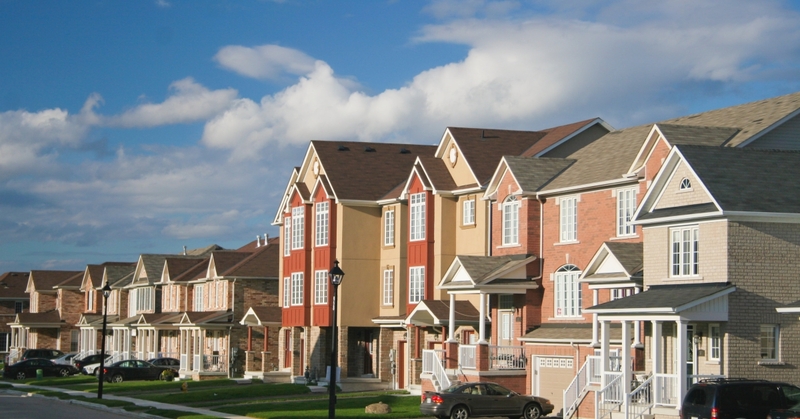 Rogan said the relative affordability of condos is attracting many first-time homebuyers. 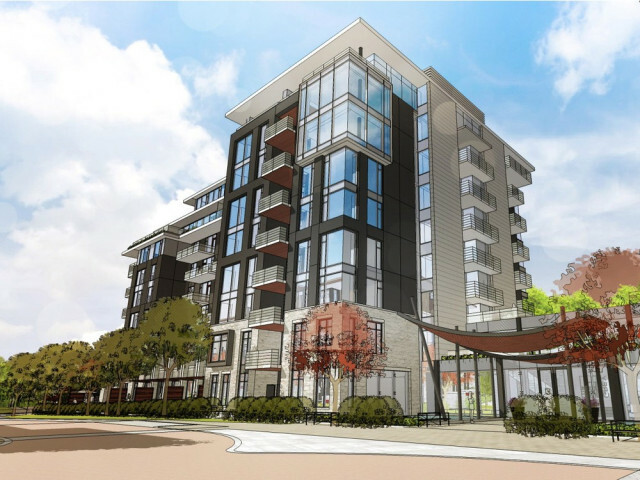 At the same time, an oversupply of unsold condos several years ago prompted some homebuilders to switch development plans to purpose-built rental units. “It will be interesting to see if new (condo) construction supply will rise to meet growing demand in the segment,” Rogan stated. Nationally, Royal LePage said Canada’s residential real estate market saw strong, but slowing year-over-year price growth in the fourth quarter of 2017. Broken down housing type, Royal LePage says the median price of a two-storey home rose 11.1 per cent year-over-year to $741,924, and the median price of a bungalow climbed 7.1 per cent to $522,963. But the company said the median price of a condo grew faster than any other housing type studied, rising 14.3 per cent to $420,823 on a year-over-year basis due to gains in many of the largest markets. 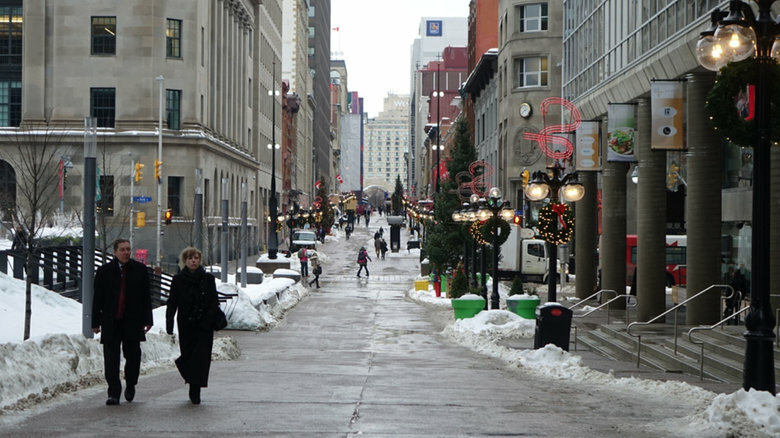 Ottawa is planning to revitalize downtown's Spark Street, and they're looking for ideas on how the pedestrian mall should be updated. 2018-01-10 — A Strong Finish for Ottawa’s Real Estate Market in 2017. New Year's resolutions don't just have to be for you - they can be for your home too! 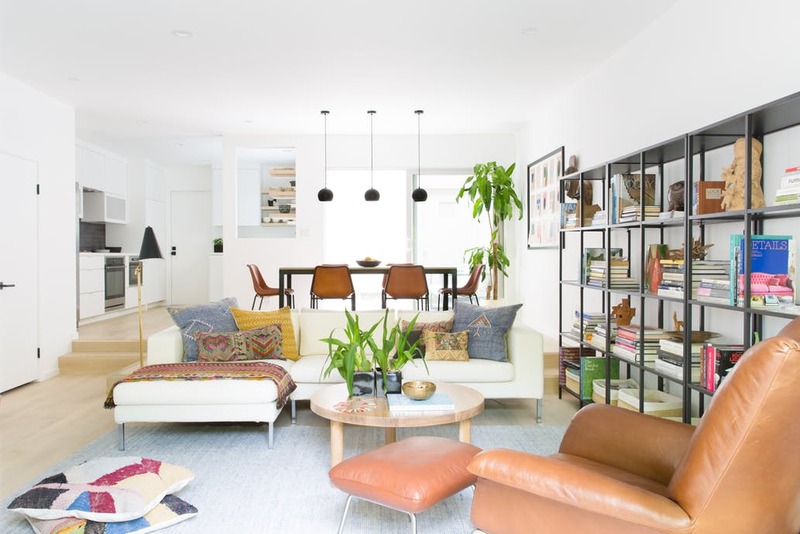 Whether you're looking to be more organized, incorporate bolder designs, or are finally ready to update an area that drives you crazy, there's ways to tackle any resolution. We can be thankful for this bout of cold weather because it's official! 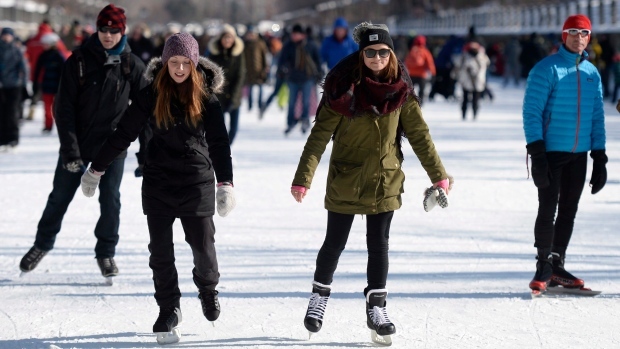 The Rideau Canal Skateway is open to skaters today. It's a New Year, so why not freshen up your home? Find 11 unique ways to completely update the look of your home. 2017-12-29 — Happy New Year! 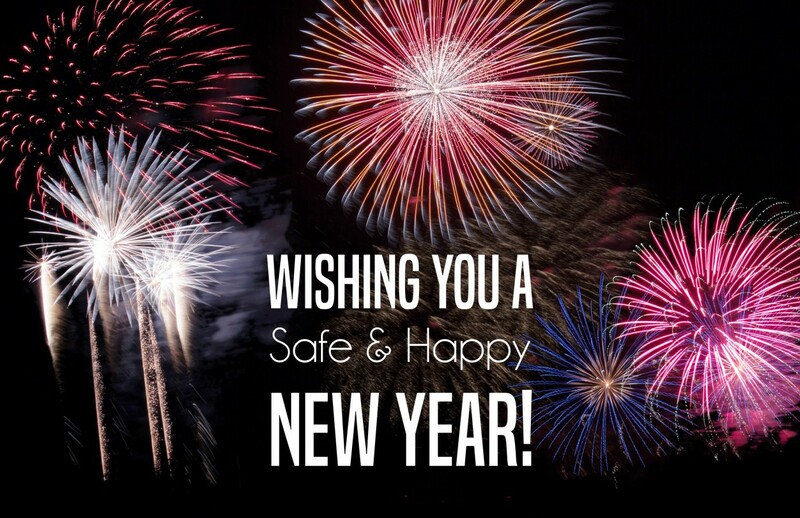 Wishing everyone a Safe and Happy New Year, as well as a fun and prosperous 2018! 2017-12-27 — Ring in the New Year, Ottawa Style! 2017 is coming to an end and it's been an epic year of celebrating Canada's 150. 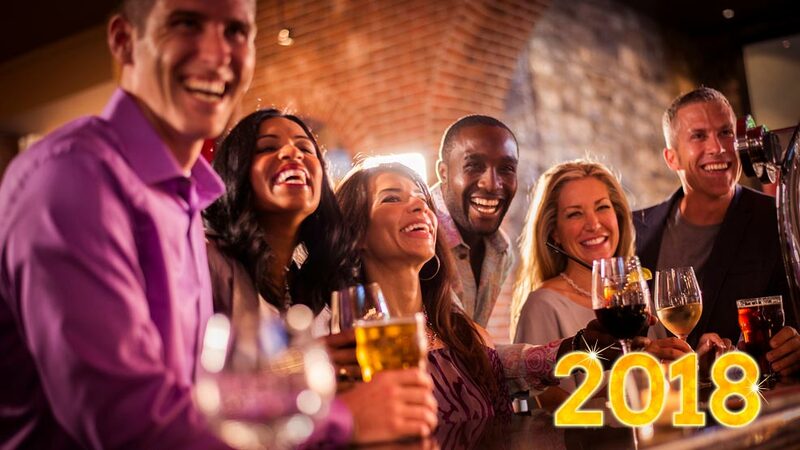 Ring in the New Year with one of the incredible events happening all over the city! 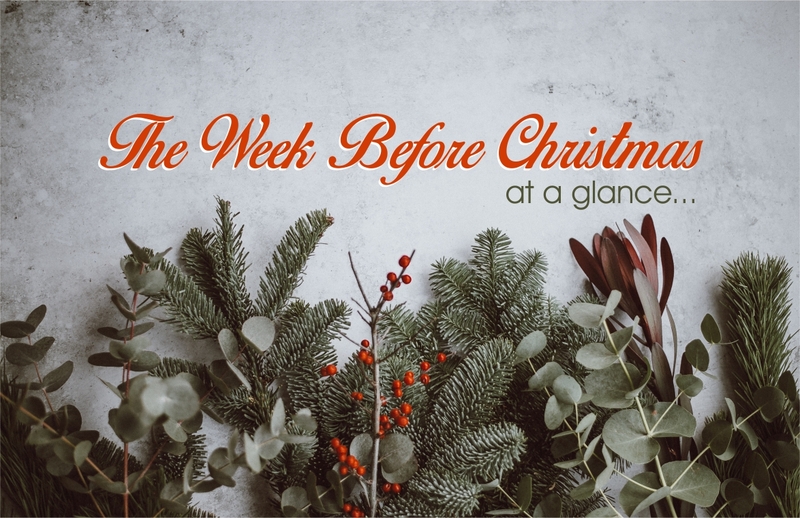 Christmas is just around the corner, which means that there's only a few shopping days left. Hopefully, you've got that covered and have time to enjoy some of the amazing things happening around the city this week! This time of year is busy enough without adding complicated baking recipes. 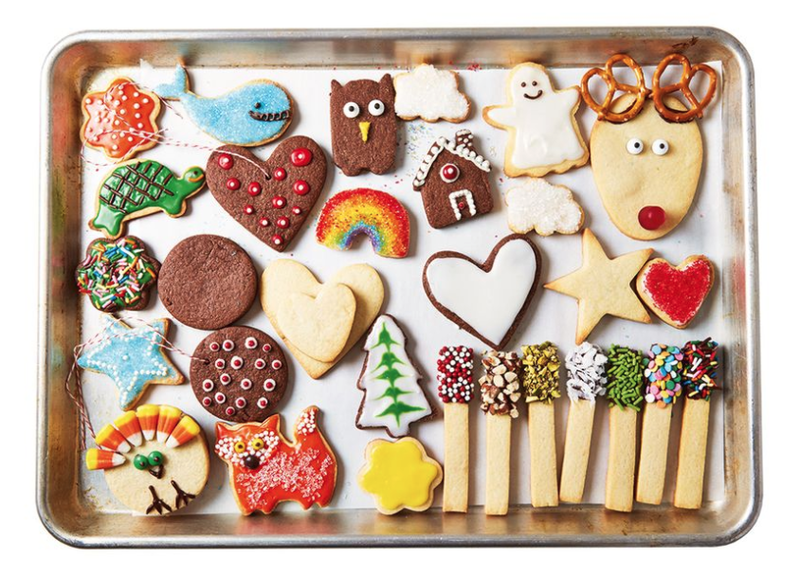 Stick to simple, yet delicious and fun, treats for the whole family and all of your guests. 2017-12-13 — November Blues? Not in the Real Estate Market. 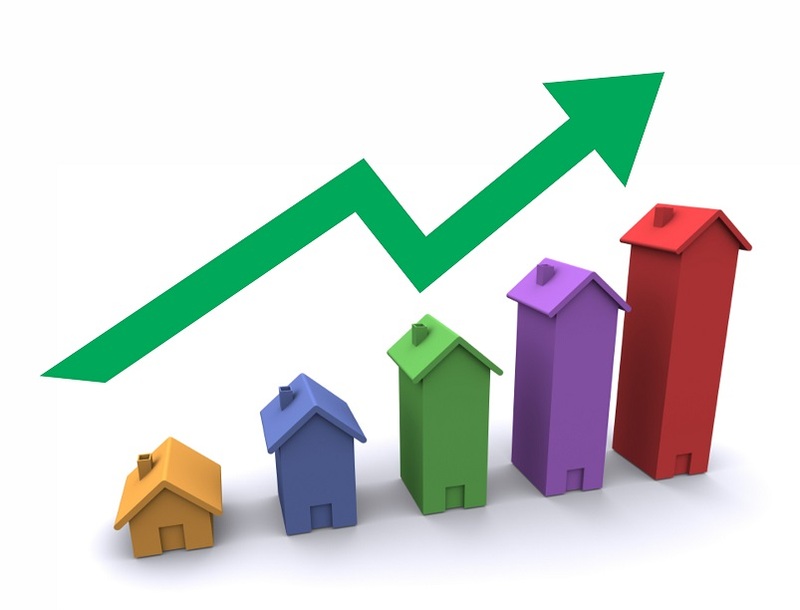 The Ottawa Real Estate Market is going strong, with house and condo prices steadily rising. 2017-12-06 — Mild Winter? Yes, Please! Tired of cold, endless winters? You're in luck! This year Ottawa has an excellent chance of a white Christmas, probably followed by a winter on the mild side, Environment Canada says. 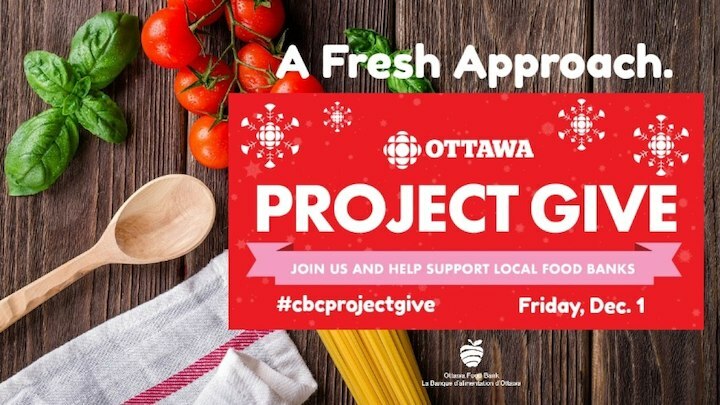 2017-12-01 — Things to do in Ottawa this Weekend! Looking for something fun to do? 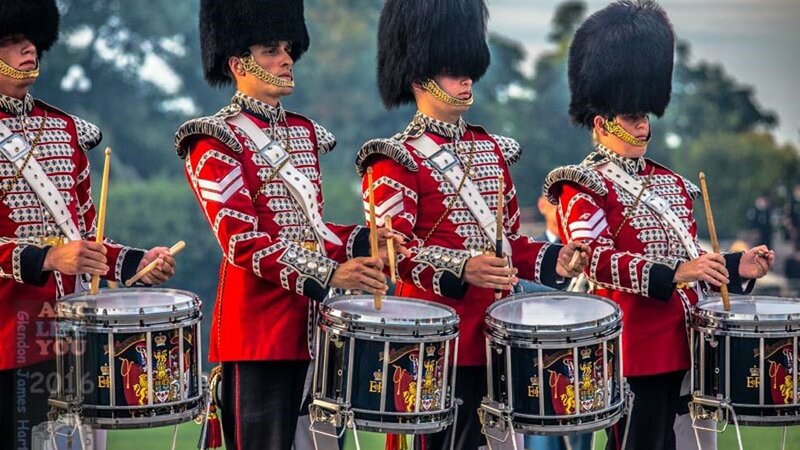 In spirit of the eventful year our capital has had so far, there's even more great events for you to partake in this weekend! Like the Santa Shuffle 5K Fun Run at Lansdowne, or outdoor skating at the SENS Rink of Dreams. 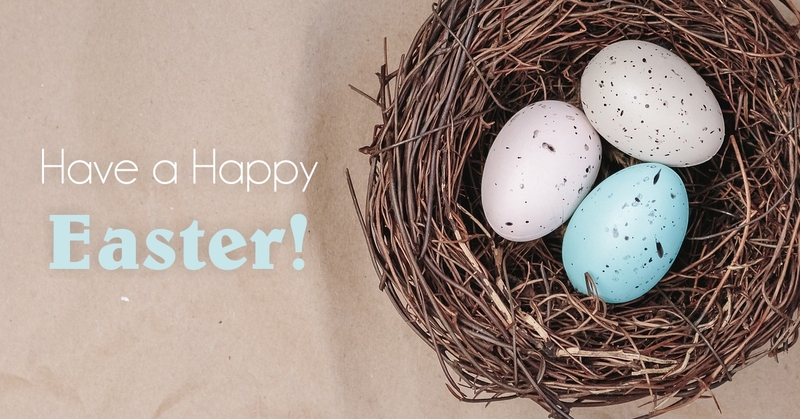 Click here for the full list of this weekend's events! 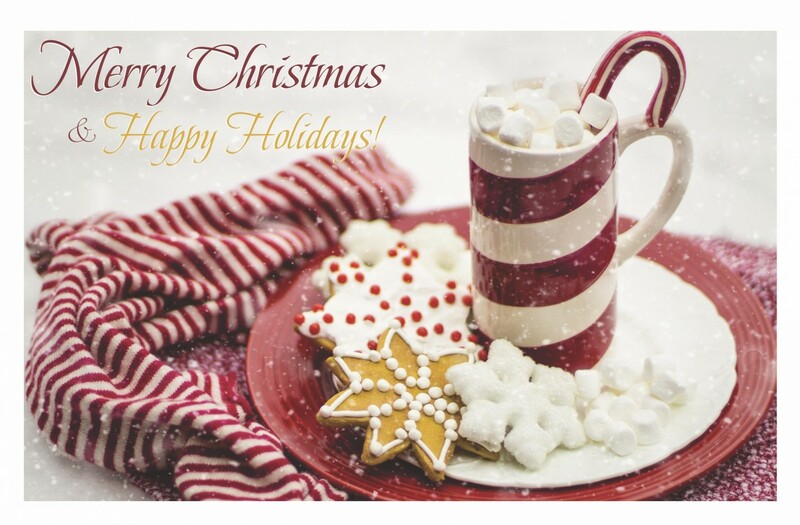 2017-11-27 — Considering selling your home over the holidays? 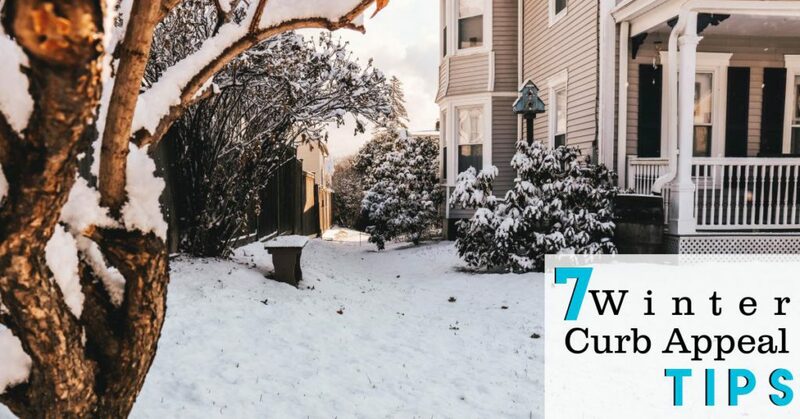 Putting your home up for sale during the winter holiday months can seem… daunting, to say the least. 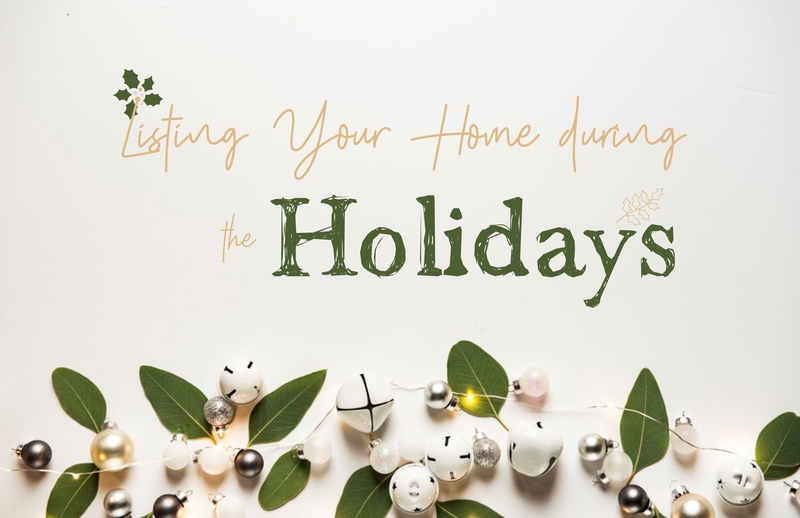 Present shopping, decorating, and family can be overwhelming on their own without throwing in open houses, getting ready to move, looking for buyers and finalizing a sale. However, there are a lot of benefits to selling during this time. 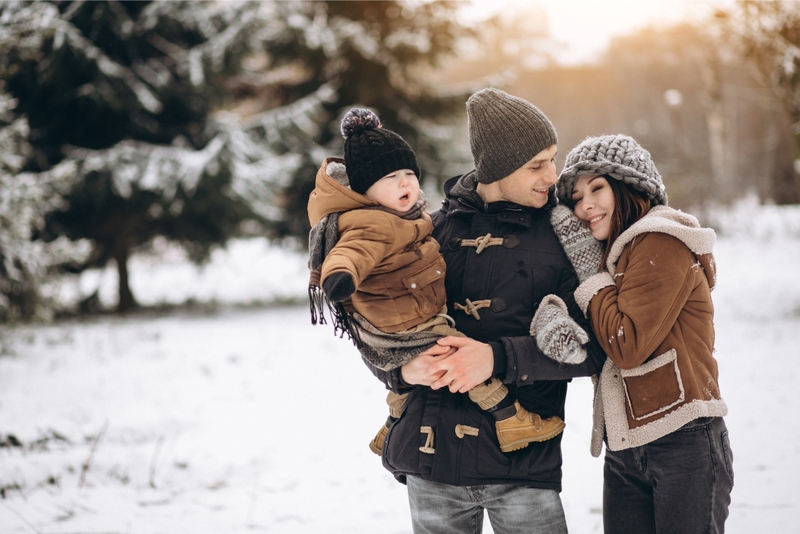 Check out this blog on why it's a great idea to list over the winter holidays! 2017-11-24 — Make this a Merry Christmas! Looking for something fun to do this weekend? Here's a list of events happening from Santa Claus Parades to Christmas Lights. Click here for more information on the museum's reopening. 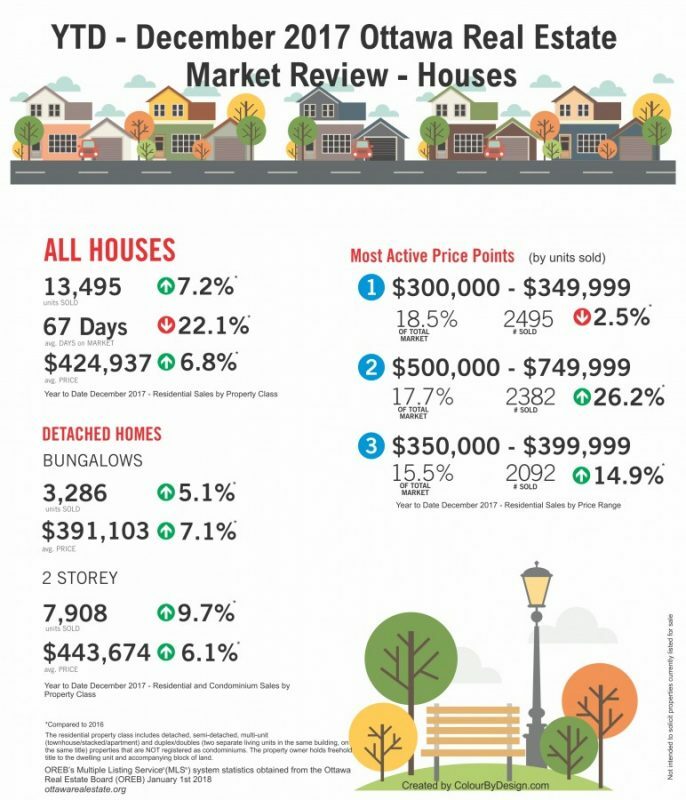 “As we enter the 3rd quarter of the year, we continue to see the resale market outpace last year’s performance, which was also a stellar year,” says President of the Ottawa Real Estate Board. 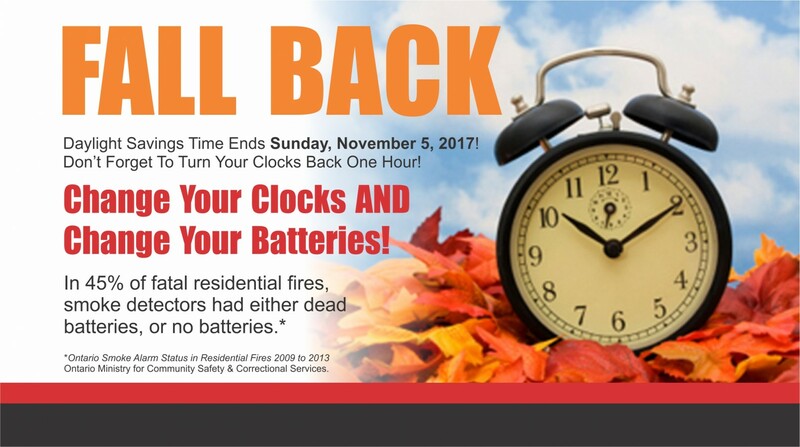 2017-11-03 — Don’t forget to change your clocks this weekend! 2017-10-27 — Looking for something to do this weekend? 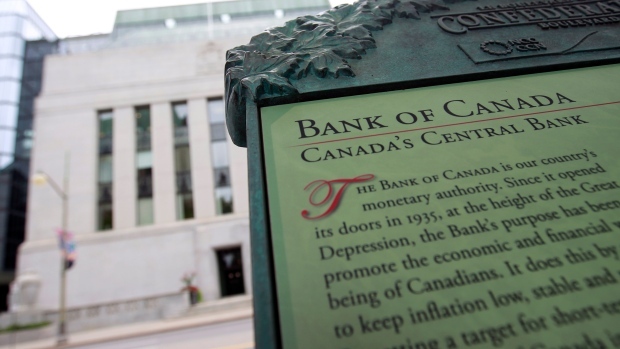 Canada’s top banking regulator has published the final version of its new mortgage rules, which include a requirement to “stress test” borrowers with uninsured loans to ensure they could withstand higher interest rates. 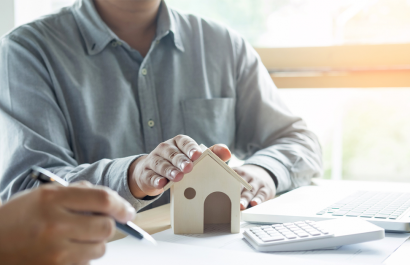 The Office of the Superintendent of Financial Institutions (OSFI) released new guidelines for the mortgage industry on Tuesday. The regulator floated a similar version of these rules earlier this summer in draft form, but Tuesday’s release makes them official as of Jan. 1. Please consider safety when deciding which items to set out to the curb. The Consumer Product Safety Bureau of Health Canada advises that used children’s items such as baby walkers, yo-yo balls, cribs, car seats, strollers, playpens, bath seats, mattresses, blinds, toys and other child-related items should not be placed at the curb for Giveaway Weekend. Even the best built home will need some maintenance to keep it as efficient as it can be. If you know your home has trouble keeping its heat when the temperatures drop, now is a good time to shore up your home’s defence against heat loss, so you stay warm all winter long. 2017-10-11 — Thinking of selling your home? Though the kids have gone back to school, evenings and weekends still provide ample opportunities for having fun. Why not get the family together and enjoy the crisp, cooler weather? 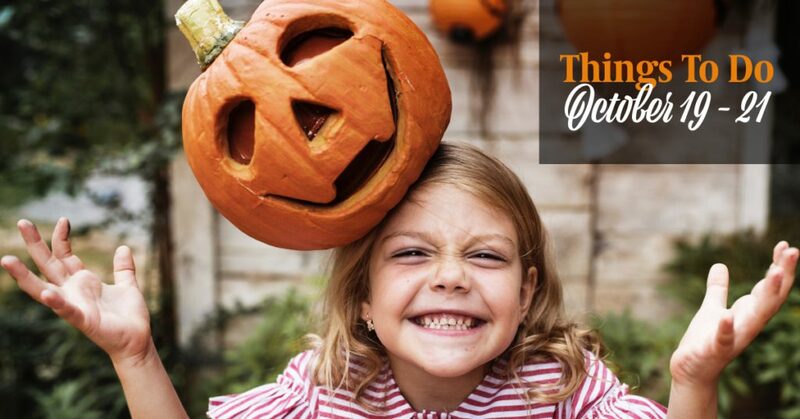 From nature walks among the fallen leaves, to bustling outdoor markets, the Ottawa region has something to entertain you and your little ones all harvest season long! Click here to see all the ideas! 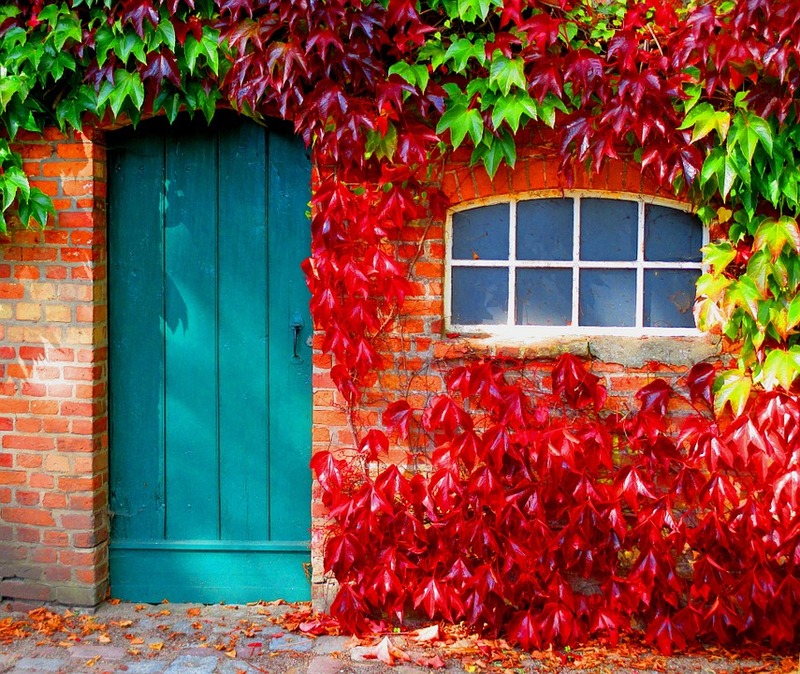 Make sure your house catches homebuyers’ eyes this fall with these stylish updates and landscaping ideas. Click here to see the other 6 tips! Come and enjoy the spectacular fall colours on display throughout Gatineau Park. In addition to the popular spots in the Park’s southern sector, many other unique and fascinating places offer magnificent views — as well as being great spots to have a picnic in nature, take a walk in the woods or enjoy a bike ride. 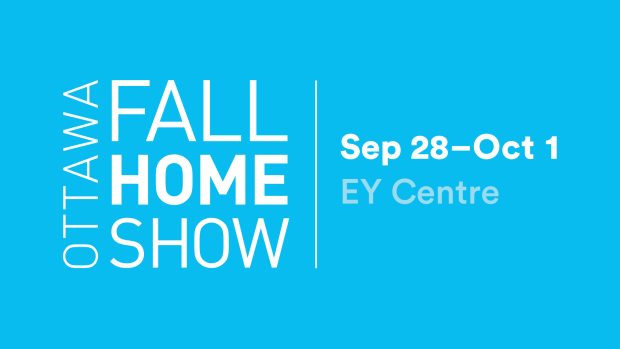 2017-09-27 — Don’t miss the Ottawa Fall Home Show – starts tomorrow! Though this extended summer may be nice for some, it still can present some risks as a Heat Warning was issued for Ottawa that will extend until Wednesday. Extreme heat can effect anyone, though the risks are greater for children, pregnant woman, the elderly, and people working outside (among others). Be safe and continue to monitor the weather as it comes. 2017-09-22 — It's fall...sort of! It sure doesn’t feel like autumn, does it? But, nonetheless, today is the first day of fall. With this summery weather though, we really have to ask what the rest of the year is going to look like as winter approaches. Does this unusual warm weather mean we’re going to pay dearly with a cold, bitter winter? According to Environment Canada senior climatologist Dave Phillips: Not so much! "It is so Canadian to worry about winter before summery weather is even over." Well, can you blame us? "There is going to be something for everybody. There are going to be some melting days, there are going to be some freezing days, and some wind chill numbing days ... But I think it will make for maybe a shorter winter." So it looks like it will be business as usual in Canada this winter, and we can all sit back, relax, and enjoy this weather while we have it! You can find the original CBC article at http://www.cbc.ca/news/canada/summer-fall-weather-winter-1.3771676 for the full interview, and check out last week’s blog for Fall home maintenance tips to make sure your home is ready! 2017-09-15 — Lots of great things to do in Ottawa this weekend! Here is a list of activities happening in and around Ottawa this weekend, from September 15-17, 2017. 2017-09-13 — Brand new listing in Hunt Club! 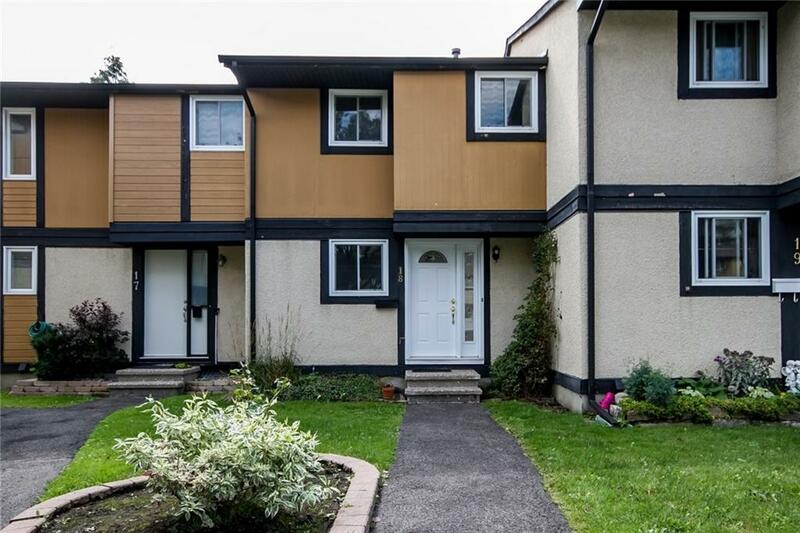 This lovely condo townhouse has 3 bedrooms, 1.5 baths, a finished basement and is loaded with upgrades. At $189,900 it's the perfect starter home. Let me know if you have questions or would like to view! Members of the Ottawa Real Estate Board sold 1,538 residential properties in August through the Board’s Multiple Listing Service® System, compared with 1,481 in August 2016, an increase of 3.8 per cent. The five-year average for August sales is 1,343. 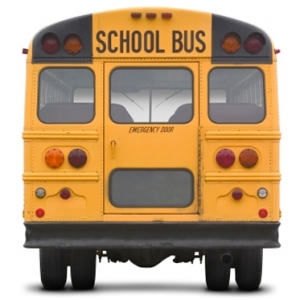 Reduce speeds in school zones and be ready to stop at any time. 2017-09-01 — September in Ottawa begins with a busy Labour Day long weekend! 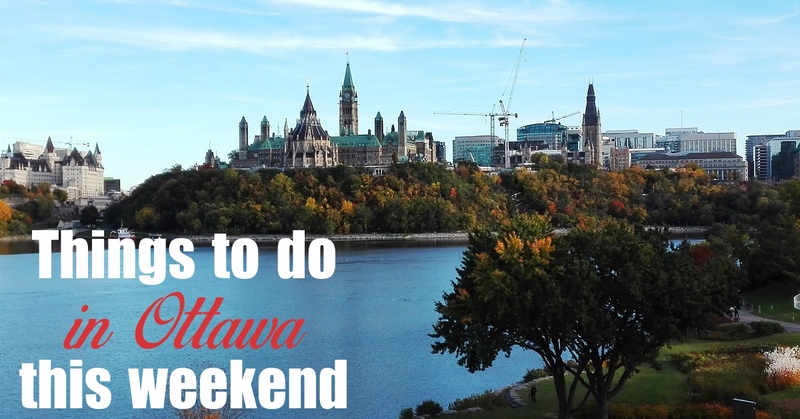 Here is a list of activities happening in and around Ottawa this weekend, from September 1-4, 2017. Listing your home for sale in Canada could soon mean you not only have to tell people how much it costs to buy it, but also how much it costs to run it. When 11 provinces and territories signed the Pan Canadian Framework on Clean Growth and Climate Change in 2016, they agreed to look at requiring all existing buildings to have an energy label outlining how much energy the home or building uses as early as 2019. Headed back to school? Better get back into those routines now. While the worries may seem trivial to adults, things like meeting new teachers and figuring out who to sit with at lunch can cause anxiety for students, Grade 1 through senior year of high school. But experts say it’s possible to ease those fears by easing into a routine before heading back to school in just under two weeks. 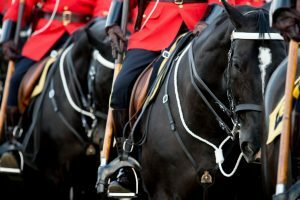 2017-08-25 — The last weekend of August is packed with fun activities in Ottawa! 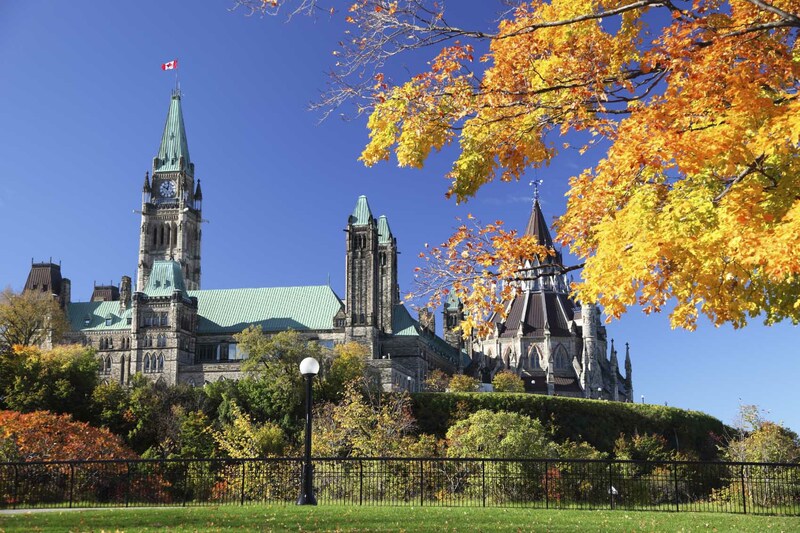 Canadians believe Ottawa is Canada’s safest city. A new Mainstreet poll looks at Canadian perceptions of safety in 15 major cities across the country. Ottawa is viewed as Canada’s safest city. The survey shows 74% of Canadians say Ottawa is safe, while 14% say Ottawa is unsafe. 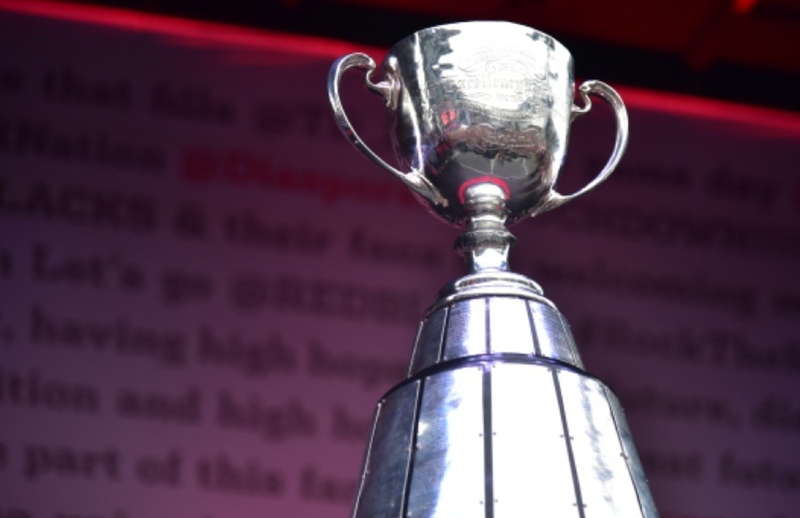 This is the second straight year Ottawa is ranked 1st for perceived safety. The survey notes Canadians believe Ottawa is safe despite the 5% increase in the crime rate last year. Charlottetown was ranked second, followed by Victoria, Moncton and St. John’s. Montreal was ranked 13th out of 15 Canadian cities for perceived safety, followed by Toronto at 14th. Canadians view Winnipeg as Canada’s most unsafe city. Millions of people in North America will have the chance to view a solar eclipse as it moves across the continent on Aug. 21. 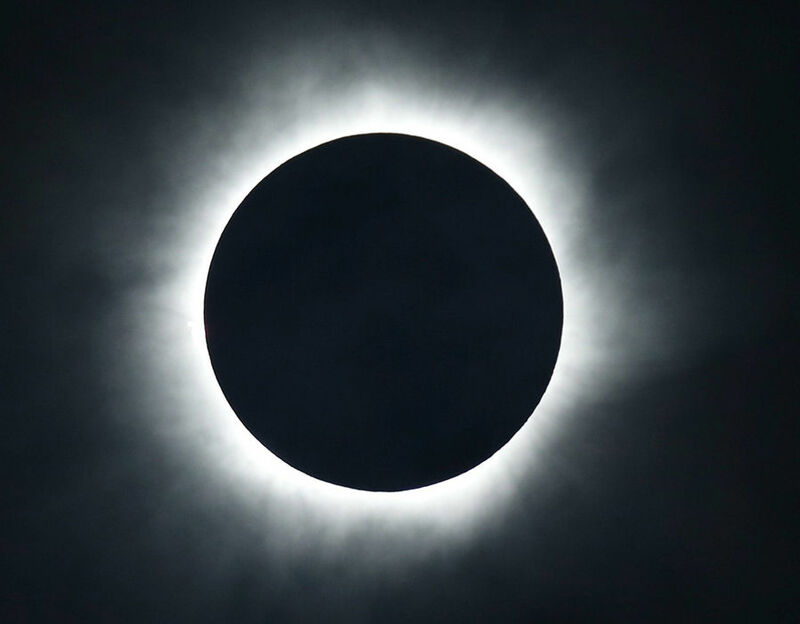 While several states in the U.S. will see a rare total eclipse, meaning the moon will completely cover the sun. The path of totality will stretch from Salem, Ore. to Chaleston, S.C. The total eclipse will last from 10:16 a.m. PT to 2:48 p.m. ET. Canadians will see a partial eclipse, with the western coast seeing the most dramatic coverage of the sun. People across the continent are gearing up to catch a glimpse of the event, which according to NASA will begin just past 9 a.m. PT. 2017-08-18 — Things to do in Ottawa this Weekend! Summer fun in Ottawa continues this weekend! Here is a list of activities happening in and around Ottawa this weekend, from August 18-20, 2017. Now that there are only a couple of weeks left in summer, you may be thinking of squeezing in another vacation. The last thing you want to do while enjoying a week at the cottage is worry about the shape of the home you’ve left behind. Lose that stress by taking a few steps to make sure you are protected while you’re away from home. 2017-08-11 — Summer's not over yet! 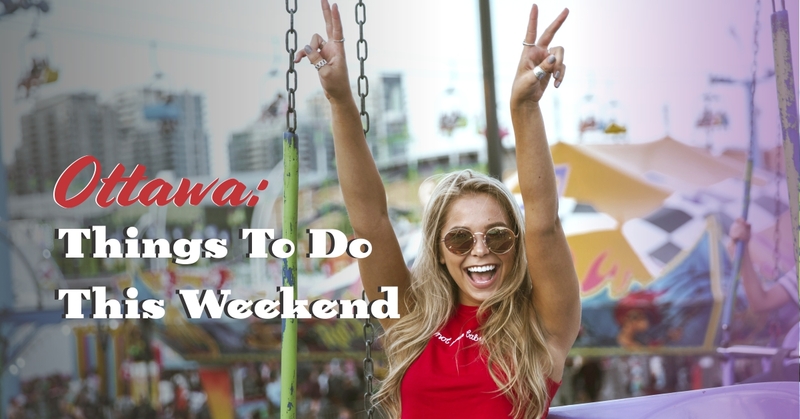 Here are some fun things to do this weekend! 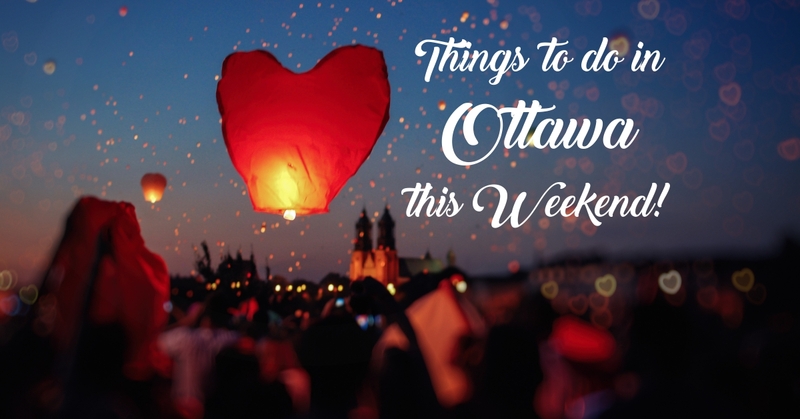 Check out all the fun activities happening in Ottawa this weekend! Here is a list of activities happening in and around Ottawa this weekend, from August 11-13, 2017. 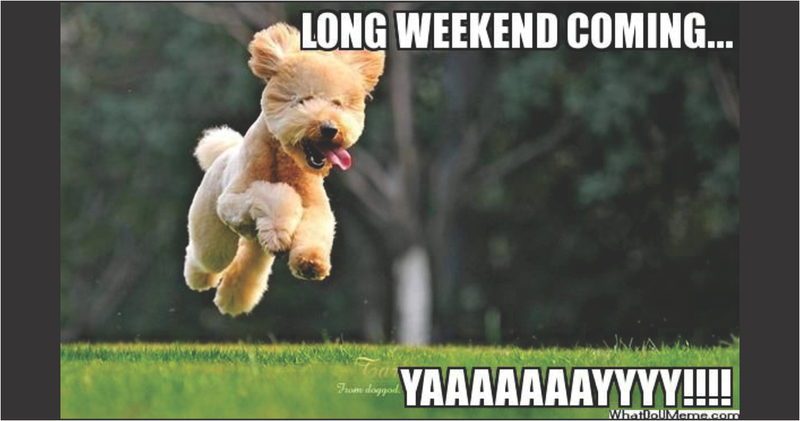 2017-08-04 — Wishing everyone a safe and enjoyable long weekend! 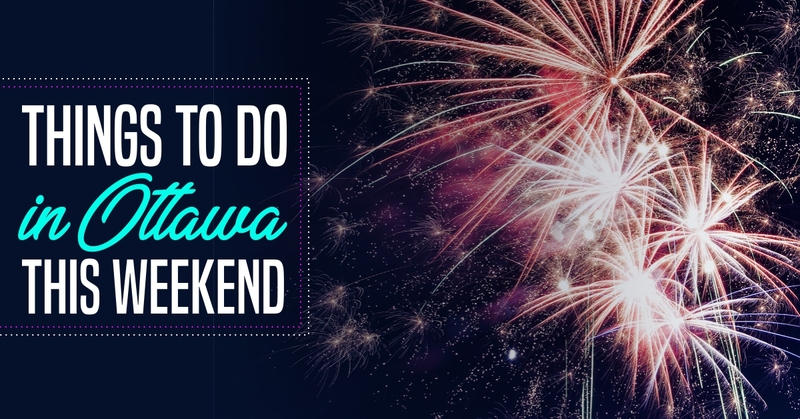 Summer fun in Ottawa continues with great activities on this August long weekend! Here is a list of activities happening in and around Ottawa this weekend, from August 4-7, 2017. 2017-08-02 — Thinking of Selling this Fall? 2017-07-28 — There are lots of great events taking place in our city this weekend! La Machine invades Ottawa this week! Check out the larger-than-life dragon and spider that will roam Ottawa streets this weekend, as well as all the other fun activities on offer. 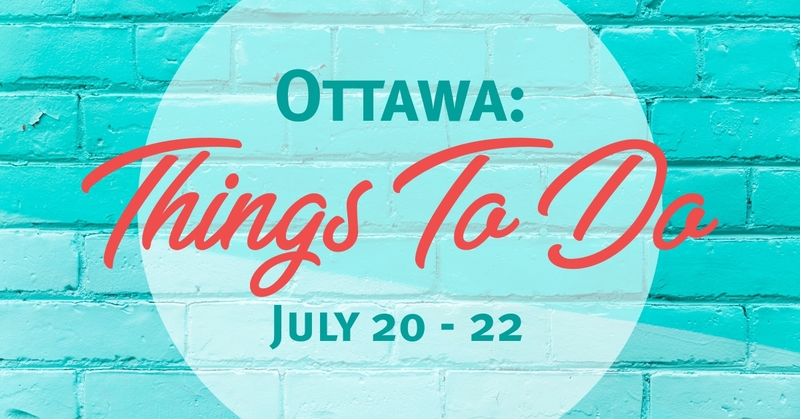 Here is a list of activities happening in and around Ottawa this weekend, from July 28-30, 2017. 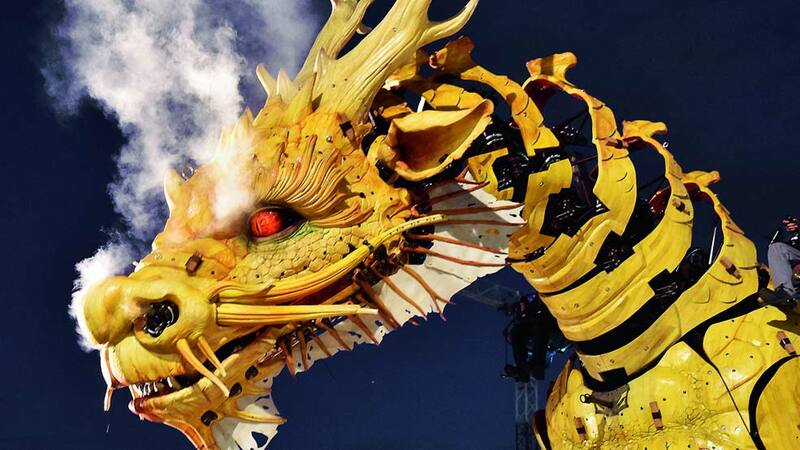 From Thursday, July 27 to Sunday, July 30, catch La Machine’s Long-Ma (the dragon) and Kumo (the spider) as they roam the streets of downtown Ottawa in a mixture of static scenes and walkabouts. Make sure to consult the schedule as well as be aware of road closure information. Visitors may want to make use of public transportation with the special OC Transpo Weekend Family Pass for $10.25 (up to 6 people with a maximum of two who are 13 years of age or older). This Ottawa 2017 event is a North American first and is sure to be one of the most memorable events of the year! FREE! Ottawa 2017 presents Kontinuum: An Underground Journey Through Time running until September 14! Step inside the tunnel of the future Lyon LRT station for an immersive multimedia experience with amazing effects throughout! Tickets are FREE, but visitors must pre-select time slots online. 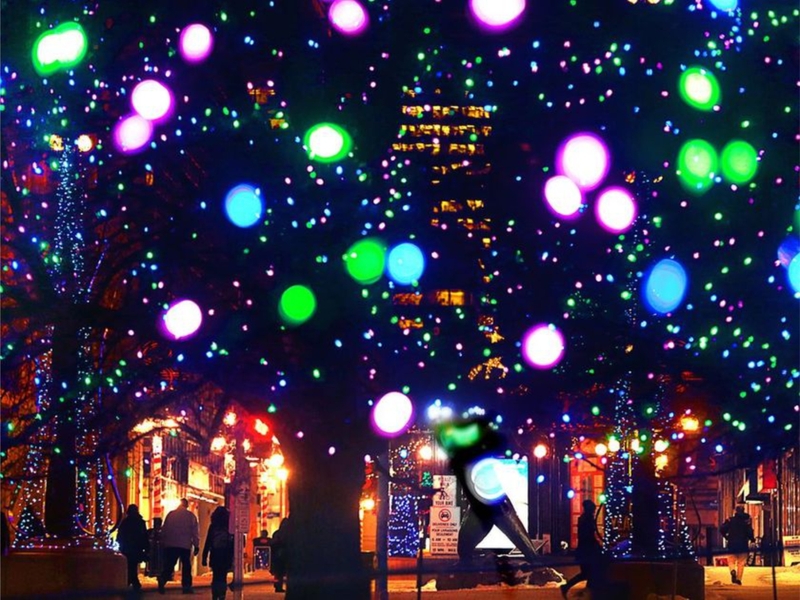 Head to Parliament Hill to catch Northern Lights, the sound and light show. 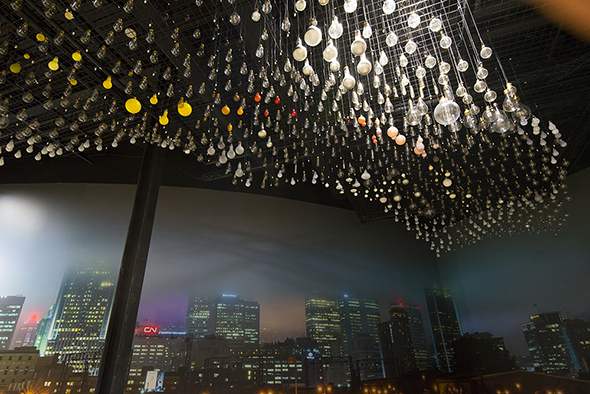 The FREE, bilingual show runs nightly until September 16. The show begins at 10:00pm in July, 9:30pm in August, and 9:00pm in September. The Senior Pan Am Cup 2017 volleyball competition comes to the Robert Guertin Centre now through Sunday, July 30. Now through Thursday, August 3, enjoy Presdelicious on Preston Street with special three-course prix-fixe menus ($28 or $38) at participating restaurants to introduce visitors to the eclectic and delicious tastes of Little Italy. Ottawa Chamberfest continues presenting chamber music across Ottawa in various venues this weekend, with the festival continuing until Friday, August 4. Harley Davidson celebrates its 100th anniversary with the Cruise The Capital 2017 National HOG Rally,Thursday, July 27 to Saturday, July 29 across the city with a ride on the morning of Saturday, July 29. From Friday, July 28 to Sunday, July 30 head to Chinatown for Night Market Chinatown! This summer night market will include food vendors, karaoke, a beer garden, and much more! Learn about Thai culture at the Ottawa 2017 event at Lansdowne Ottawa Welcomes the World: Thailand! On Friday, July 28 enjoy traditional food, music, and more showcasing Thai culture. 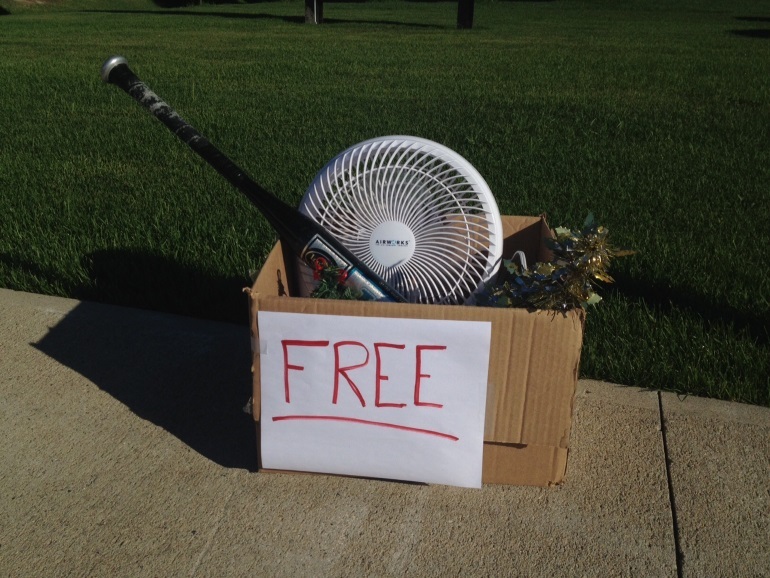 FREE! Get your country on at the 25th Festival country du Grand Gatineau! Friday, July 28 through to Sunday, August 6, check out country music in the Casino du Lac-Leamy parking lot on outdoor stages in Gatineau, Québec. 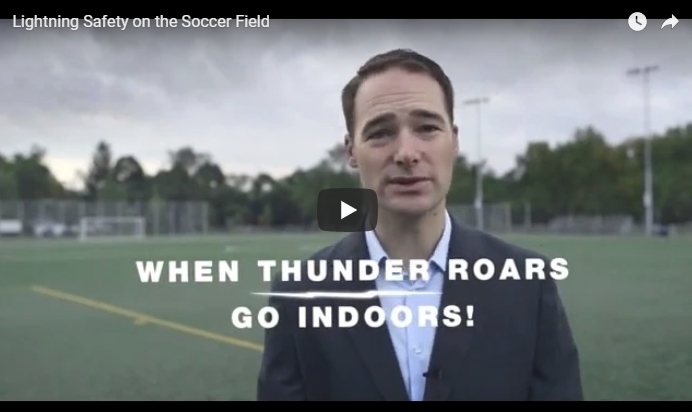 Cheer on the Ottawa Fury FC as they play the Toronto FC II at TD Place, this Saturday, July 29. 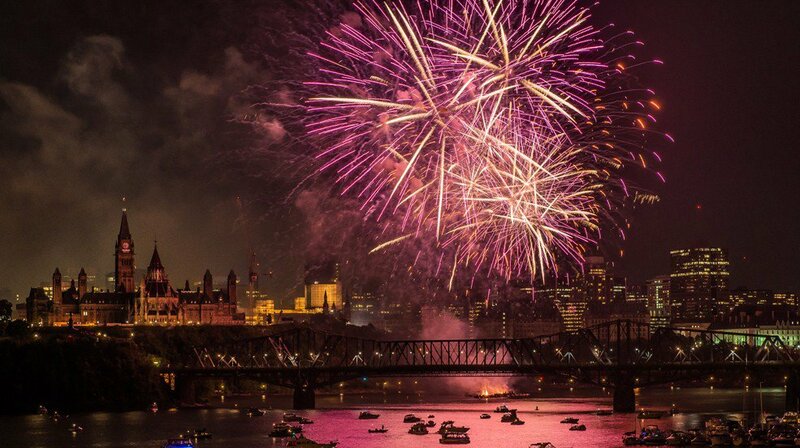 Don’t forget to share your pictures of this weekend on social media using #MyOttawa! 2017-07-26 — Rain got you down? 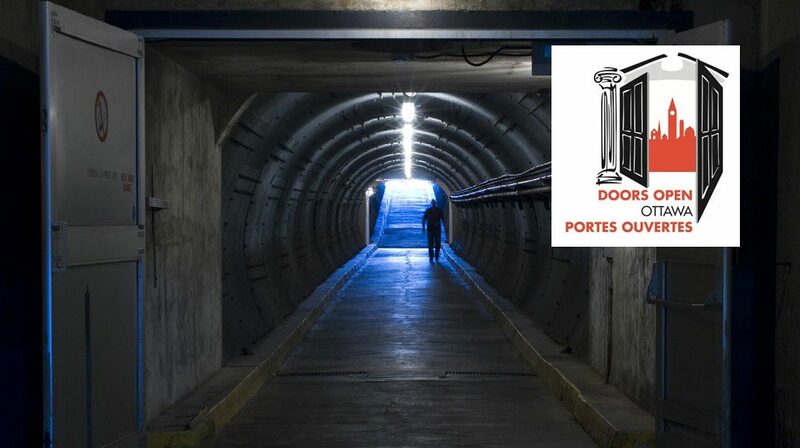 Escape the Diefenbunker! Looking for something different to do with all the rainy weather? 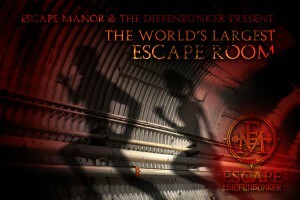 The Diefenbunker and Ottawa’s premier escape room company, Escape Manor have partnered to launch the World’s Largest Escape Room. The experience will run Thursday through Sunday evenings and reside within the 100,000 square foot facility. First impressions have a significant impact on the buyers decision-making process. Prepare your home for its future occupants. Use the following tips to stage your home to perfection and get more buyers interested in closing the deal on your home this summer. 2017-07-21 — Lots of events happening in Ottawa this weekend! 2017-07-19 — Have you had a chance to check out this must-see attraction yet? 2017-07-14 — How does the increase in the Bank of Canada Rate affect your loans? 2017-07-12 — Ottawa resale market proves strong in first half of 2017! 2017-07-10 — Ottawa ranked #1 as Canada’s Best Places to Live 2017! While sales plummeted last month in Toronto, Ottawa’s homes sales — and prices — jumped in June, according to figures released Thursday by the Ottawa Real Estate Board. The number of homes resold increased by 10 per cent, to 2,162 in June 2017 compared to 1,985 properties for the same month the previous year. 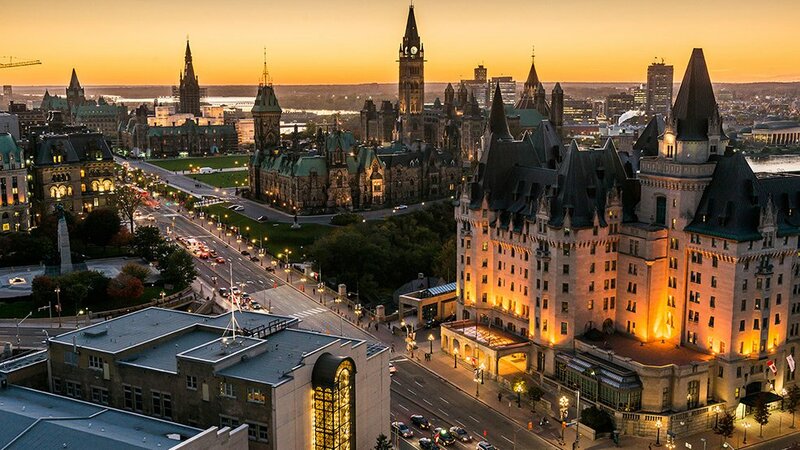 “Since the announcement in April by the Ontario Liberal government of cooling measures in Toronto, it’s no surprise that the Ottawa market has been thriving,” said Ralph Shaw, president-elect of the Ottawa Real Estate Board. In Toronto, home resale numbers plunged 37 per cent last money over June of 2016. 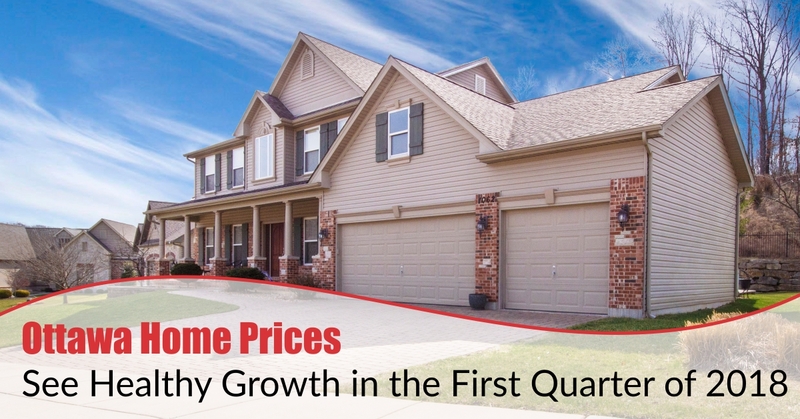 And it’s not just the number of sales that’s rising — prices are going up too. 2017-07-05 — Ottawa Bluesfest starts tomorrow! 2017-07-04 — Get out and explore this summer! 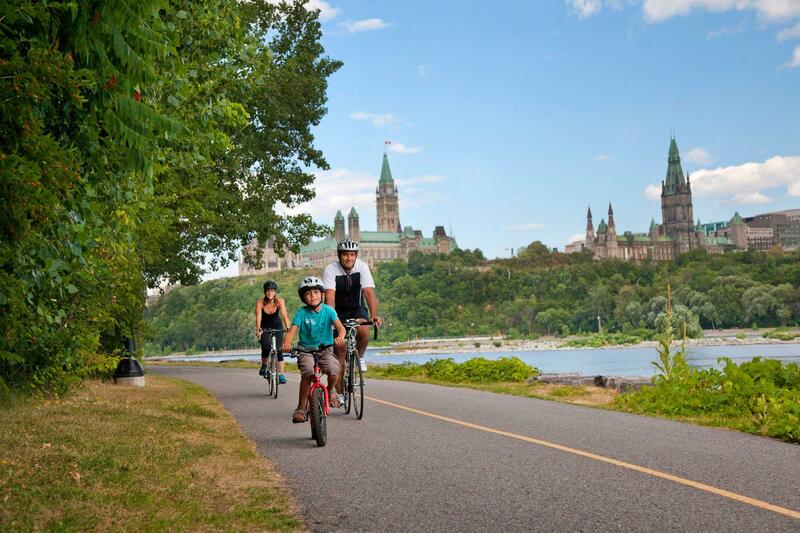 The Capital Pathway network is a great resource for many activities such as cycling, walking, running and in-line skating, picnics and more. Click here to start planning your next outing! It’s going to be a busy weekend, with lots of crowds and festivities (as blogged about on Wednesday!) It’s going to be a tremendous experience! 2017-06-28 — The countdown to Canada's 150th birthday is on and there is no shortage of ways to celebrate in the Ottawa-Gatineau region! 2017-06-26 — Ottawa Home Buyers Don't Take Summer Holidays! 2017-06-21 — HAPPY FIRST DAY OF SUMMER! 2017-06-16 — Thinking of building a deck? 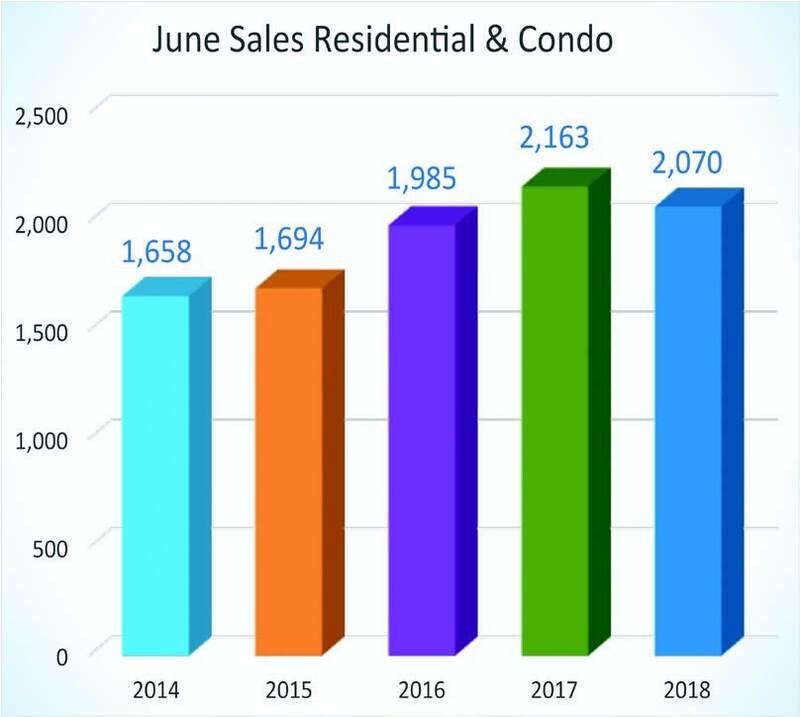 2017-06-12 — May 2017: the best May on record for unit sales, and the record for highest unit sales in a single month ever! 2017-06-09 — There are lots of fun events happening around Ottawa this weekend! Real estate agents are finally getting a taste of spring — at least in some parts of the city. 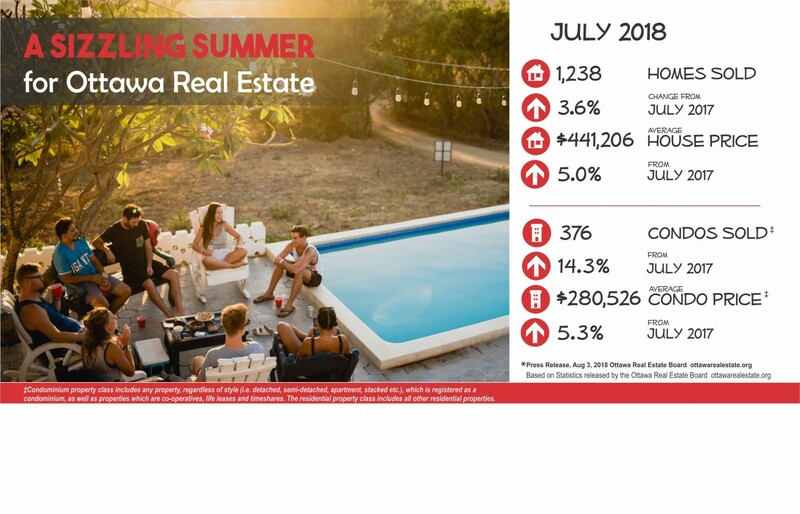 The average price for residential properties in Ottawa sold in May jumped 7.4 year over year to $436,600, the Ottawa Real Estate Board reported Friday. It’s the second month in a row that has seen prices increase in excess of seven per cent, suggesting Ottawa’s real estate market is strengthening in favour of sellers. Certainly agents are seeing multiple offers for new listings, particularly for single family homes in popular districts to the west and south of the downtown core. Toronto investors are now on the scene, hunting for real estate investments that don’t cost the moon. “I’ve had six clients from Toronto looking for properties,” said one agent who did not want to be named. Certainly the number of transactions in Ottawa picked up in May. The board reported that its members sold nearly 1,900 residential units in May, up sharply from 1,600 a year earlier. The market for condominiums was even more active as real estate agents sold a record 444 units in May, compared to just 307 in May 2016, representing a surge of nearly 45 per cent. Even so, the prices fetched for condo sales were modest. They averaged $271,000 in May, up just 2.3 per cent year over year. A look at 46 districts tracked by the Ottawa Real Estate Board reveals some remarkable divisions across the city. A dozen areas recorded year-over-year gains in benchmark prices of less than 3.5 per cent for single family homes — and all but two of these were in the eastern sections of the city. These include enclaves such as Blackburn Hamlet and Orléans, home for thousands of Department of National Defence employees. Real estate agents reported a significant shift in preferences among DND employees for homes closer to the department’s new headquarters in the west end of the city, especially for those who are being transferred into the city. While the DND headquarters move is running behind schedule, more than 1,000 workers have finally moved onsite, with 7,000 more due to arrive in the next two or three years. Of course, many DND staff members will continue to work out of downtown office buildings — about half DND’s total local workforce will eventually be based at the new headquarters. This means DND’s influence over the housing market isn’t being felt entirely in the west. Some families are opting for homes south of the downtown core, which may account for some of the popularity of districts such as Hunt Club/Windsor Park (where single family homes sold for 20 per cent more in May compared to a year earlier) and Billings Bridge/Riverside (up 15 per cent). A strengthening high-tech sector, much of it clustered in Kanata, is helping to drive up prices in western districts. But with online retailing specialist Shopify set to significantly expand its downtown operation, house prices in the south and perhaps even the city’s core could be set for a boost in the months to come. 2017-06-02 — Doors Open Ottawa – Explore Ottawa’s culture, history, and architecture for FREE June 3 and 4, 2017! The City of Ottawa is proud to present Doors Open Ottawa, a free annual architectural event that celebrates our community’s built heritage. During the first full weekend in June, over 150 historically, culturally, and functionally significant buildings will be featured in honour of Canada’s 150th birthday! From Carp to Cumberland, over 80,000 visitors will explore some of the city’s most interesting places, and you’re invited! 2017-05-29 — Have you had a chance to check out the City of Ottawa 'In My Neighbourhood' application? It is a bilingual, interactive map of Ottawa that offers a quick way for residents and prospective buyers to locate schools, libraries, parks, recreation facilities, events, and more. The government will spend nearly $300 million over the next decade to collect data about the housing market. 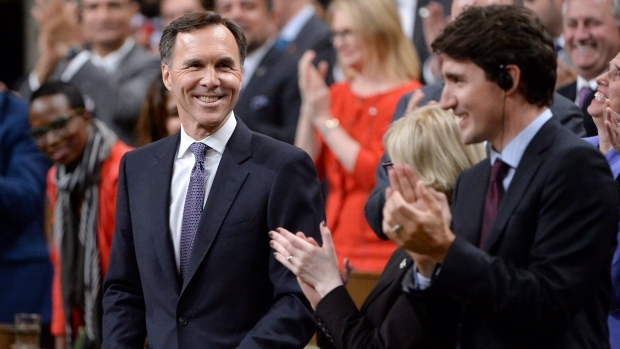 In particular, the Liberals have budgeted $39.9 million over the next five years so that Statistics Canada can compile information on foreign ownership of homes in Canada, as well as assembling data on the demographics of owners and how they are financing their home purchases. With all the rain and flooding the Ottawa area has dealt with this spring, mosquitos are going to be a problem this summer. 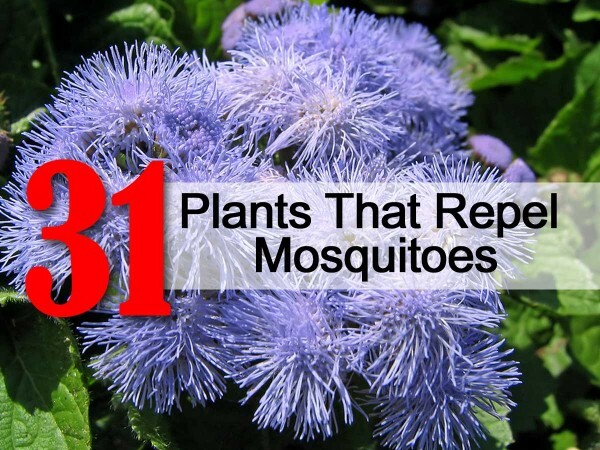 Here is a list of plants that when planted in your yard or in a pot near your porch, will help to keep these pesky bugs away naturally. 2017-05-23 — Not sure what to do with your tulips after they’ve bloomed? 2017-05-19 — Looking for things to do this long weekend? 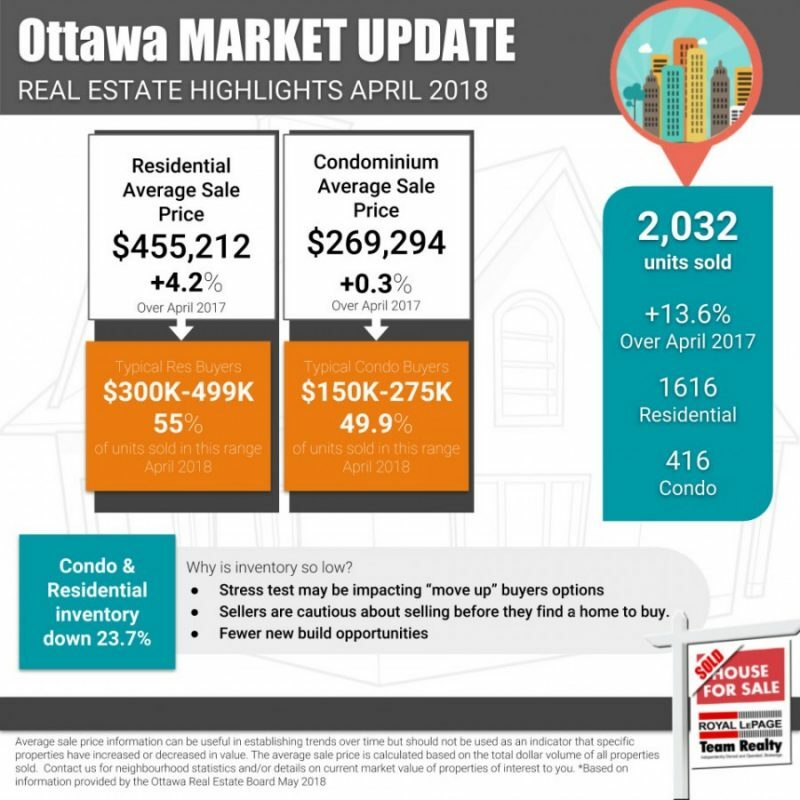 Ottawa’s housing market strengthened in the favour of sellers in April as average prices for residential properties jumped 7.9 per cent year over year to $435,900. 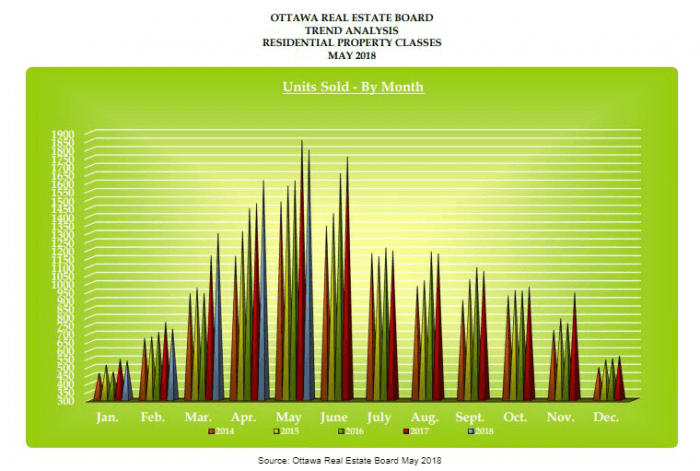 Members of the Ottawa Real Estate Board sold nearly 1,500 properties in April, up 2.5 per cent compared to April 2016, the OREB reported Wednesday. Staying indoors to avoid your own backyard? Most gardeners tend to bury their love of gardening due to fear of plant pollens and other allergy and asthma triggers. But you don’t have to throw in the trowel! Stop and smell the flowers (minus the sniffles) with these tips from the experts at Allergy & Asthma SpecialistsSM. 2017-05-01 — The Tulip Festival is coming up May 12-22! 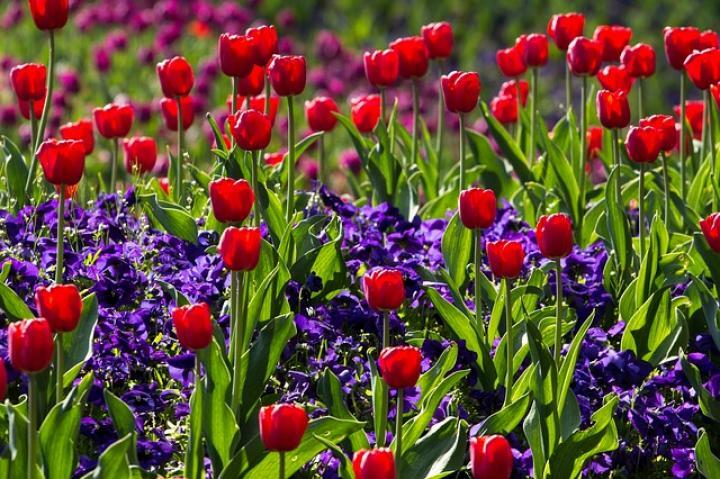 This year’s special 65th anniversary program offers activities at four official sites as well as breathtaking Tulipmania Fireworks set to music, guided tours, vintage military displays paying tribute to our veterans, and the WWII liberation of the Netherlands by Canadian troops; and restaurant and hotel special offers. The Ontario Liberals announced the province’s first balanced budget in a decade on Thursday, an expected move that could be construed as the unofficial start to the 2018 election campaign. Much of the budget covered several areas that have already been addressed – most notably, the province’s 16-point plan for housing reform. But it also unveiled several billion dollars of additional spending in health care, referred to as a “booster shot” by Ontario Finance Minister Charles Sousa. 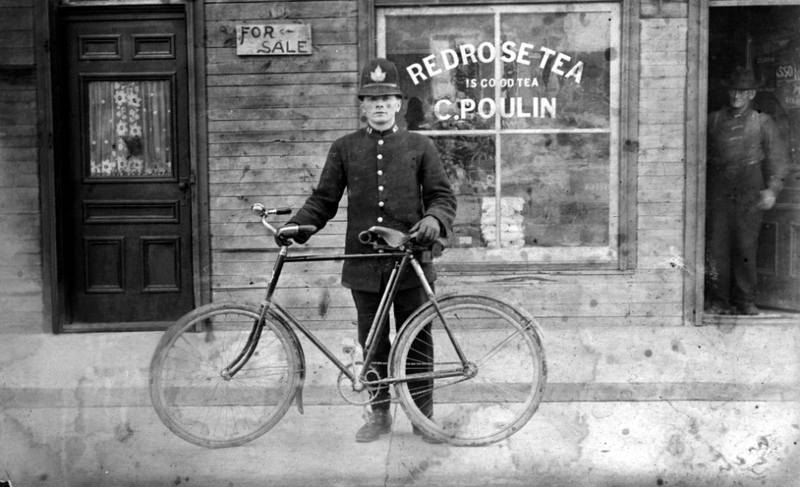 With Canadians celebrating a year-long 150th birthday party, CBC Ottawa is digging into the archives — our own and others — for the unusual, the revealing, and the historic images from our city's past. Home inspectors in Ontario are lauding new legislation that would require them to be licensed, have insurance, and abide by a code of ethics — and potentially face discipline if they don’t. 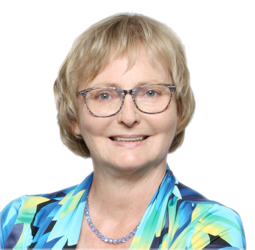 The Putting Consumers First Act, which was passed last week at Queen’s Park, will impose new rules upon one of the few professionals involved in real-estate transactions that have not been historically subject to provincial regulation. “It’s terrific news,” said Michael Levitan, a home inspector who also teaches home inspection skills at Algonquin College in Ottawa. As the weather gets warmer, it’s time to shed some of those cozy winter layers and head outside into the sunshine. 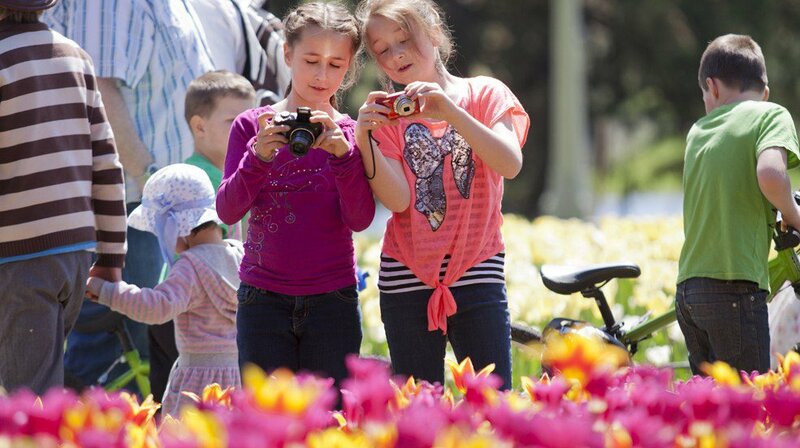 Ottawa has several activities that lets the whole family take advantage of the warmer springtime weather. 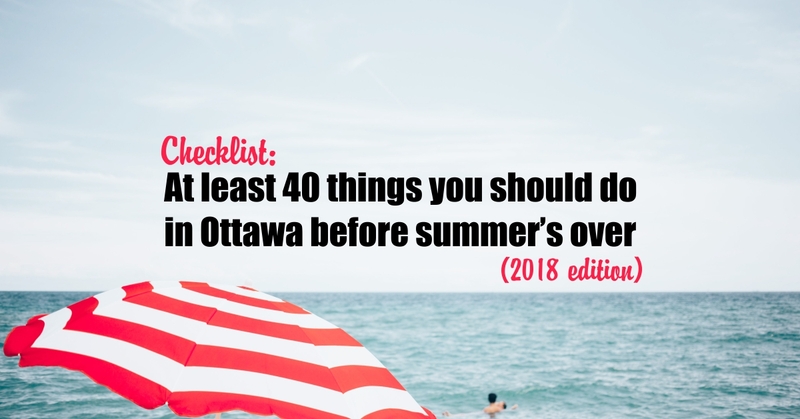 Whether you want to see new baby animals or you want to head out to explore the city on a bike, Ottawa has an attraction that is sure to delight. 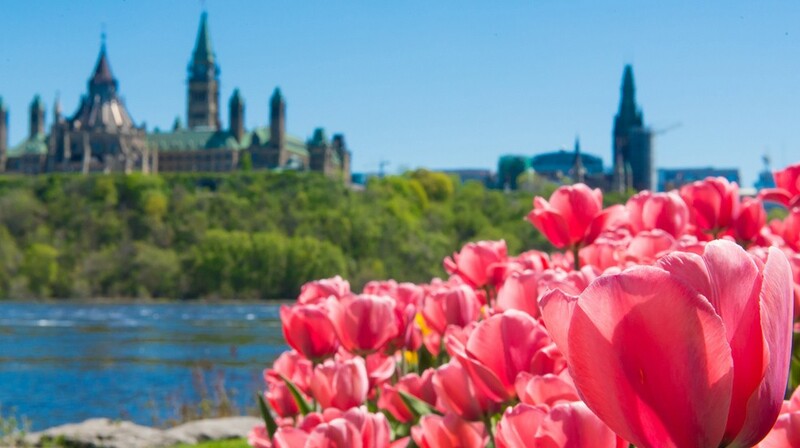 Explore some of the spring activities Canada’s Capital has to offer! 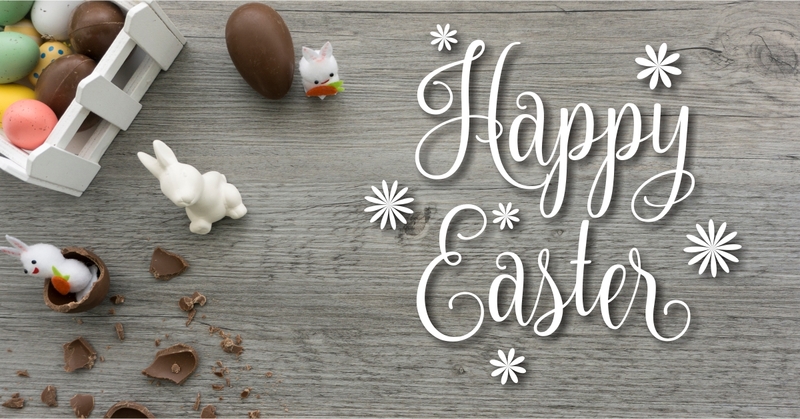 2017-04-12 — Wishing Everyone a Happy and Safe Easter this upcoming weekend!